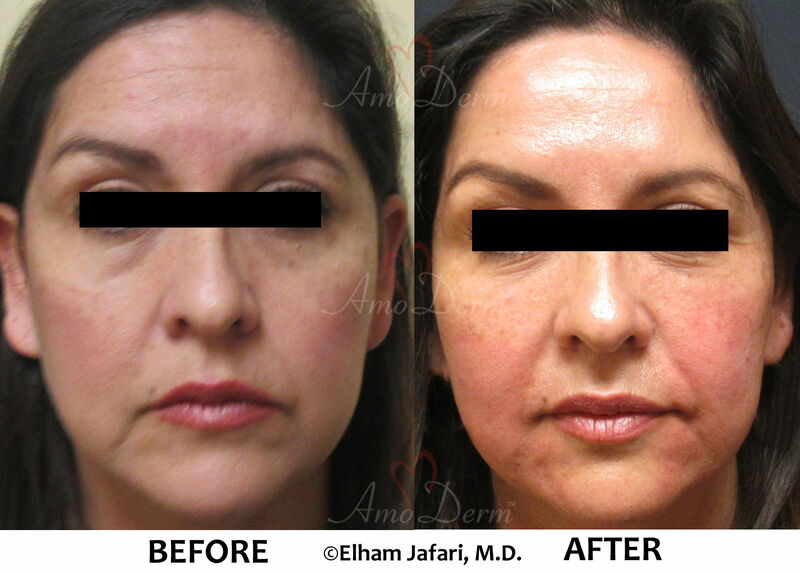 Cheeks play a pivotal role in natural beauty and youthful look. 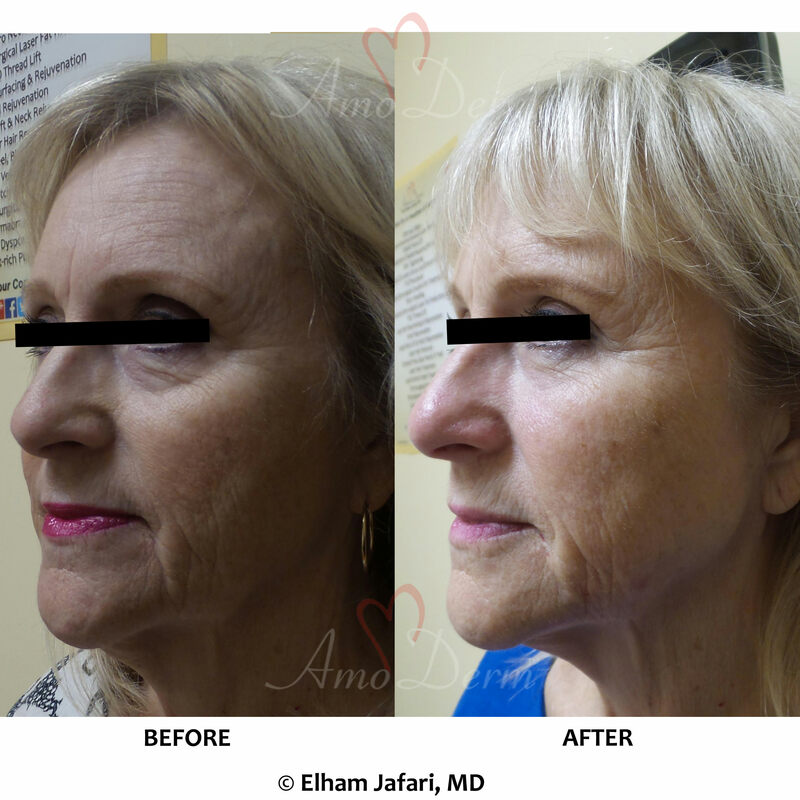 One of the defining components of aging – described in the transition from the “triangle of youth” to “pyramid of aging” is collapsed or sunken cheeks. 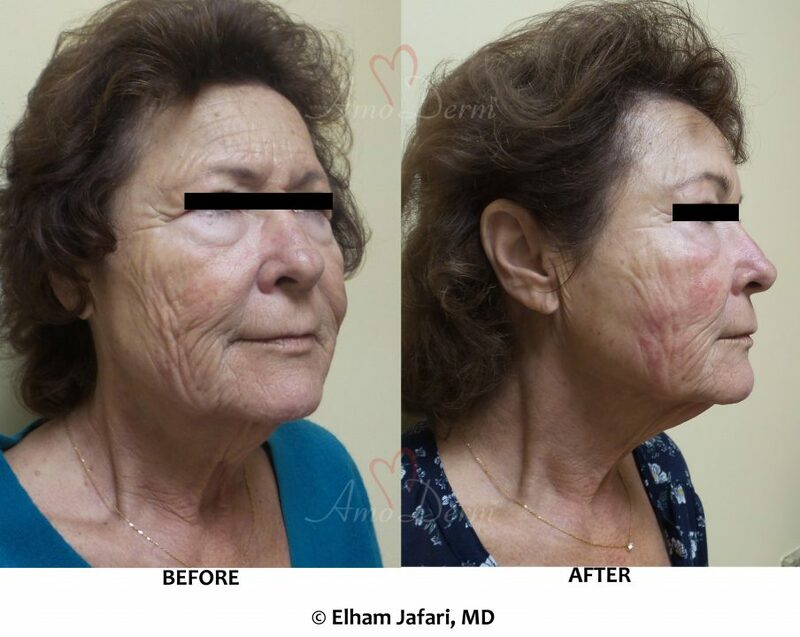 As we age, we loose volume in the cheeks and collapsed cheeks contribute to a tired and aged look. 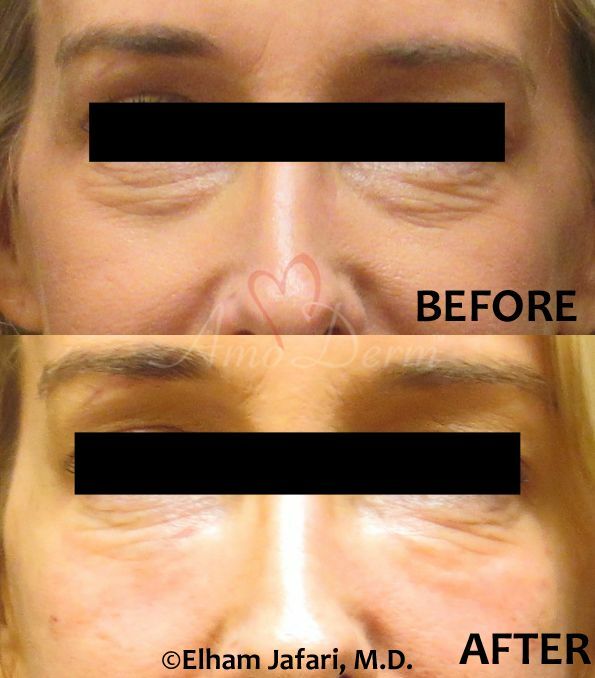 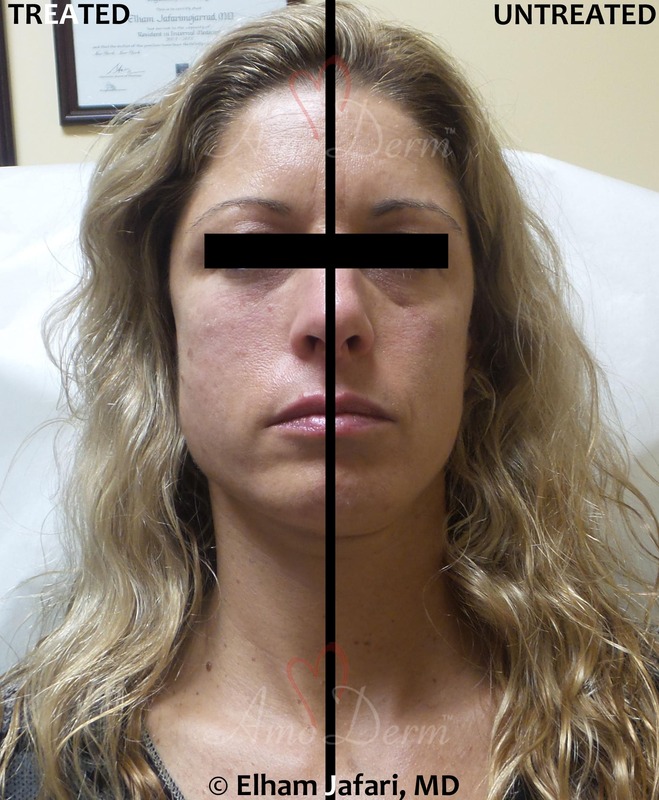 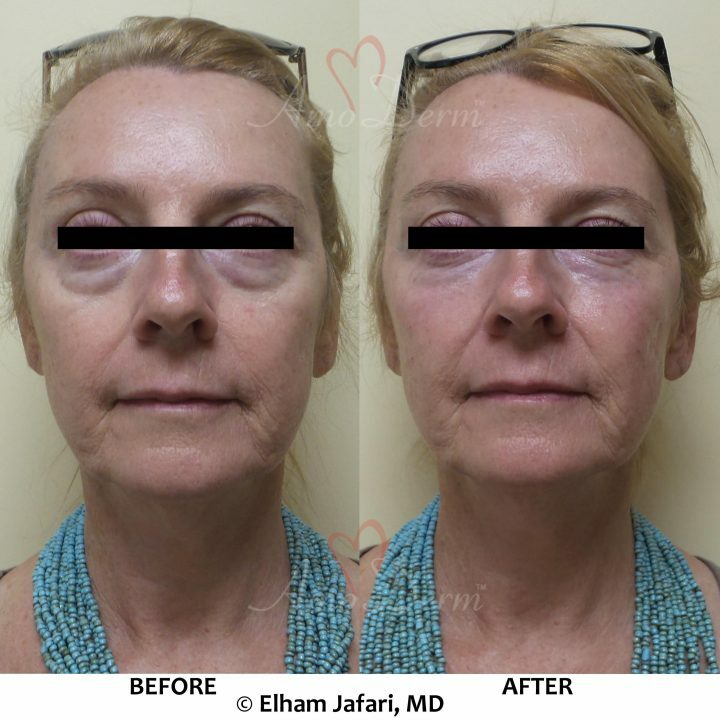 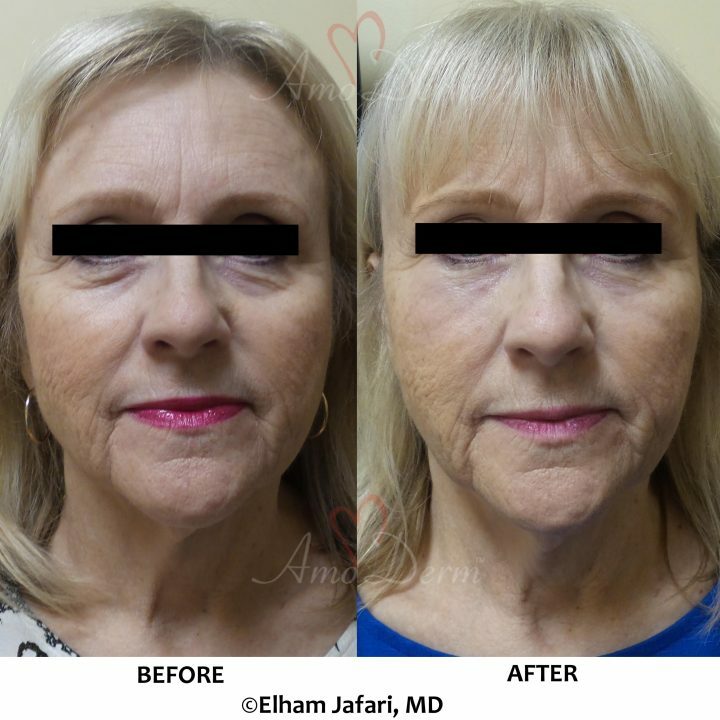 It can further exacerbate the issue of saggy skin throughout the face and result in deeper lines and folds at other parts of face such as nasolabial folds. 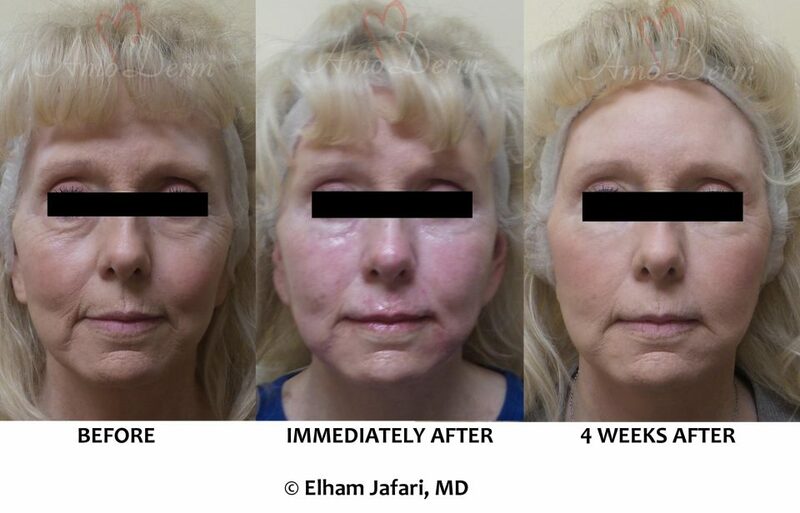 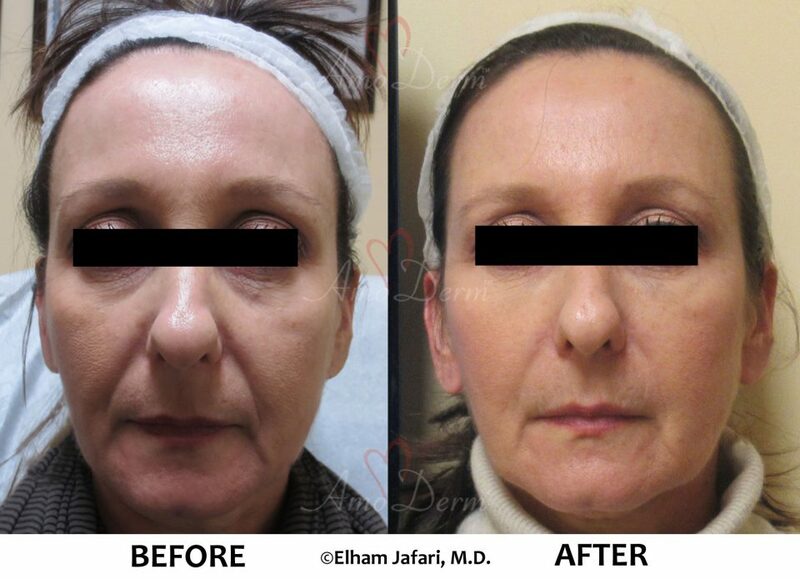 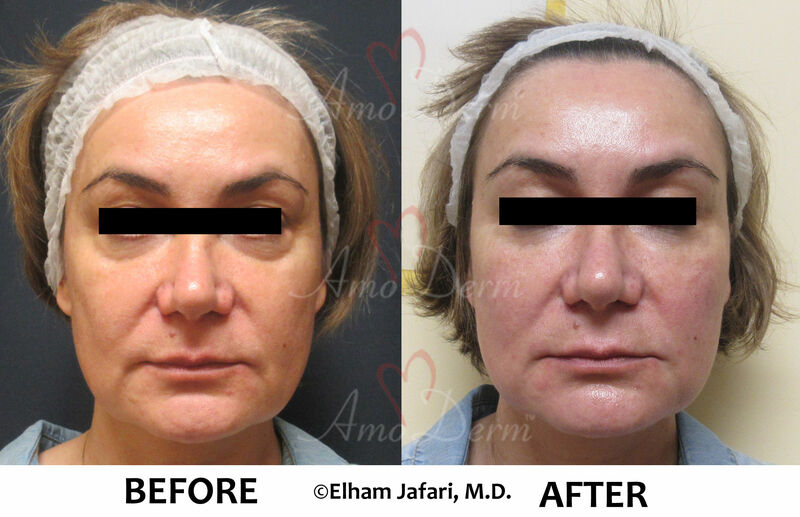 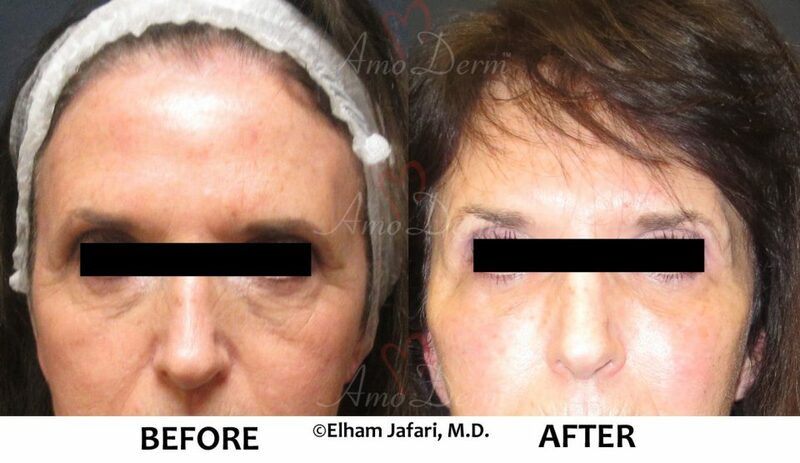 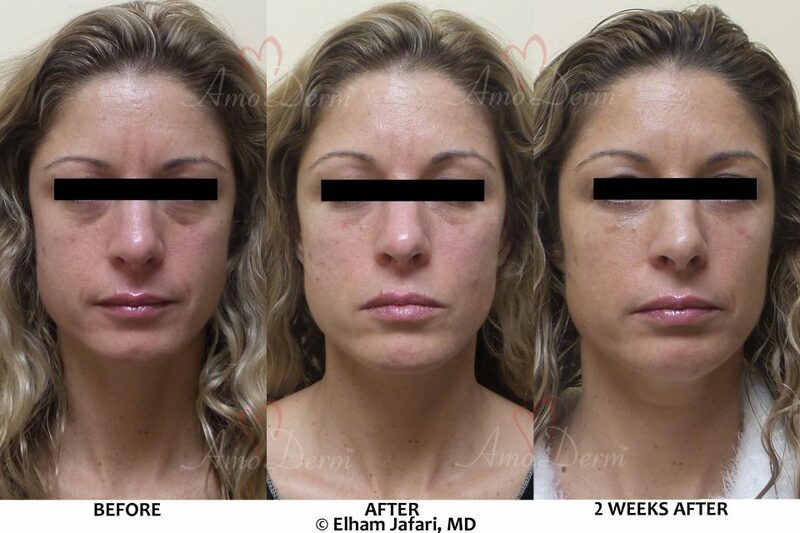 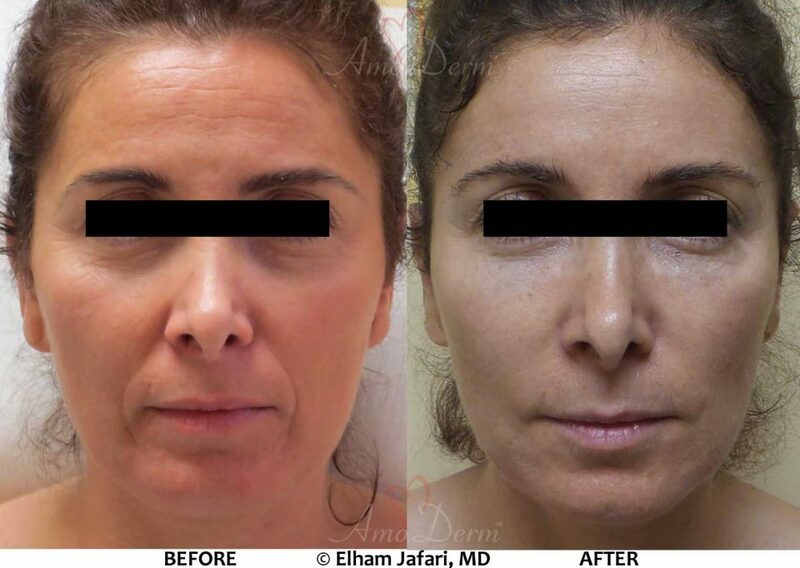 Volume restoration in cheeks is a highly effective anti-aging treatment to restore a youthful and refreshed look. 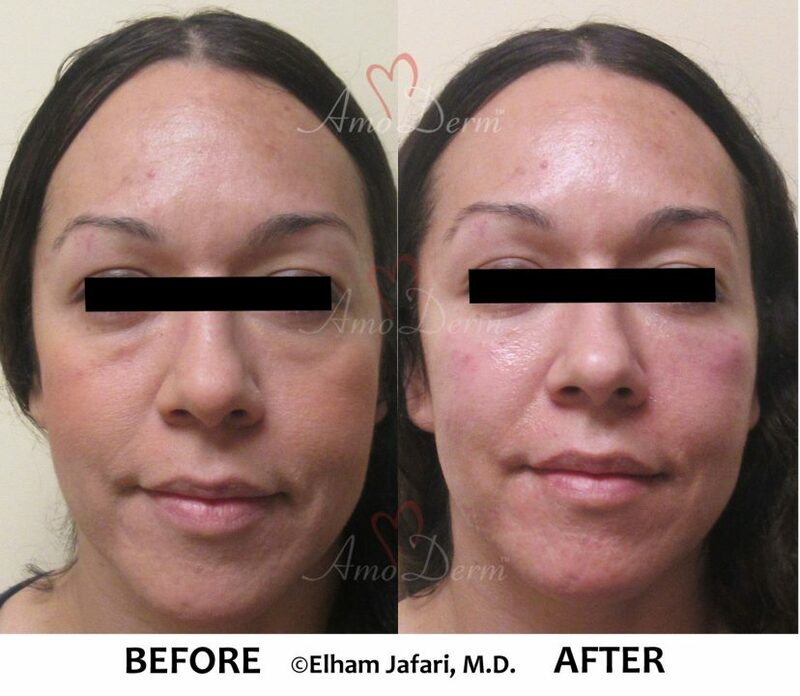 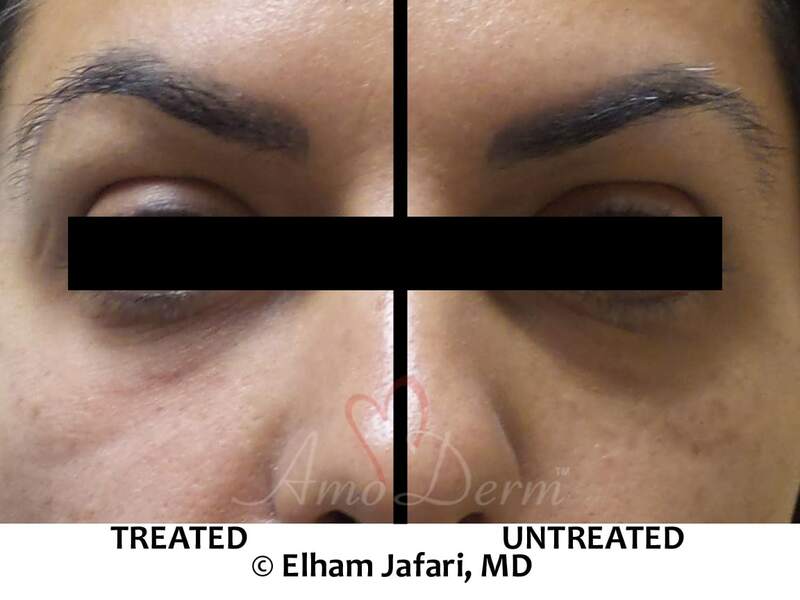 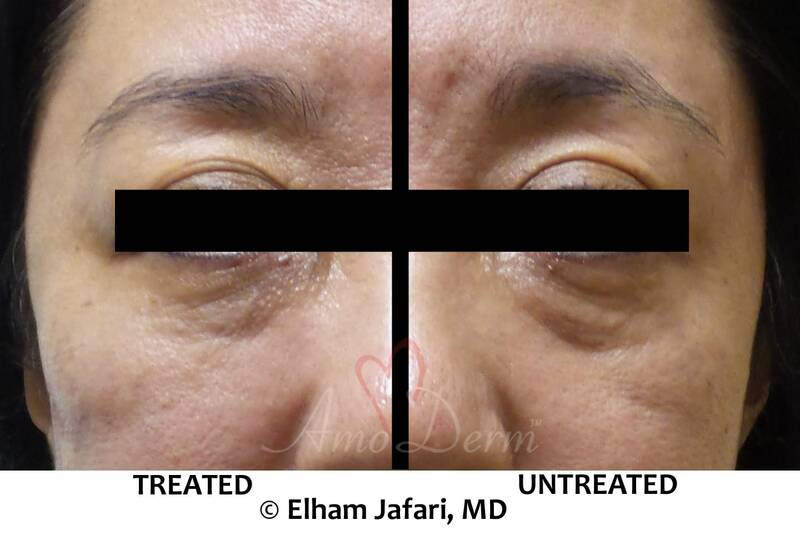 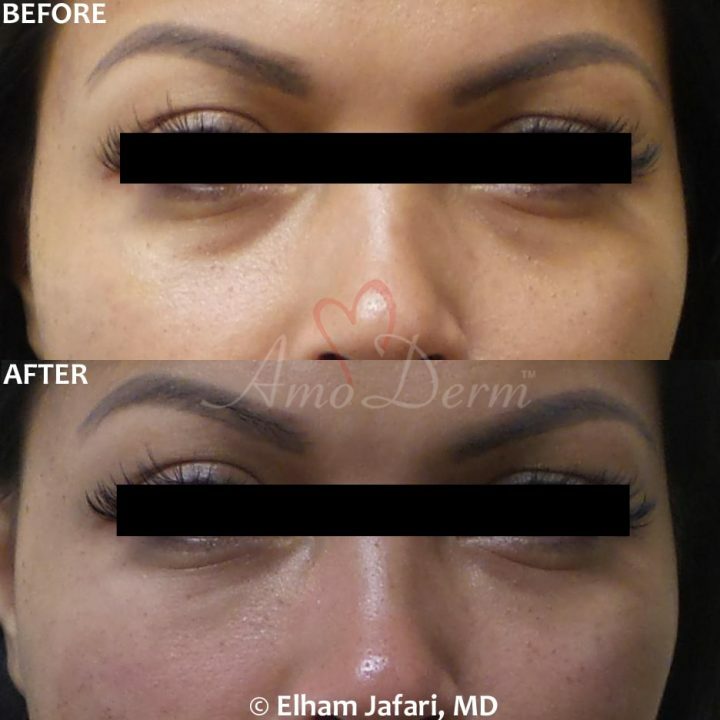 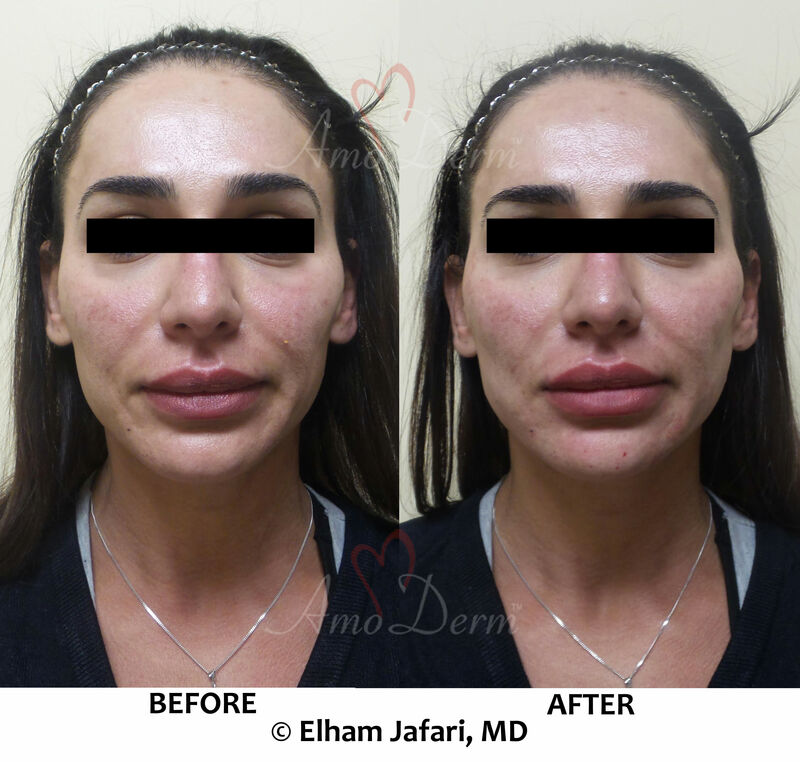 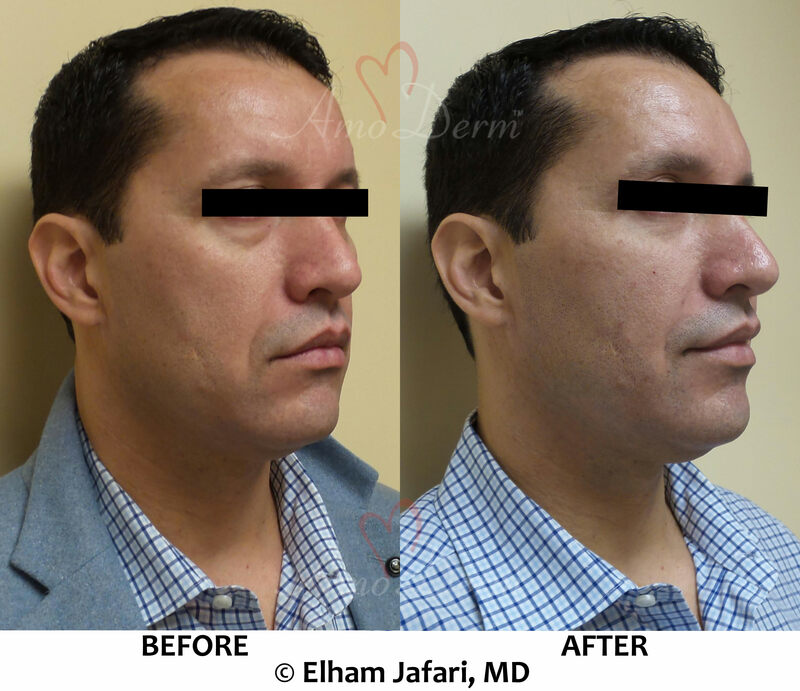 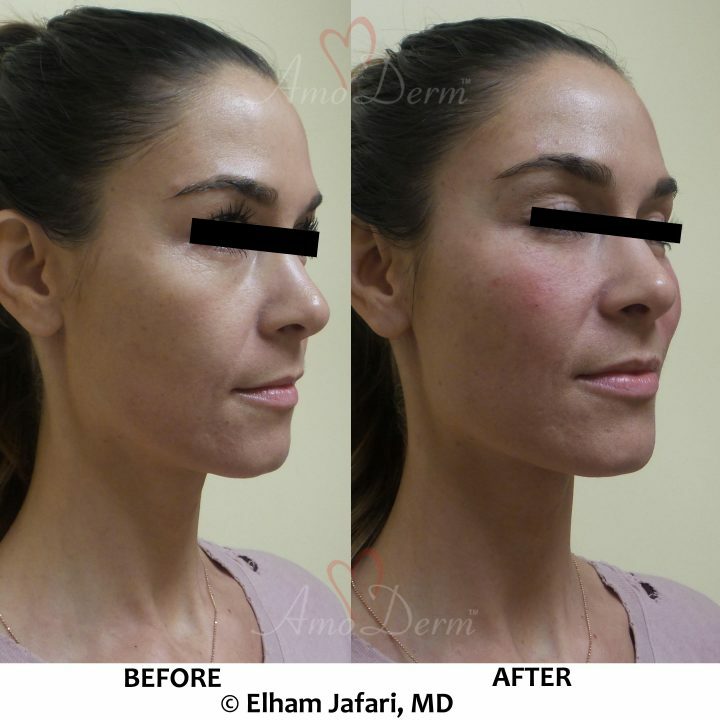 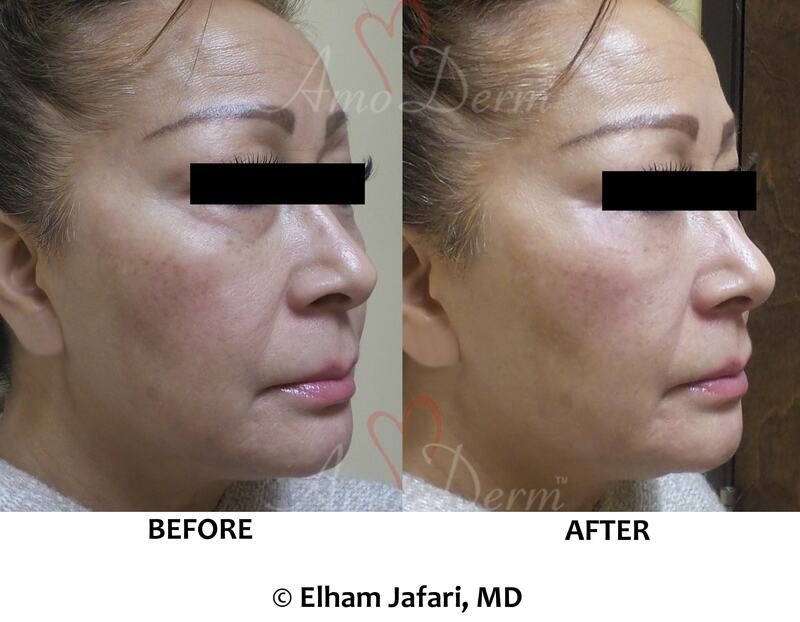 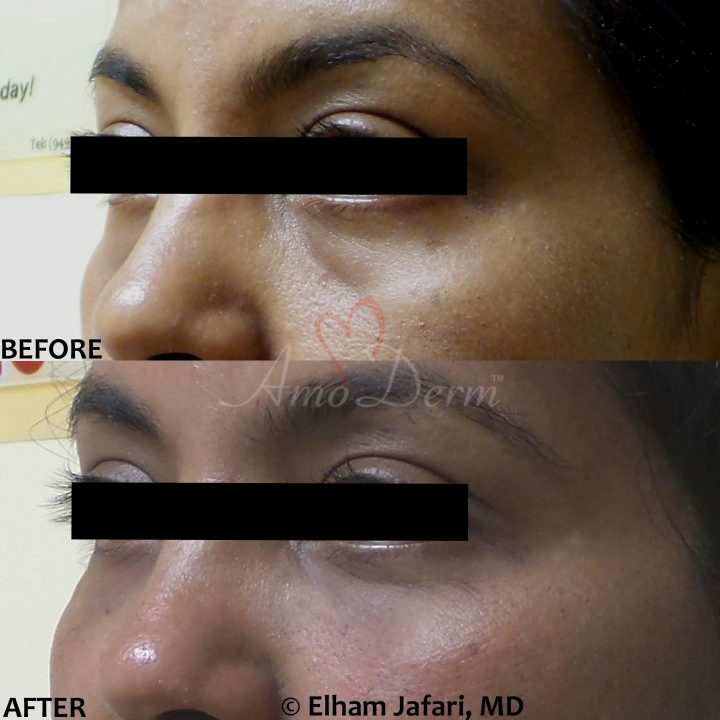 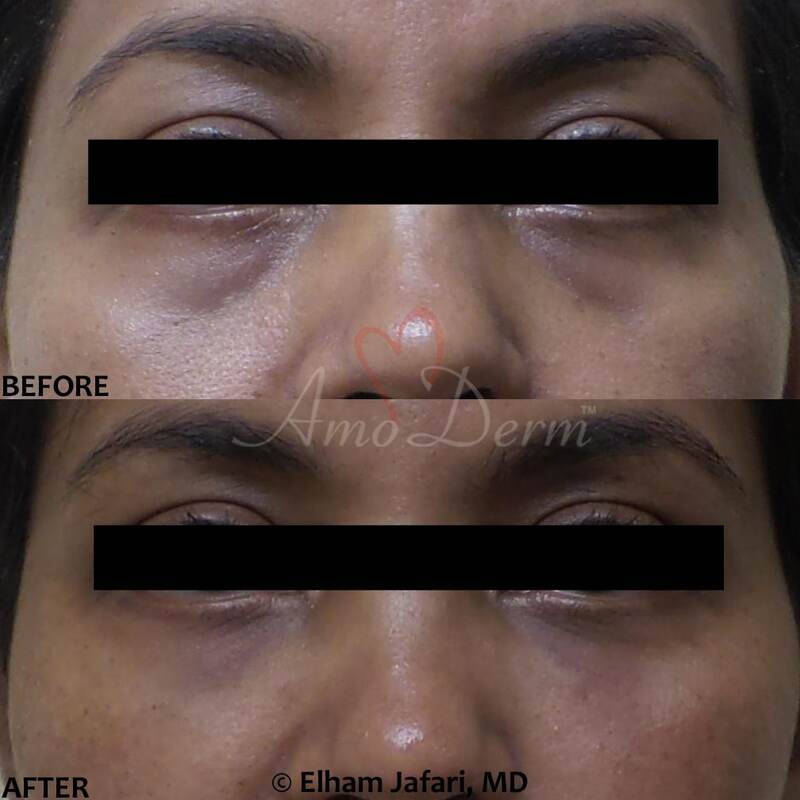 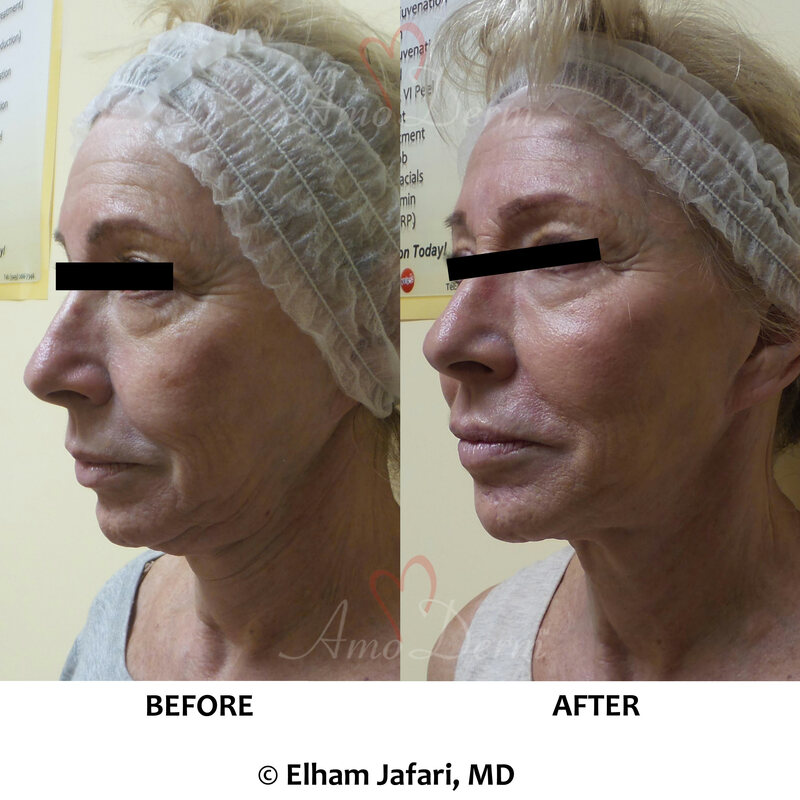 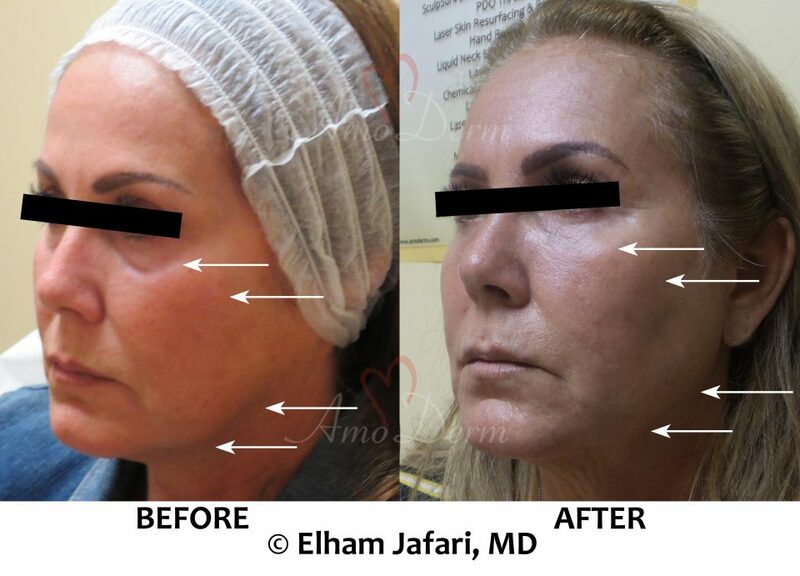 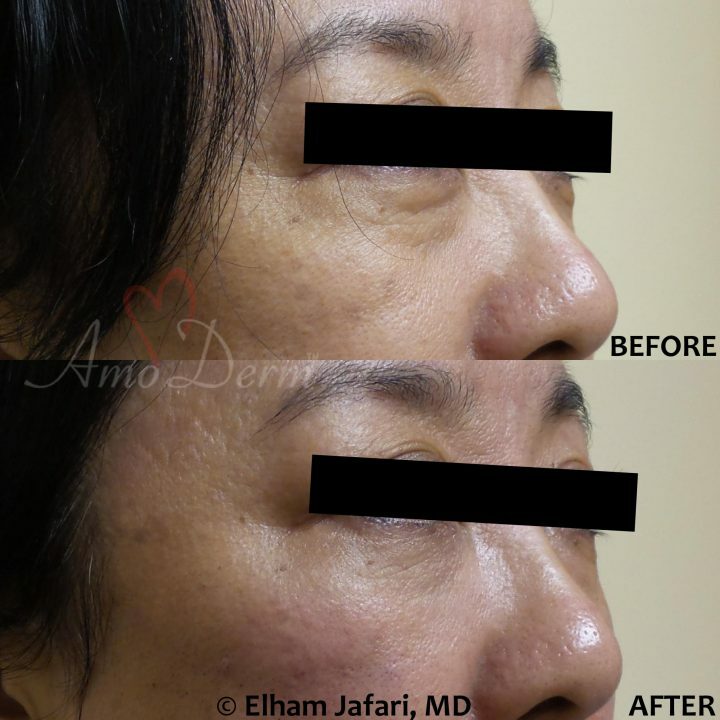 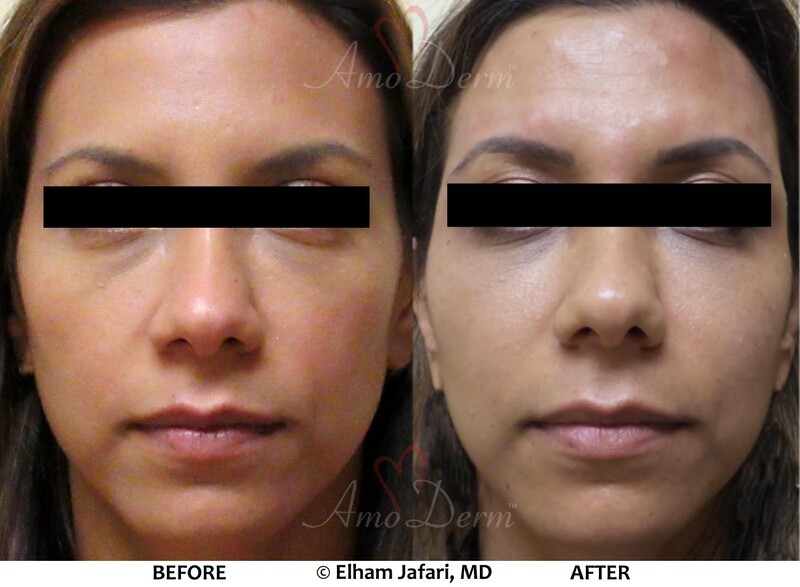 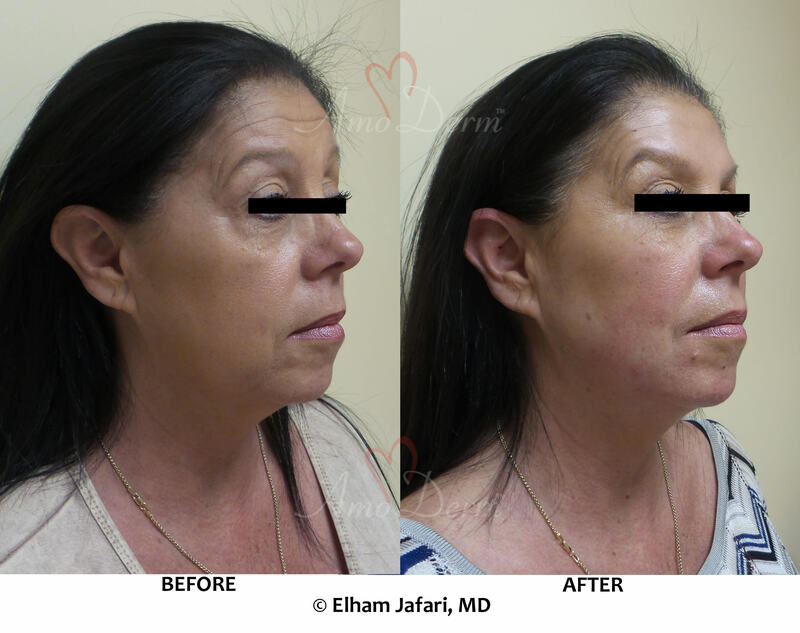 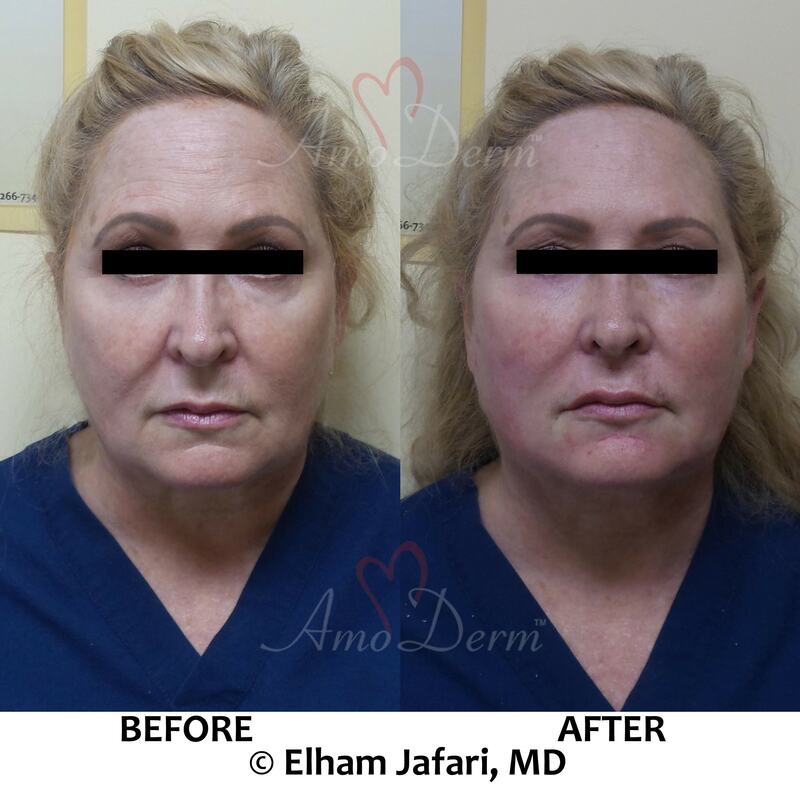 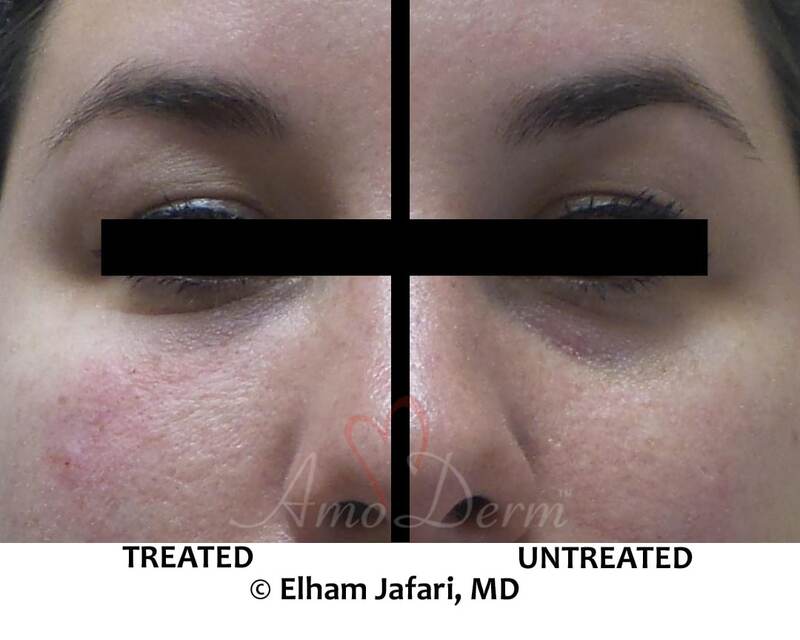 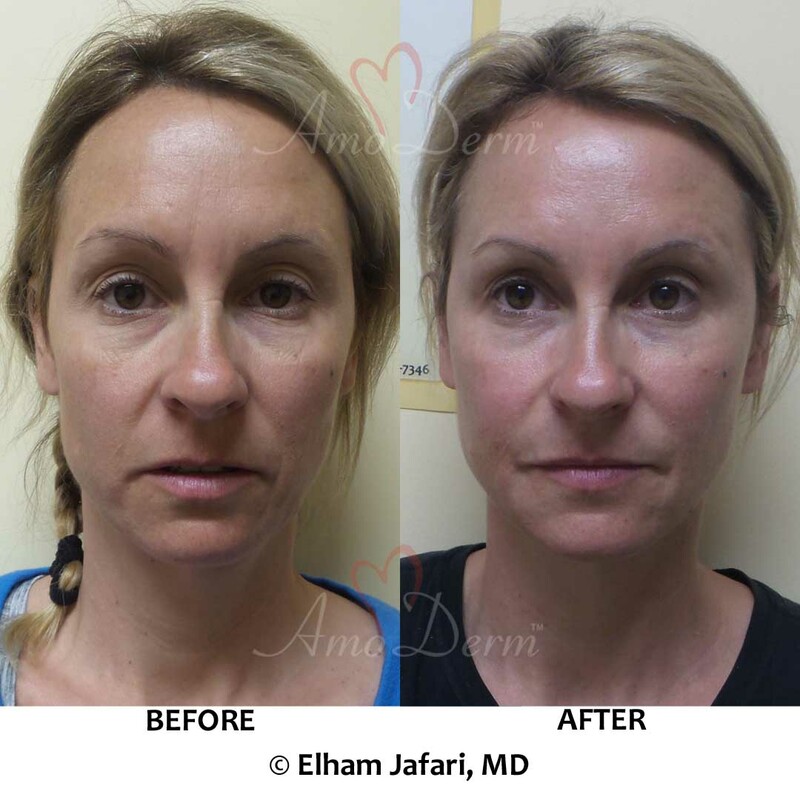 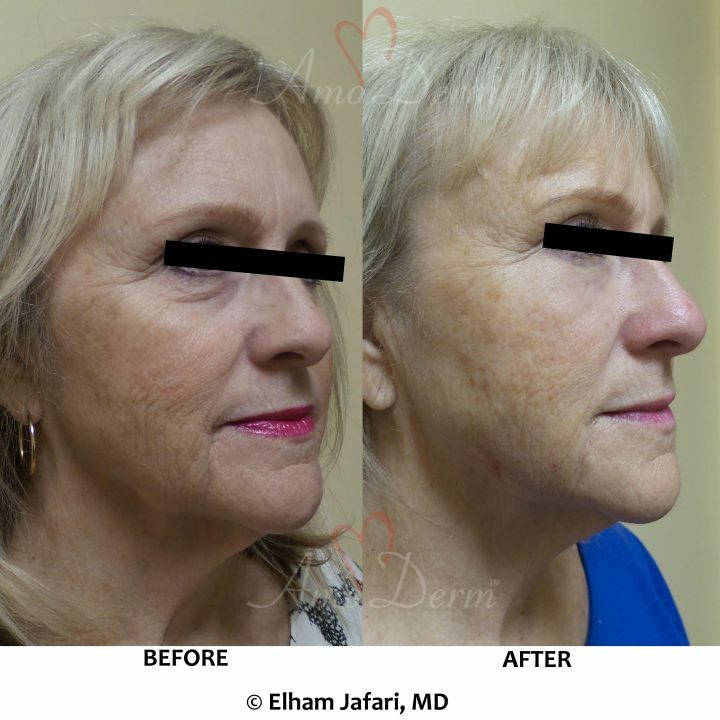 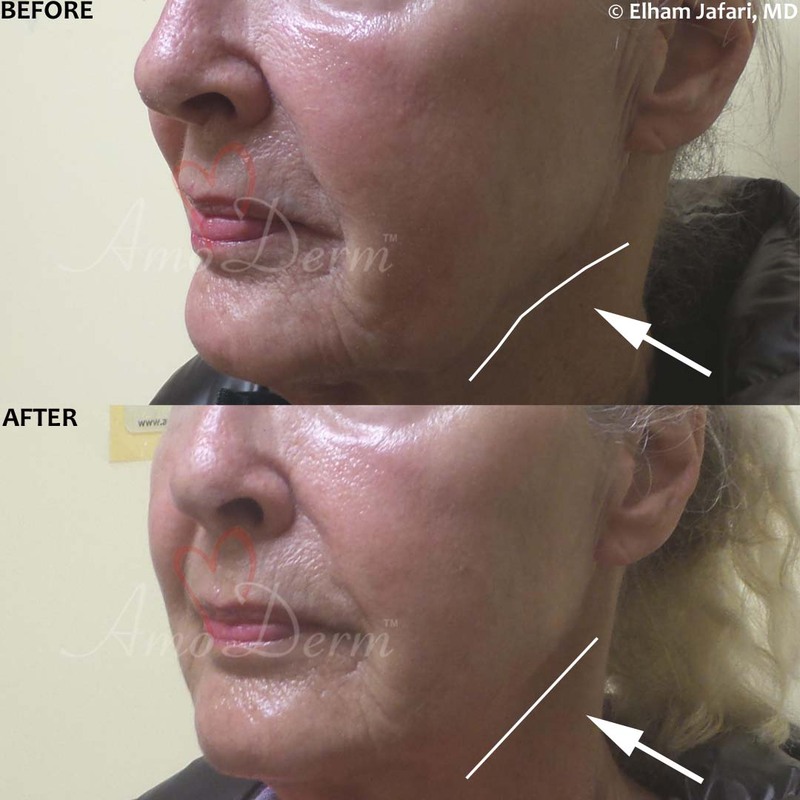 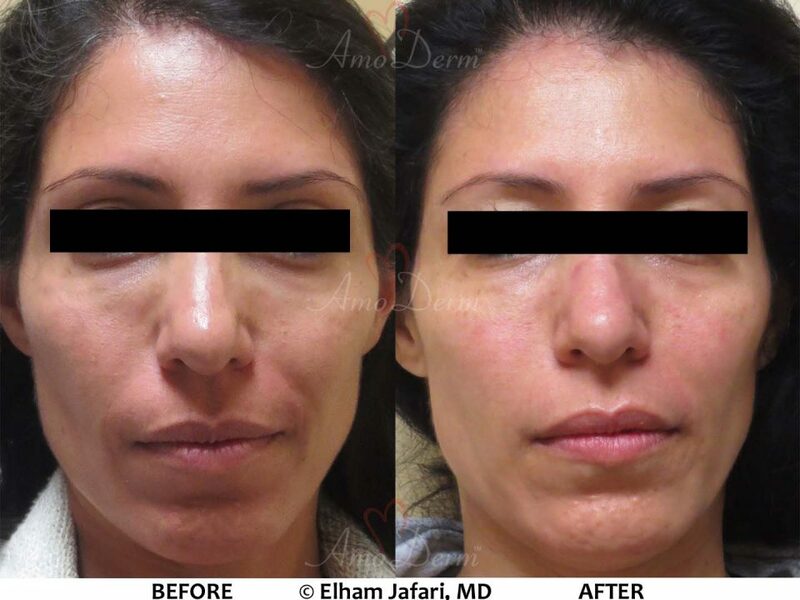 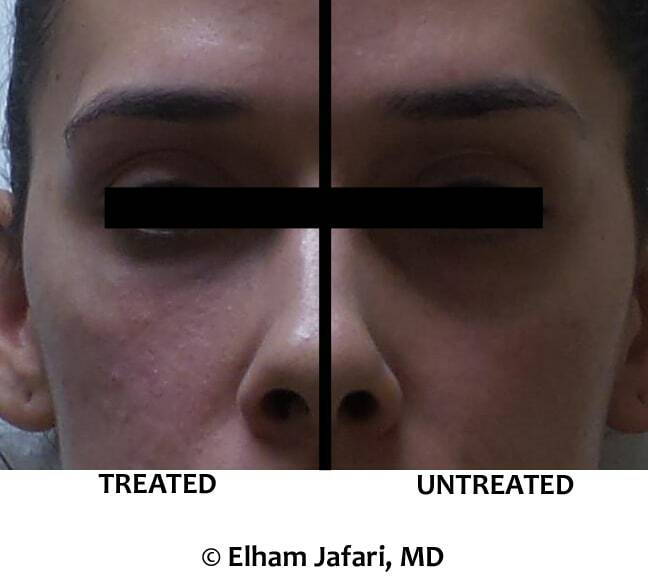 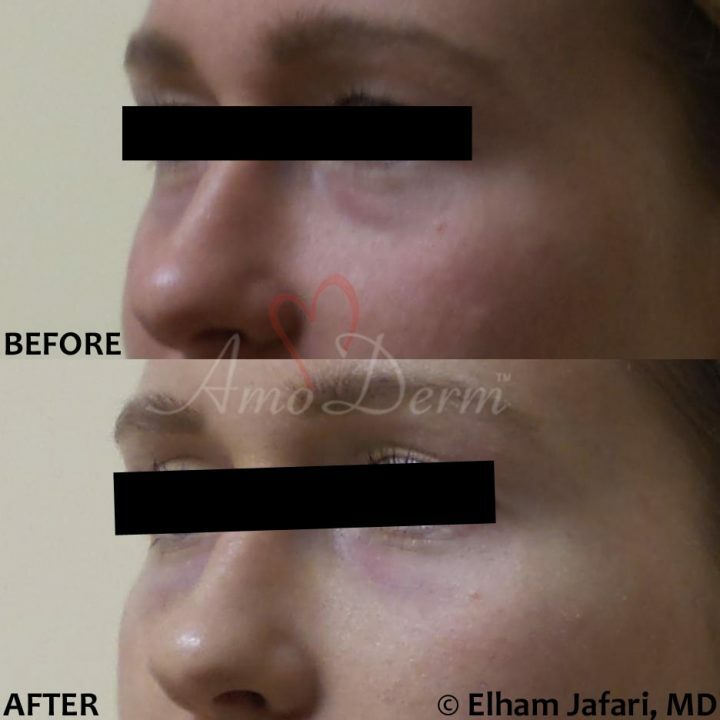 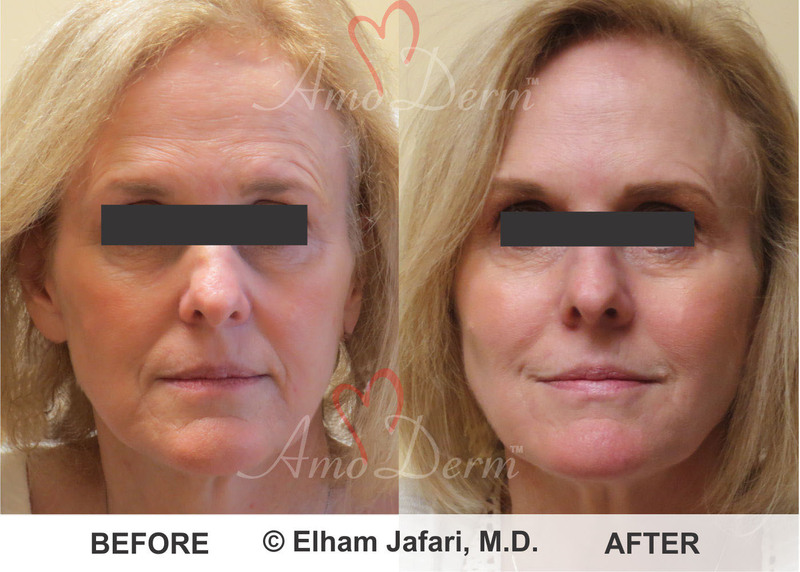 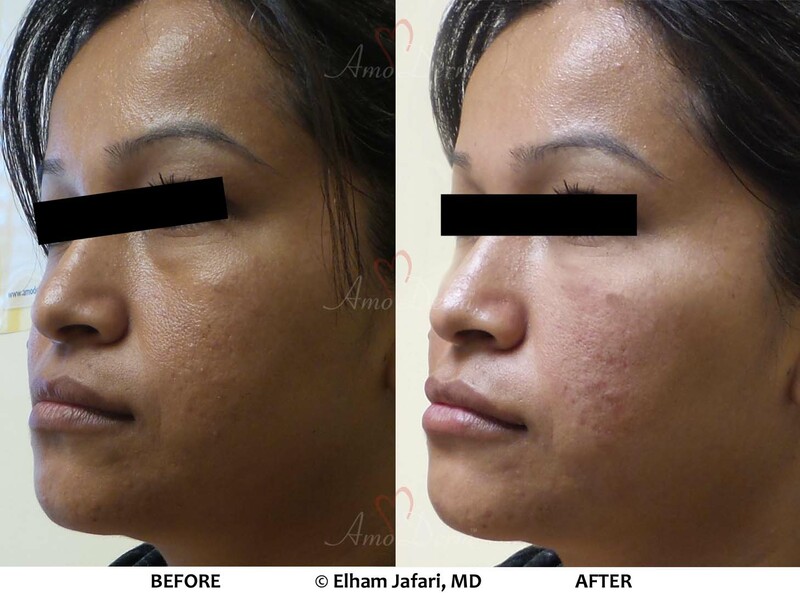 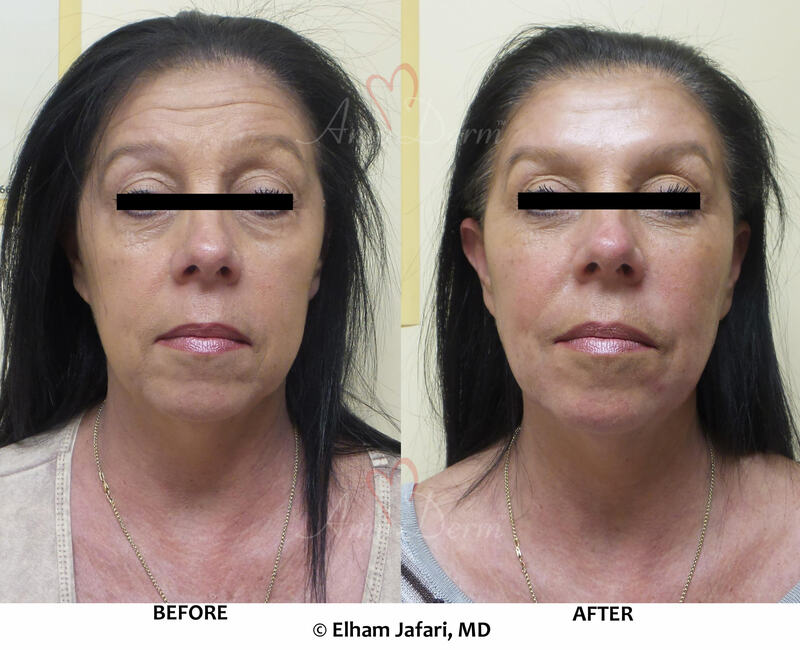 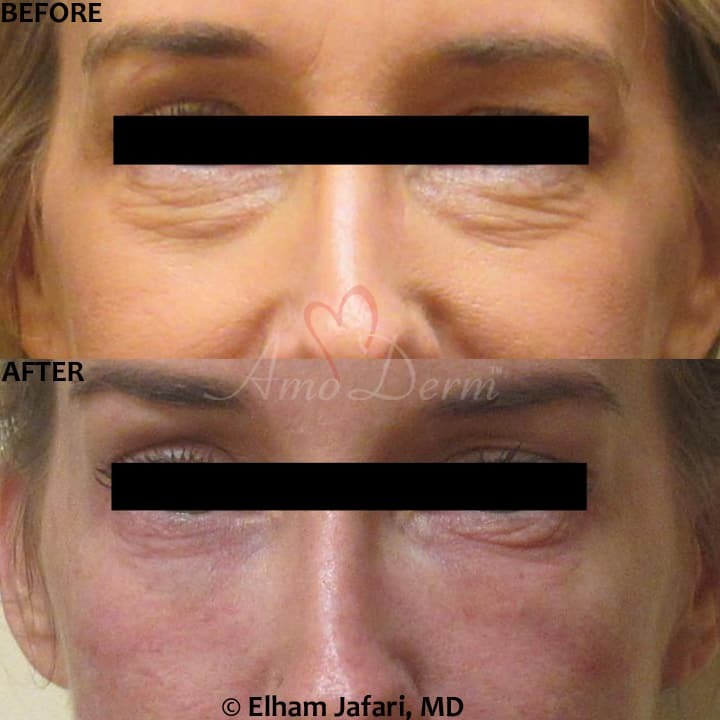 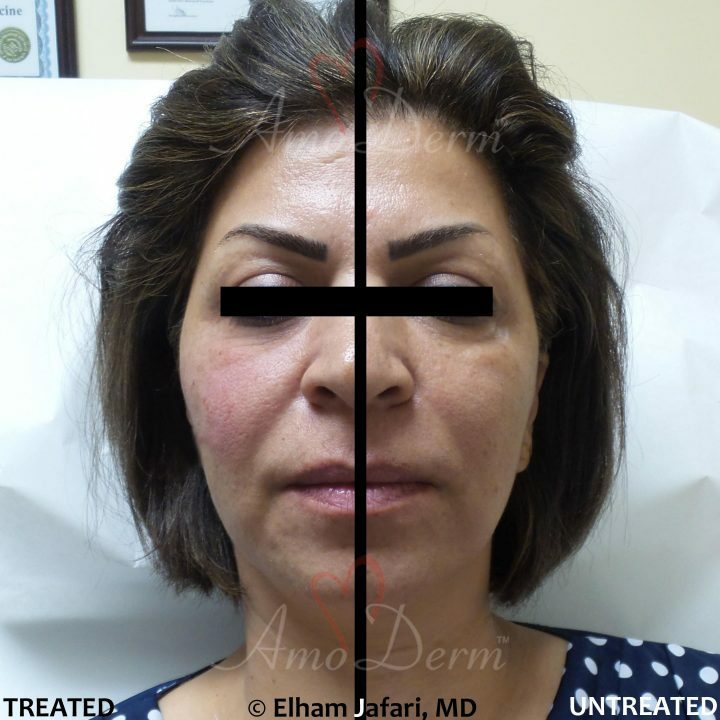 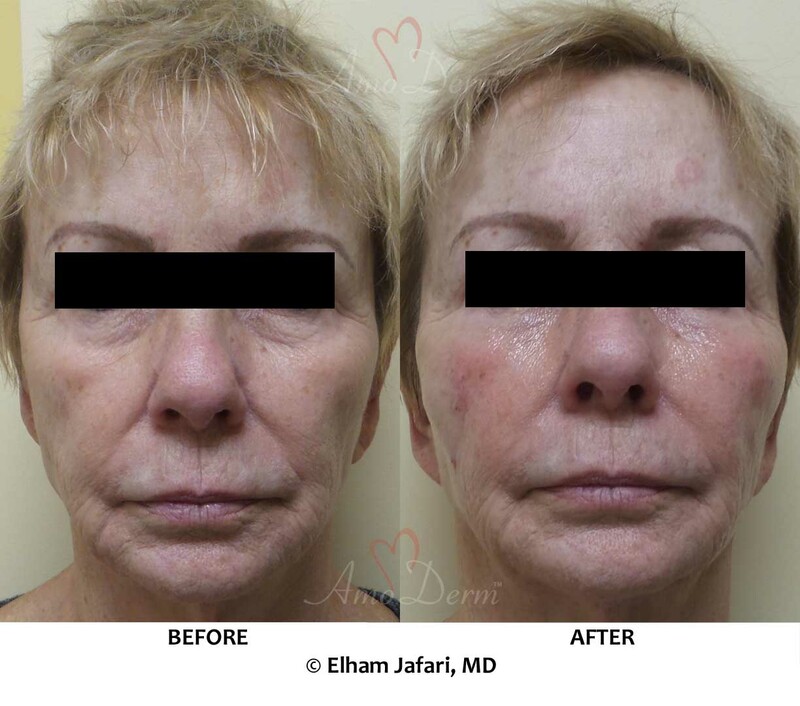 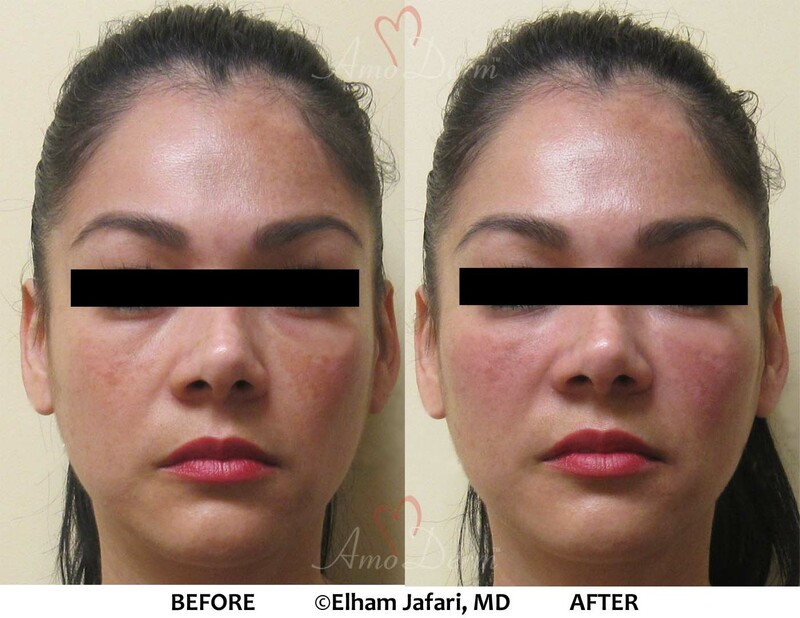 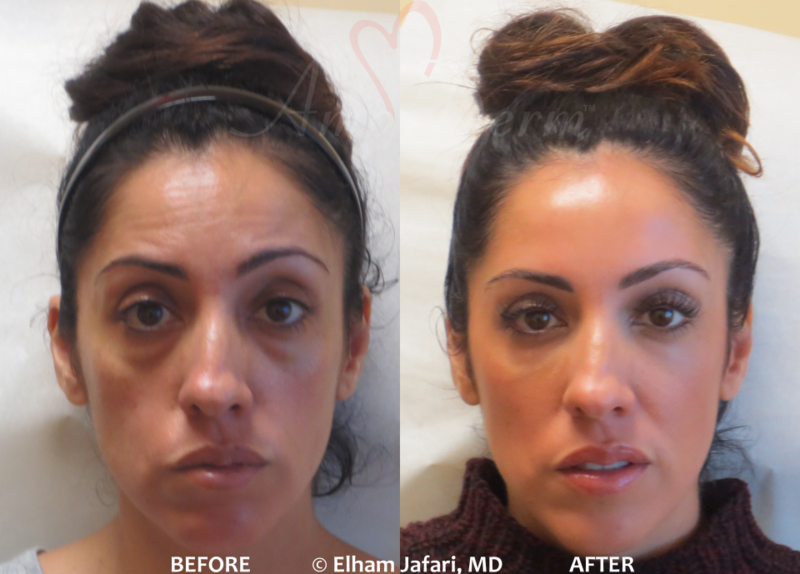 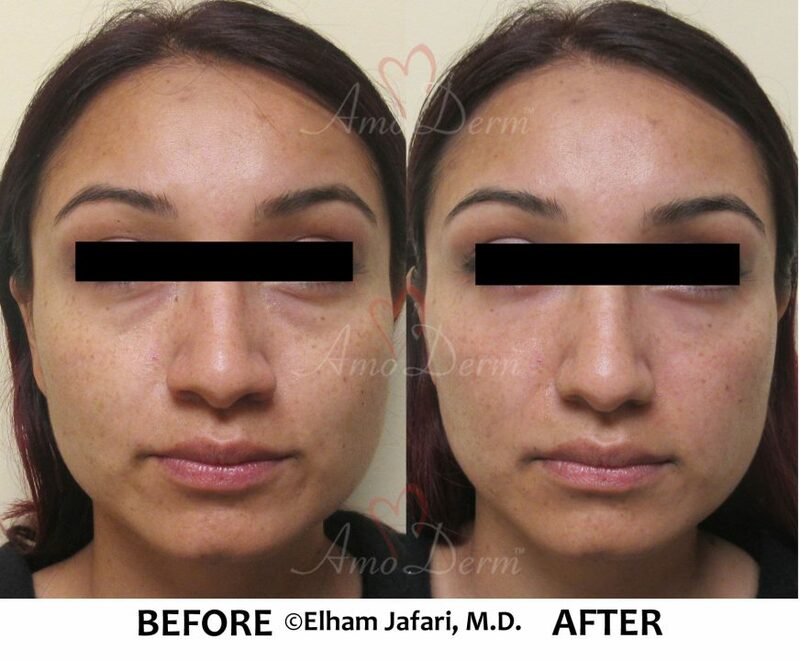 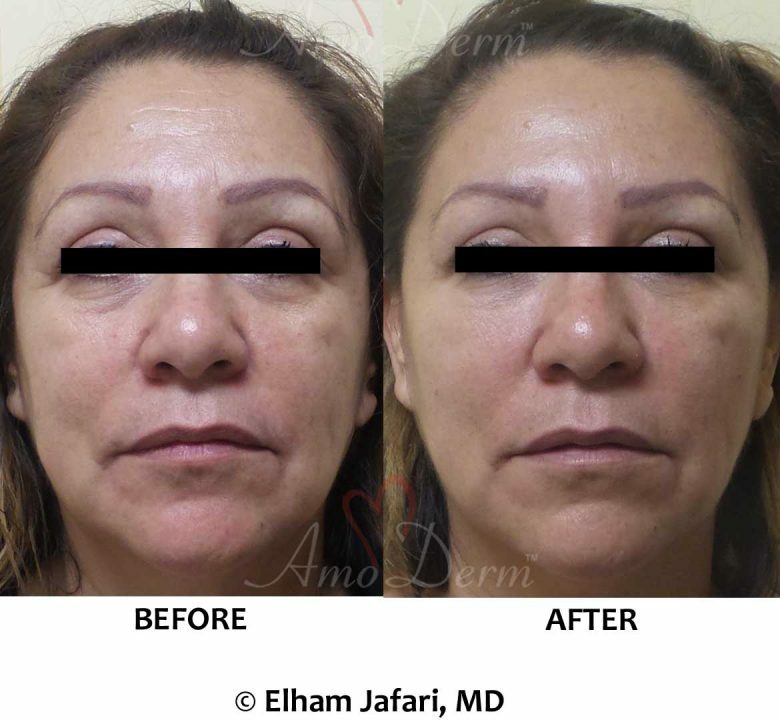 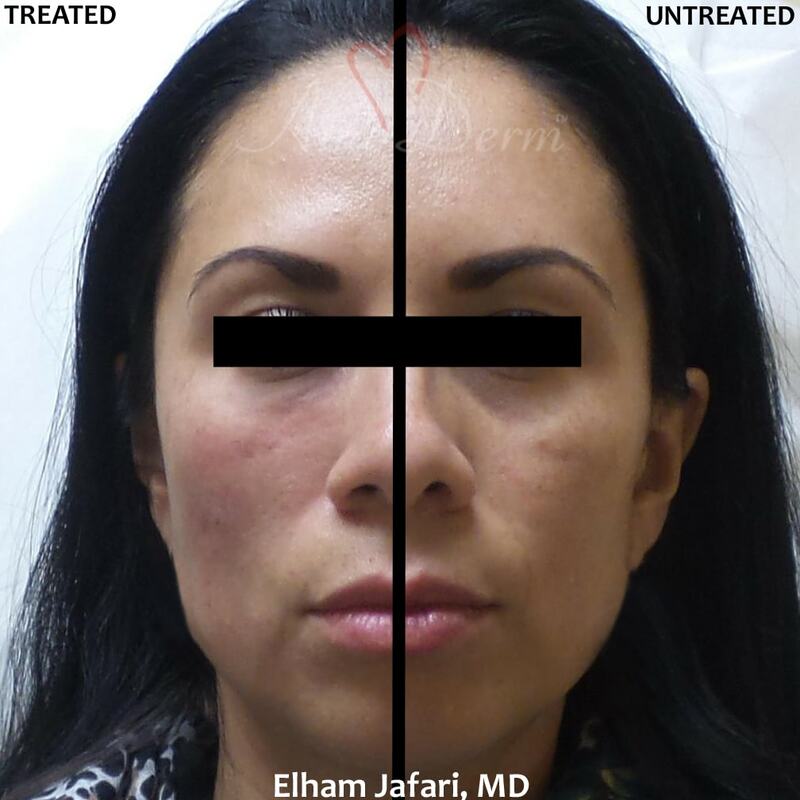 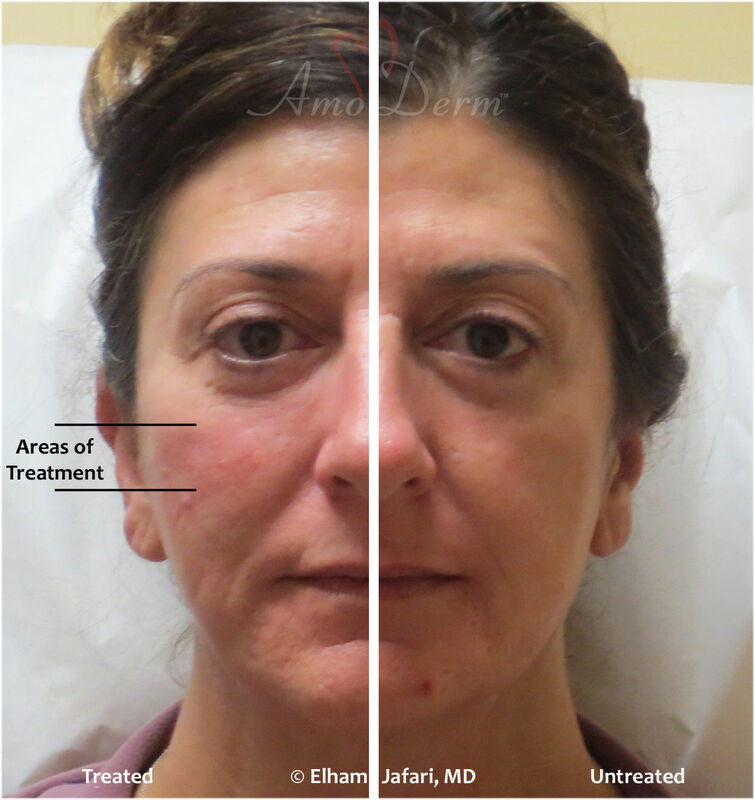 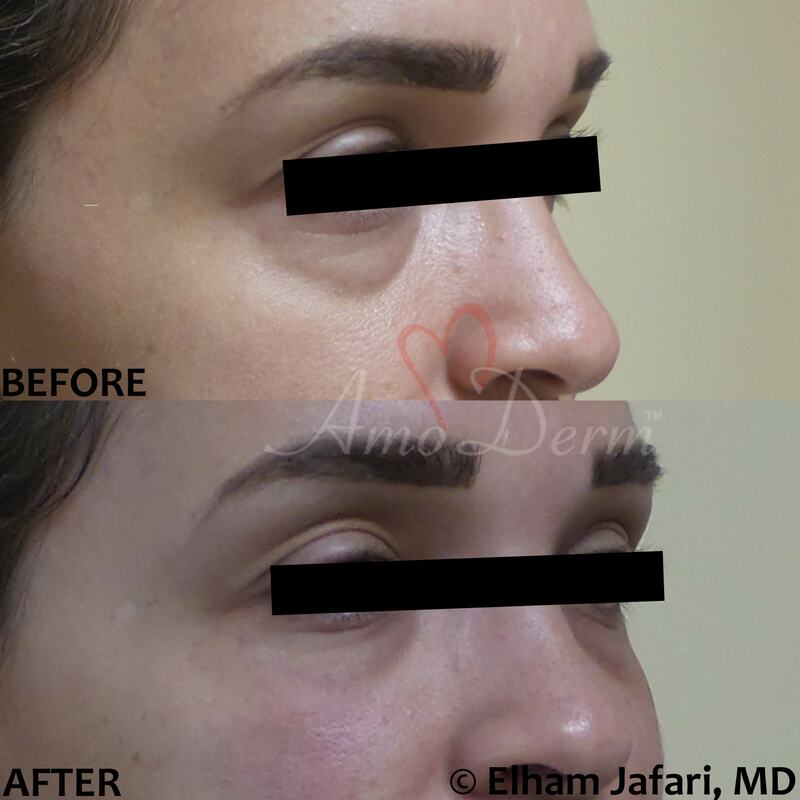 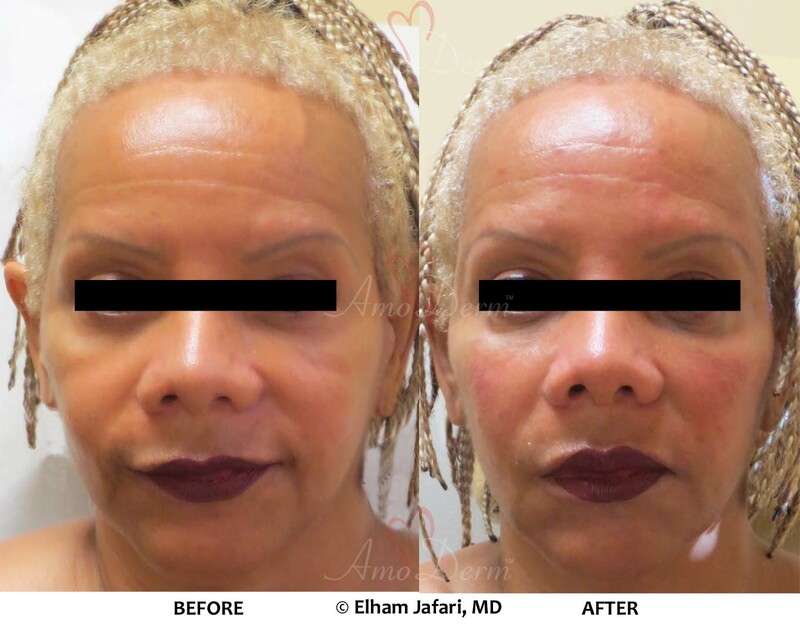 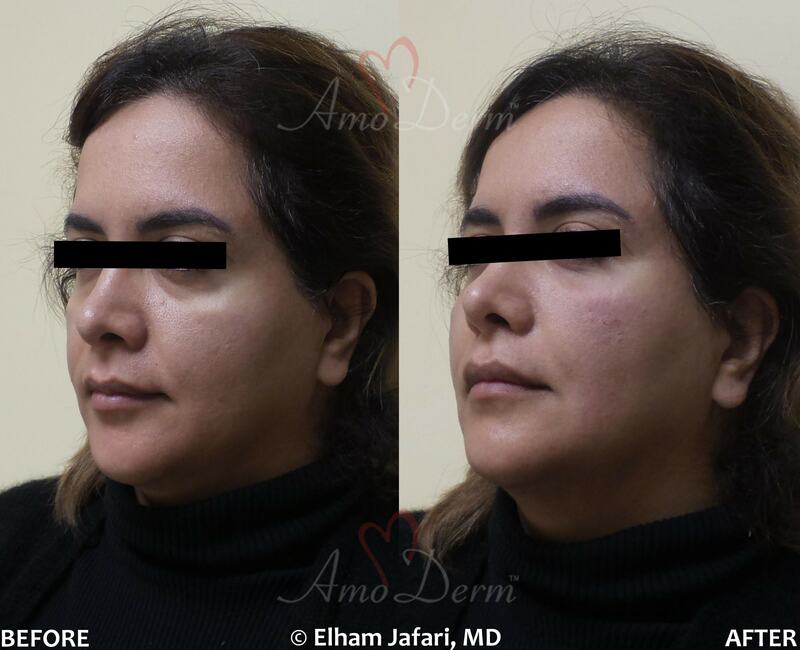 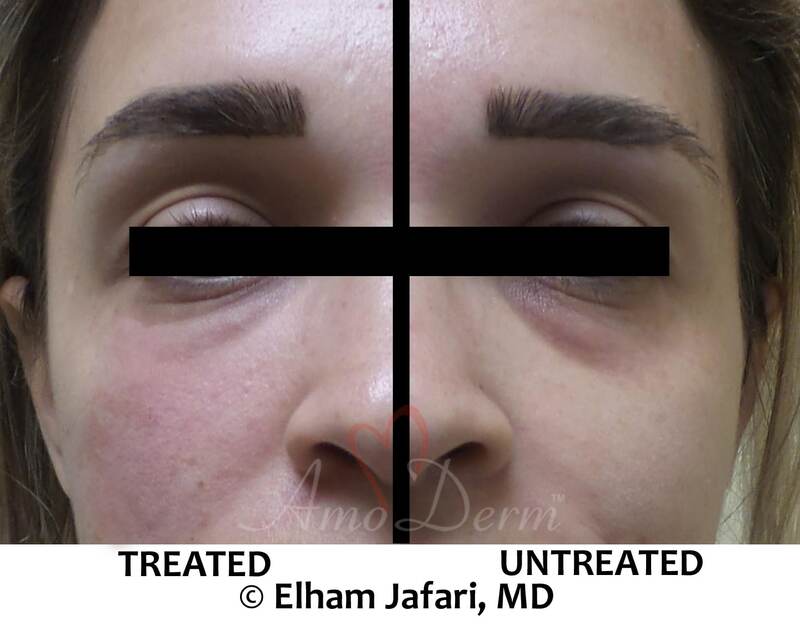 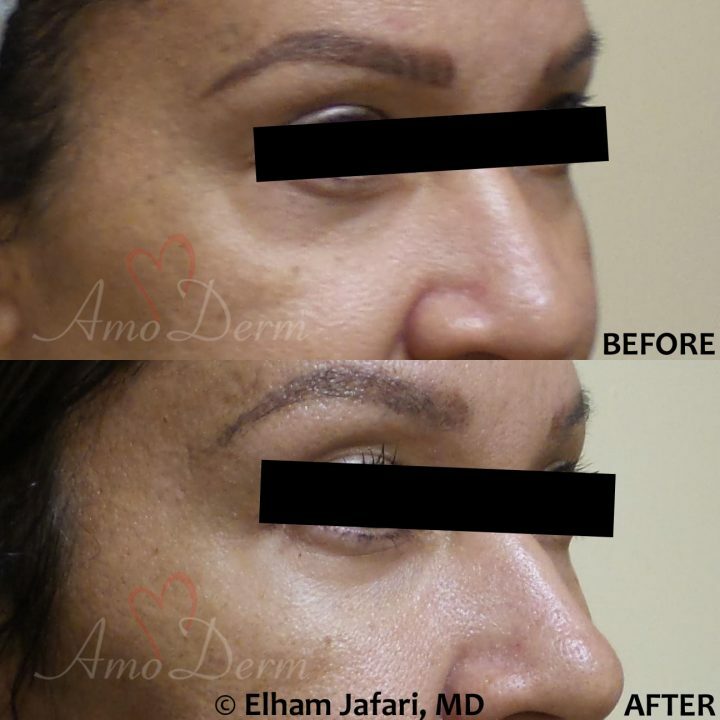 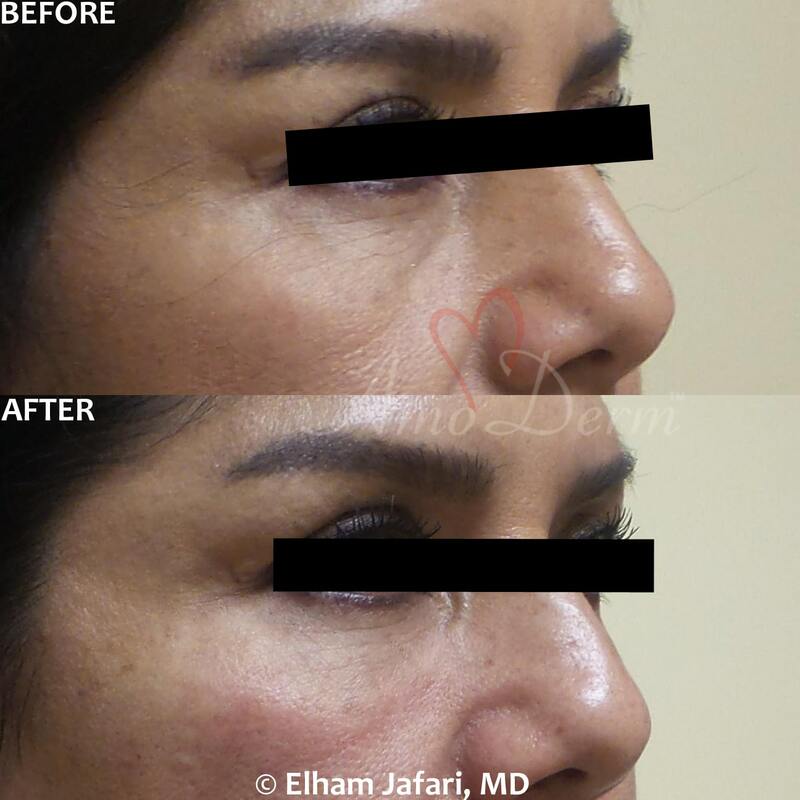 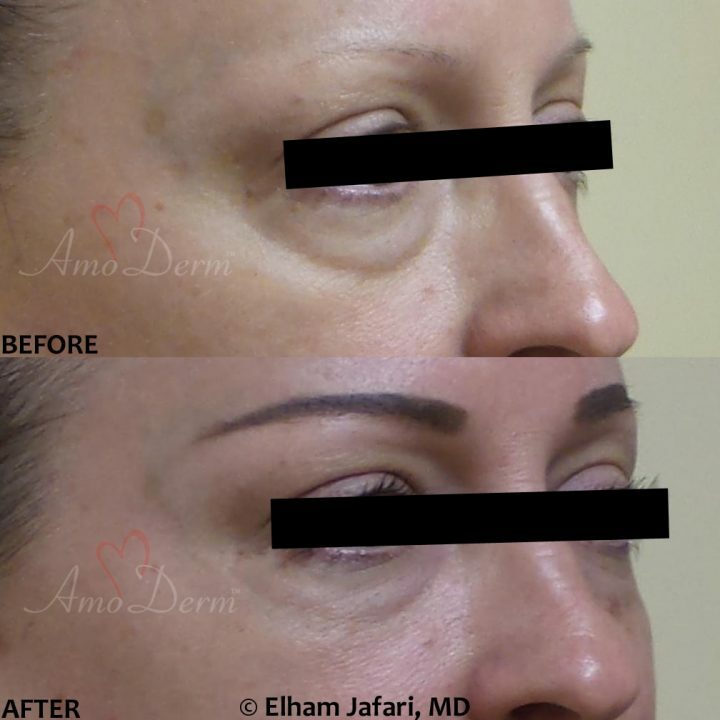 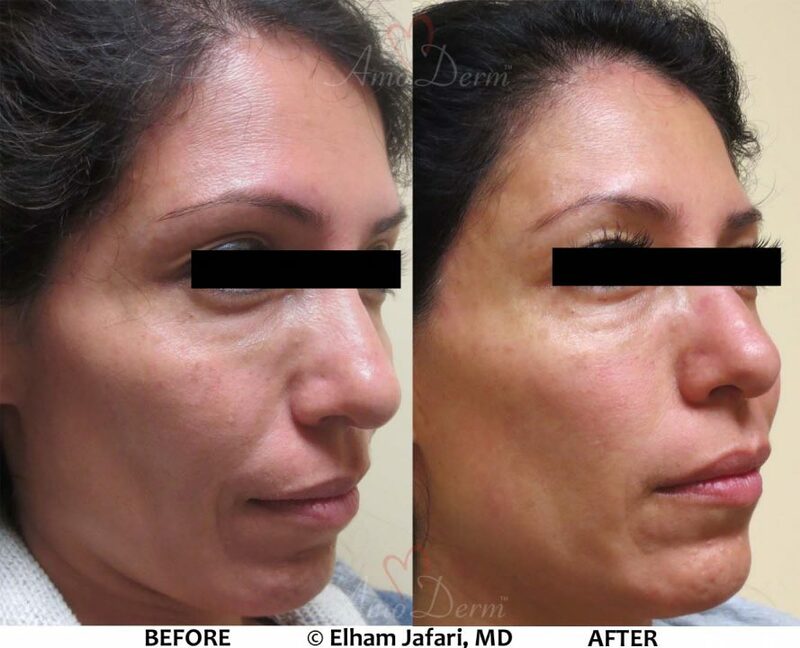 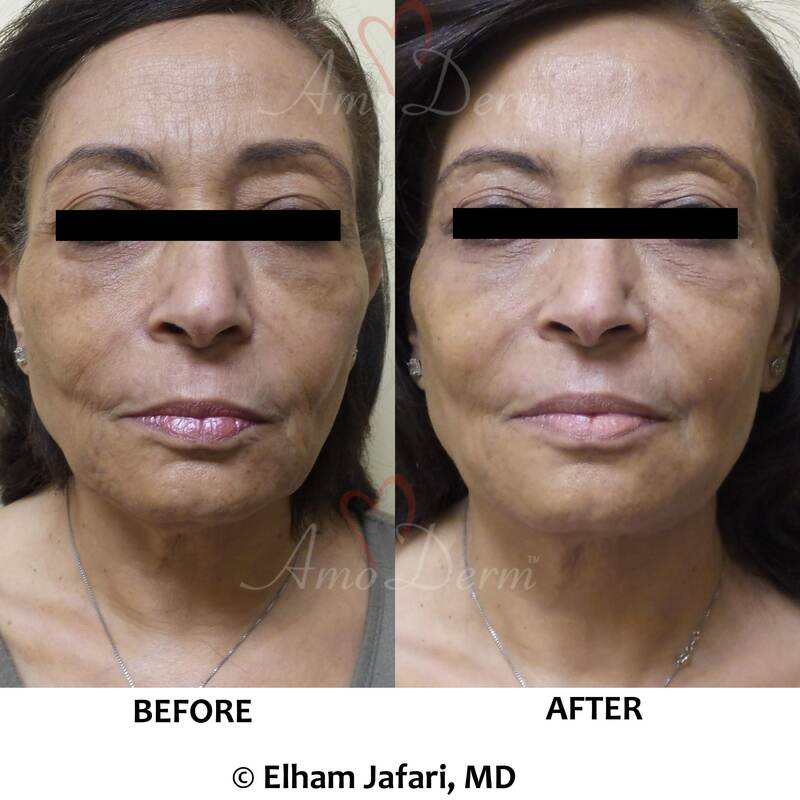 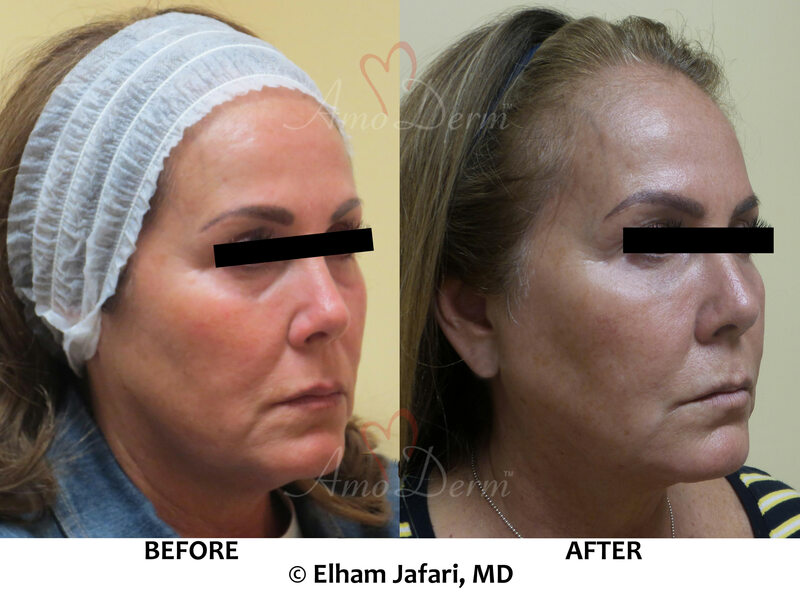 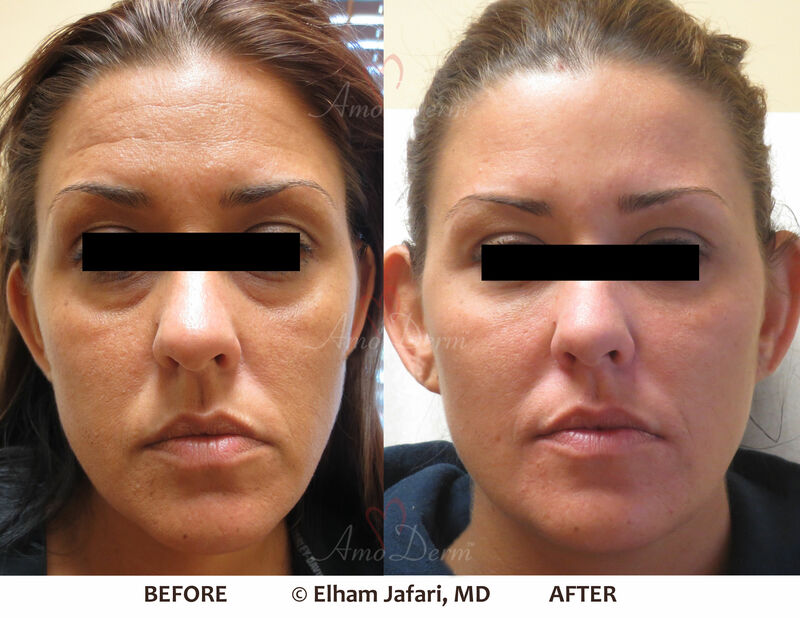 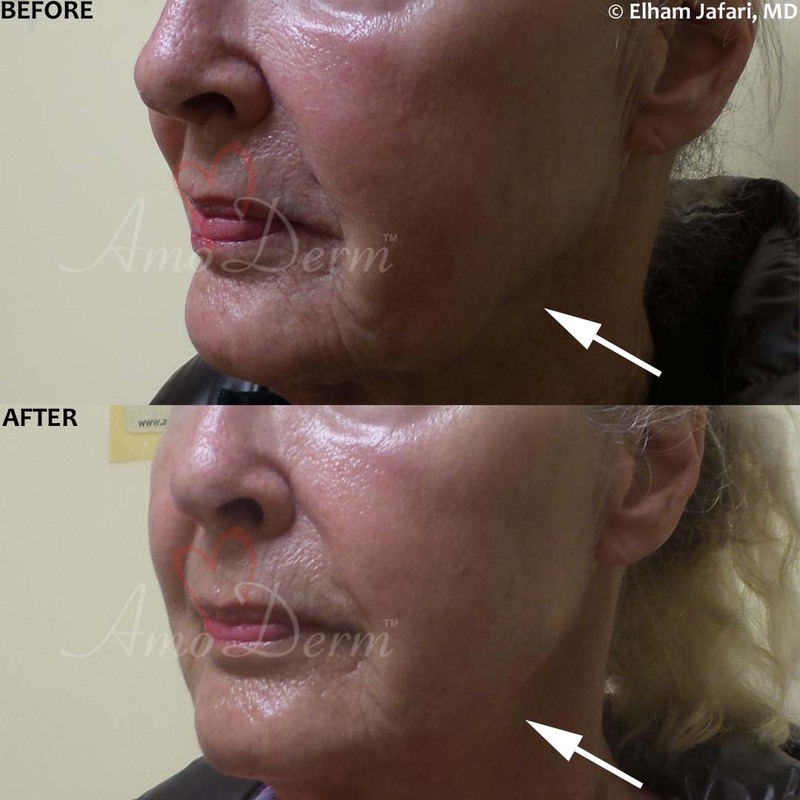 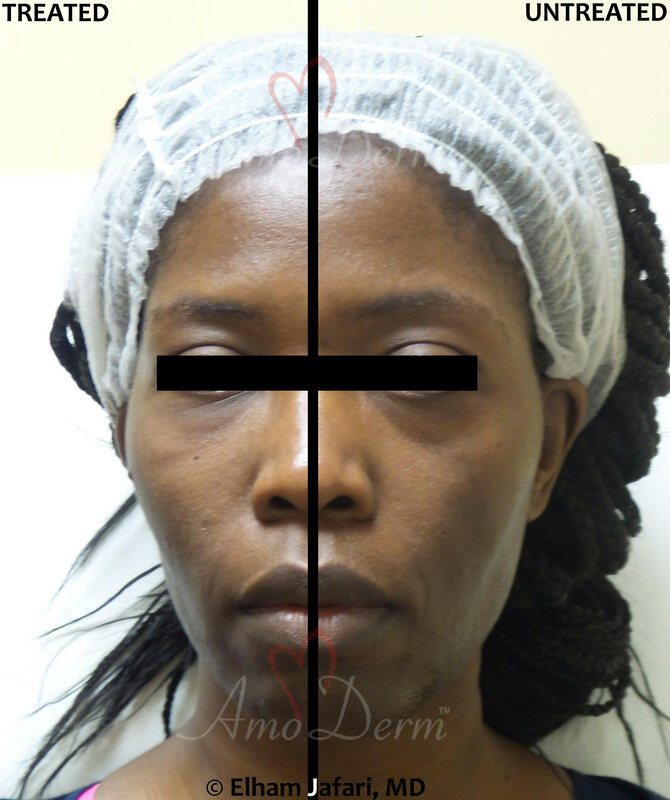 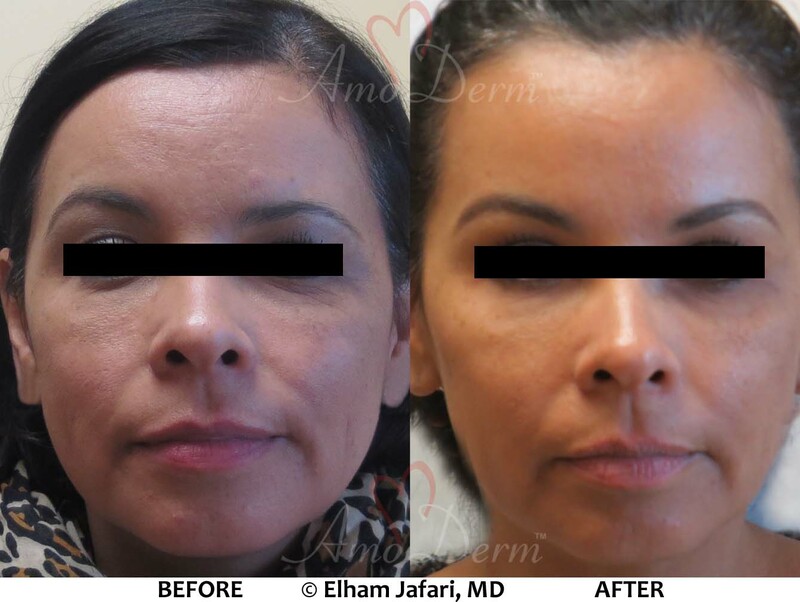 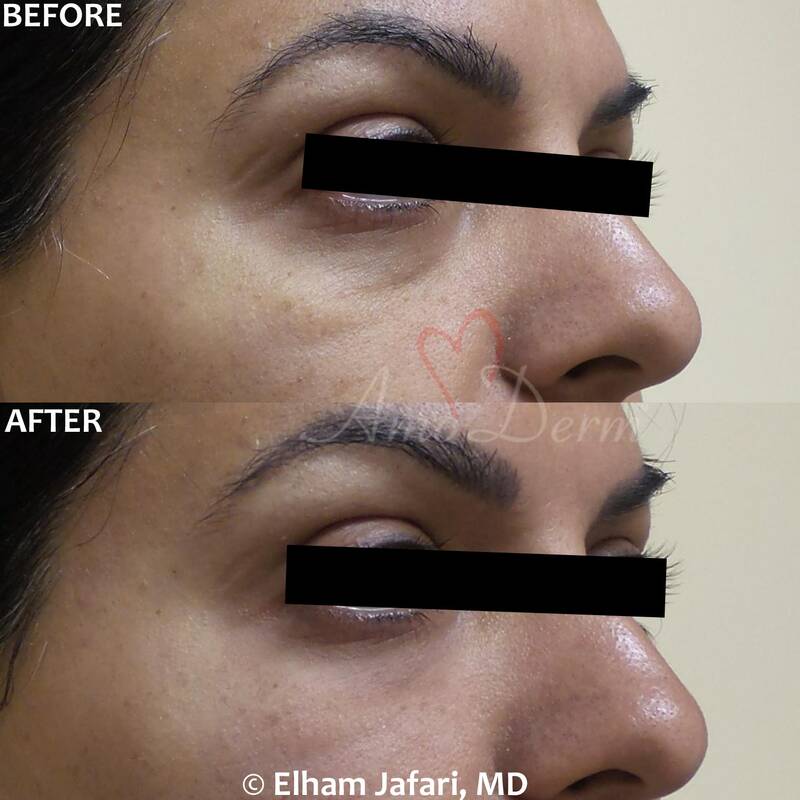 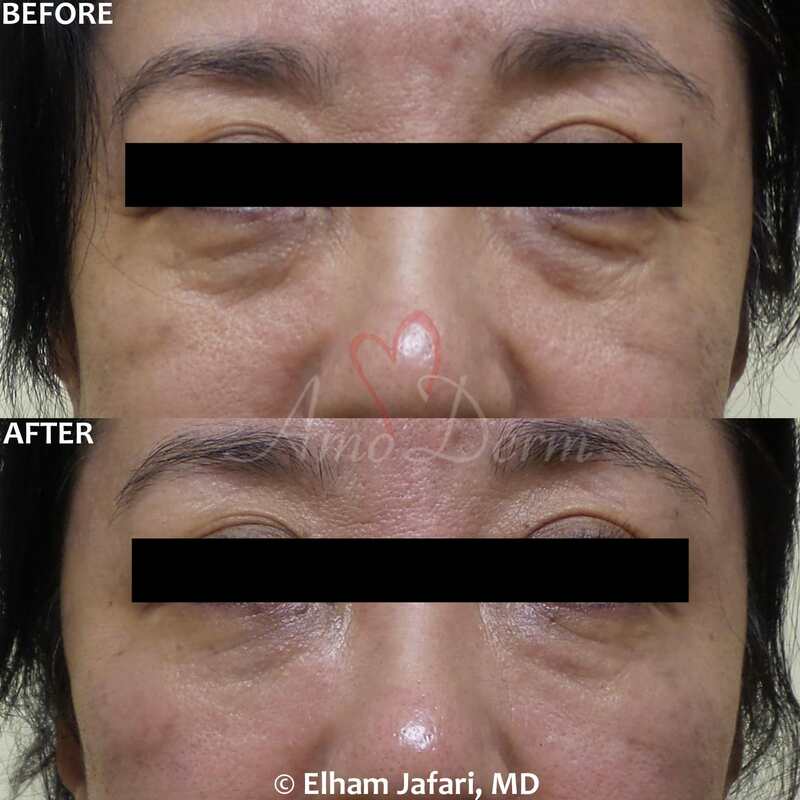 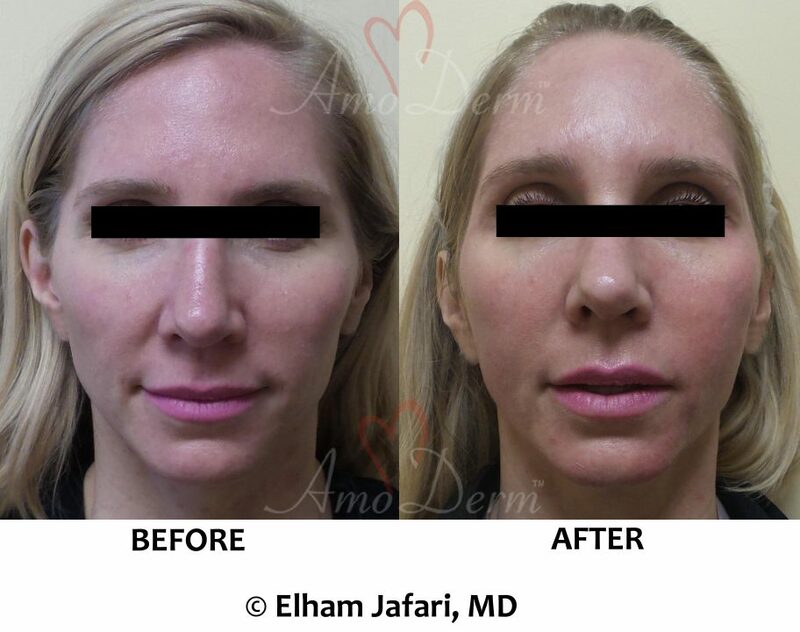 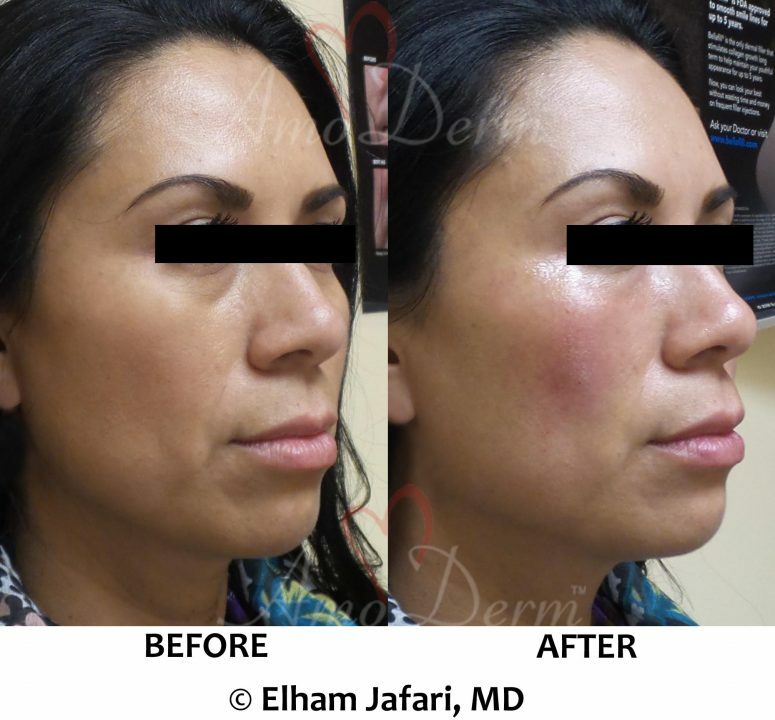 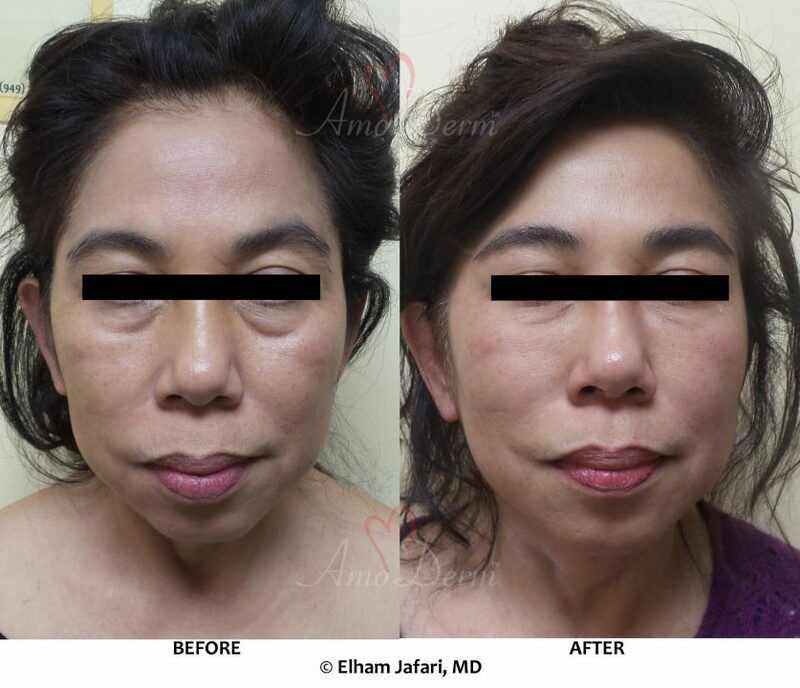 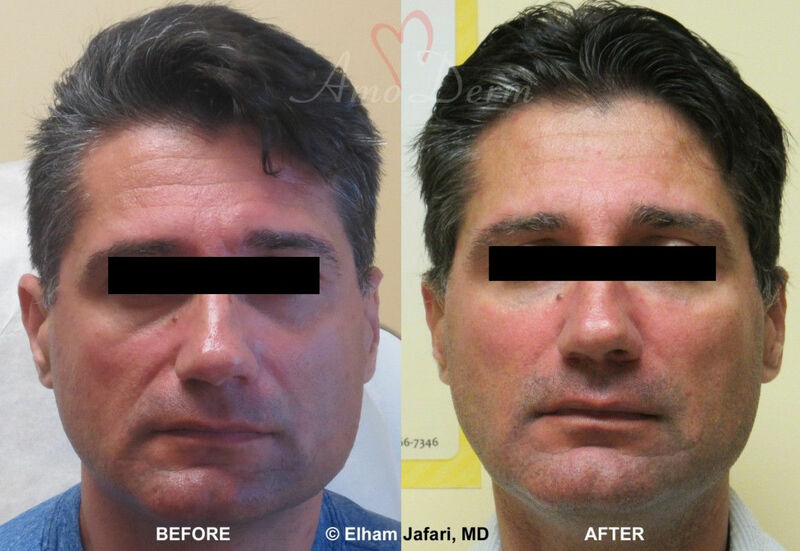 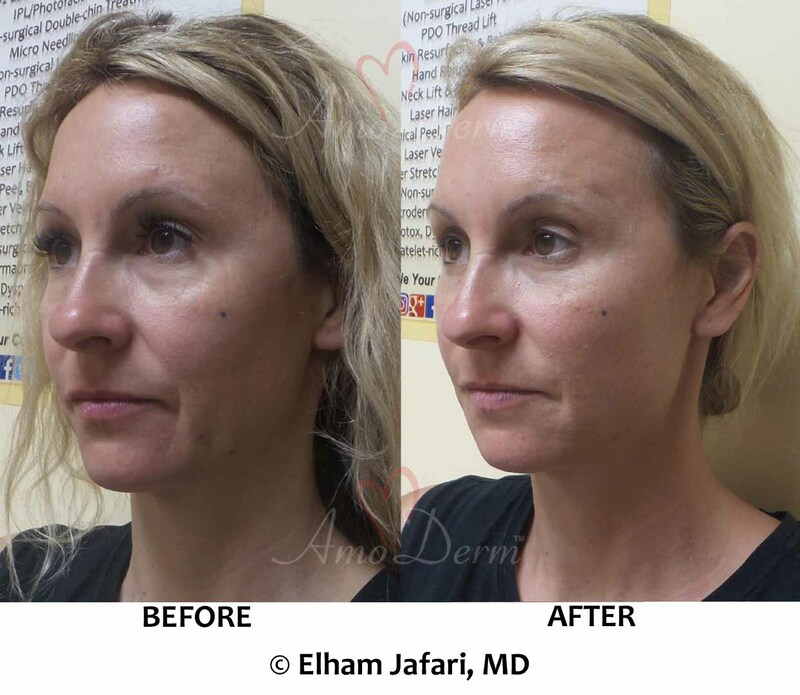 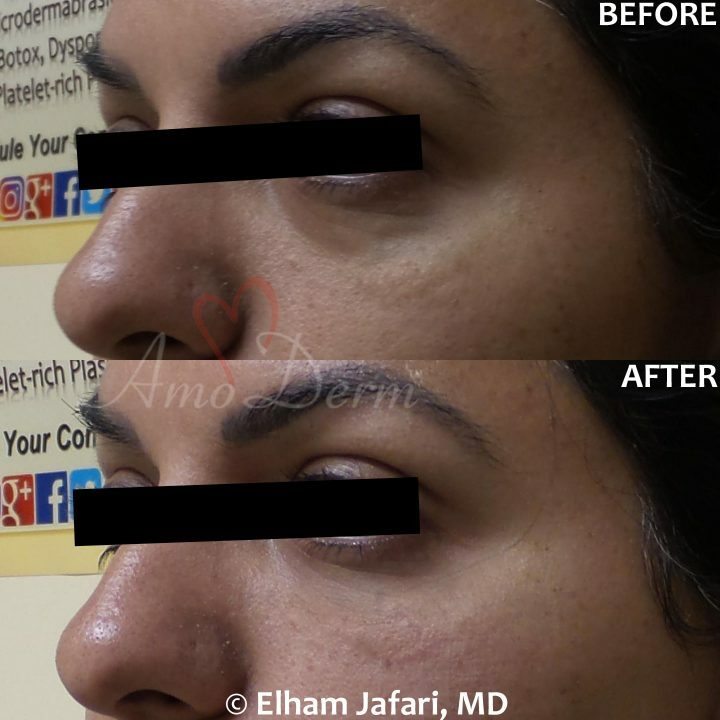 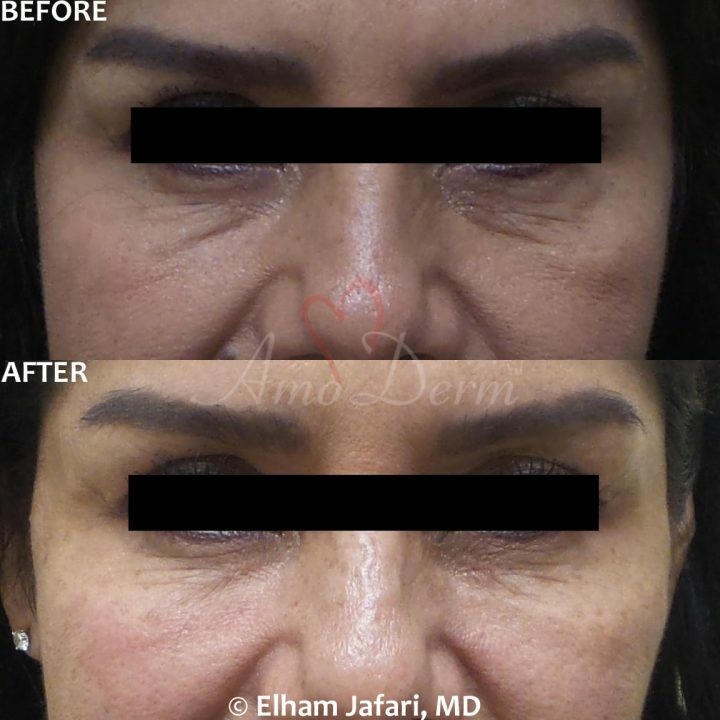 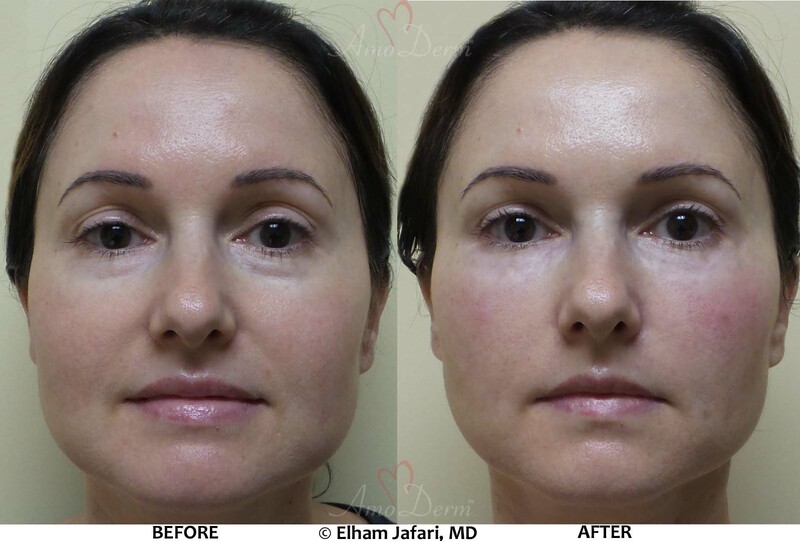 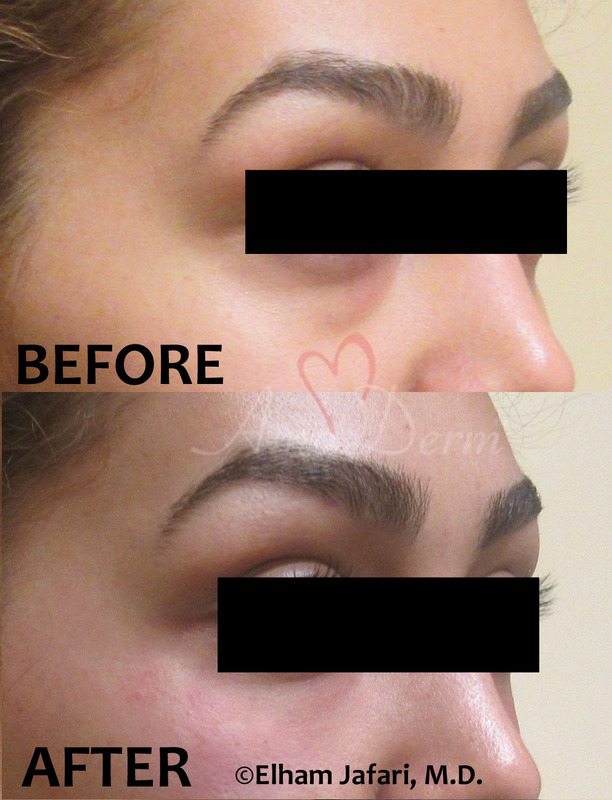 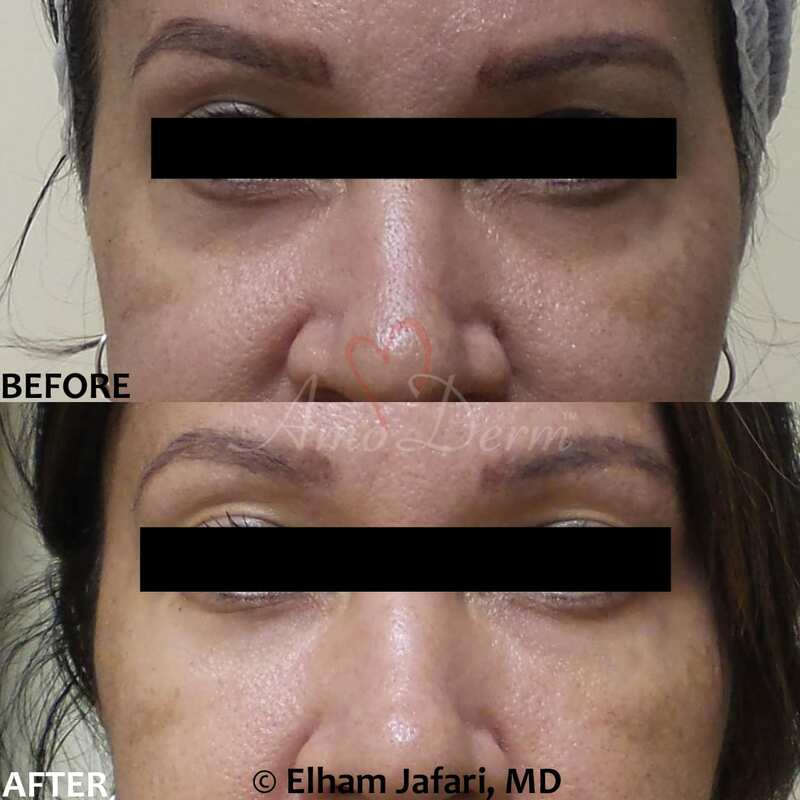 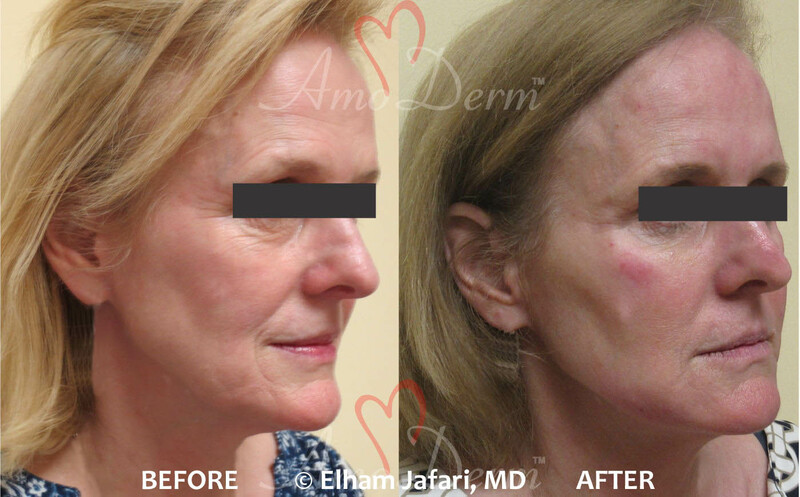 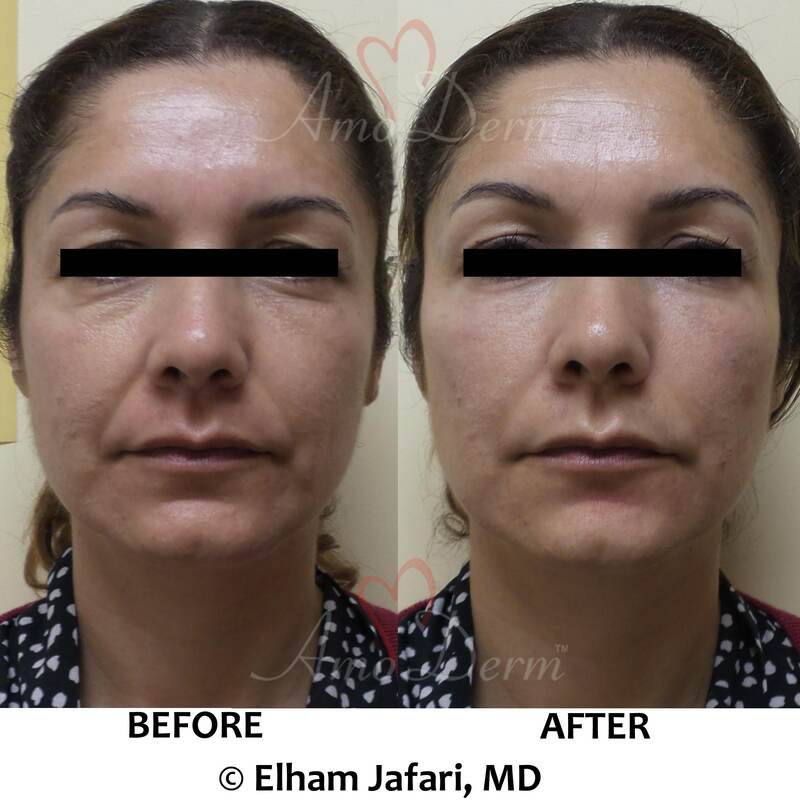 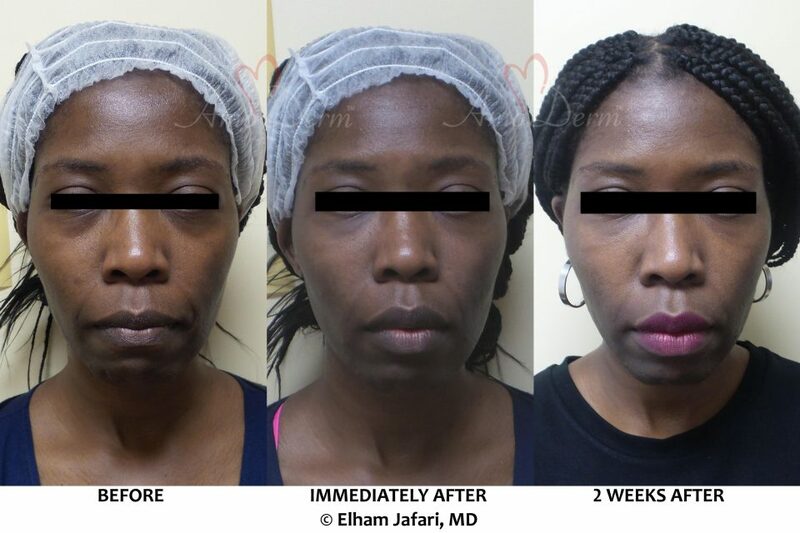 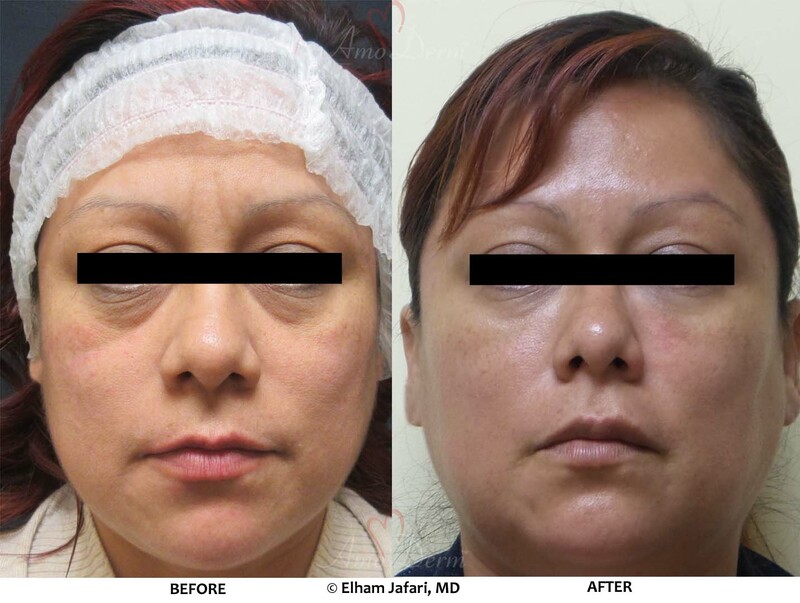 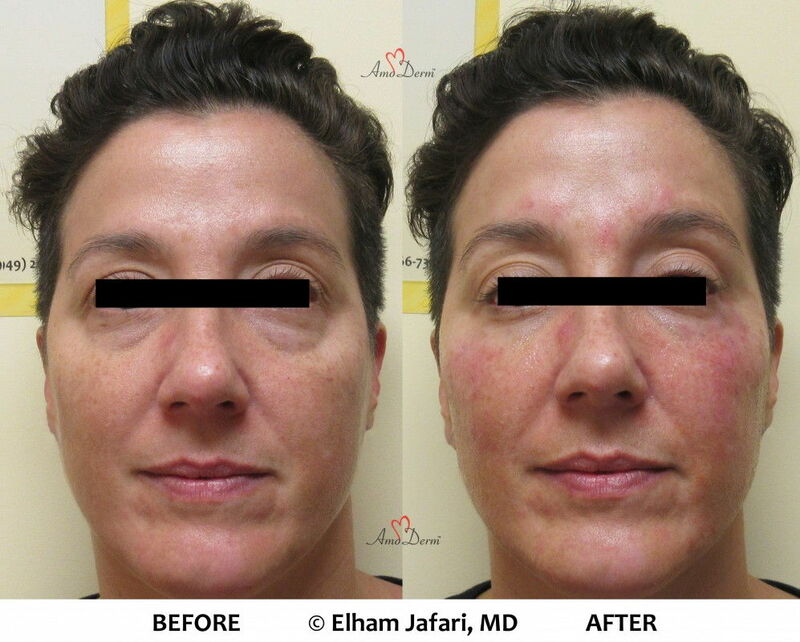 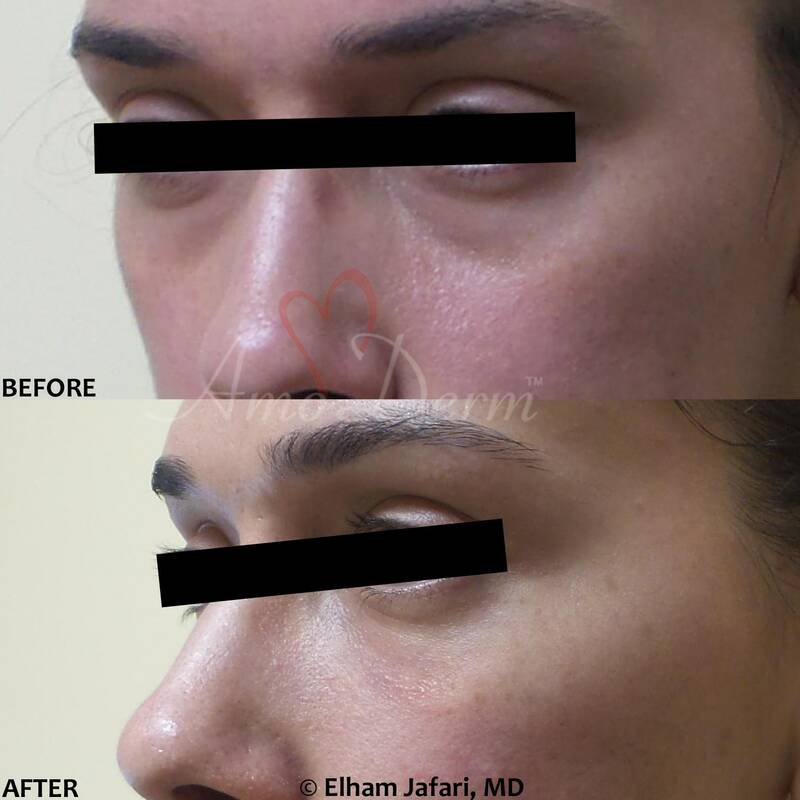 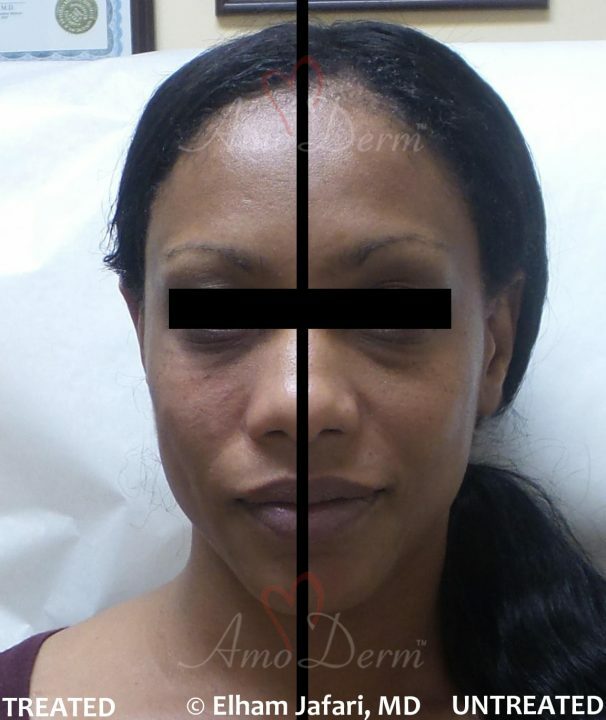 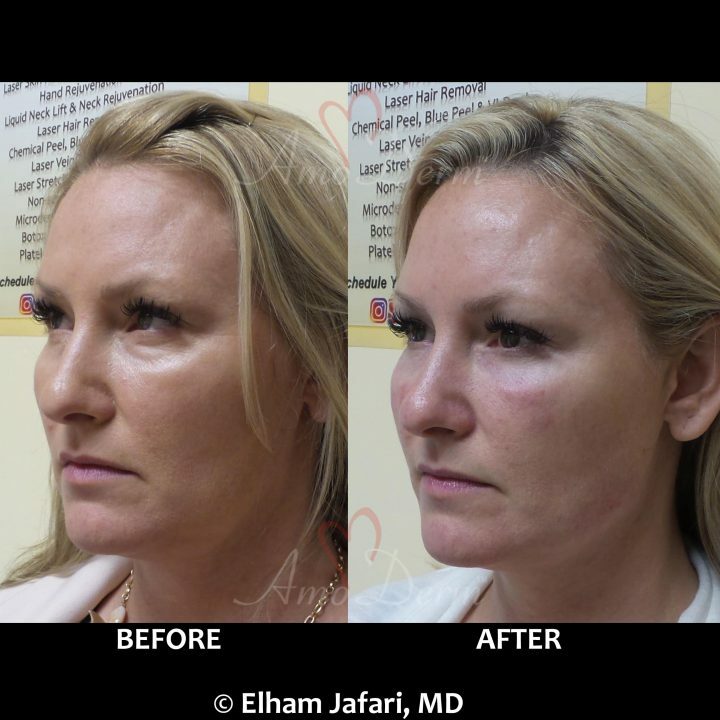 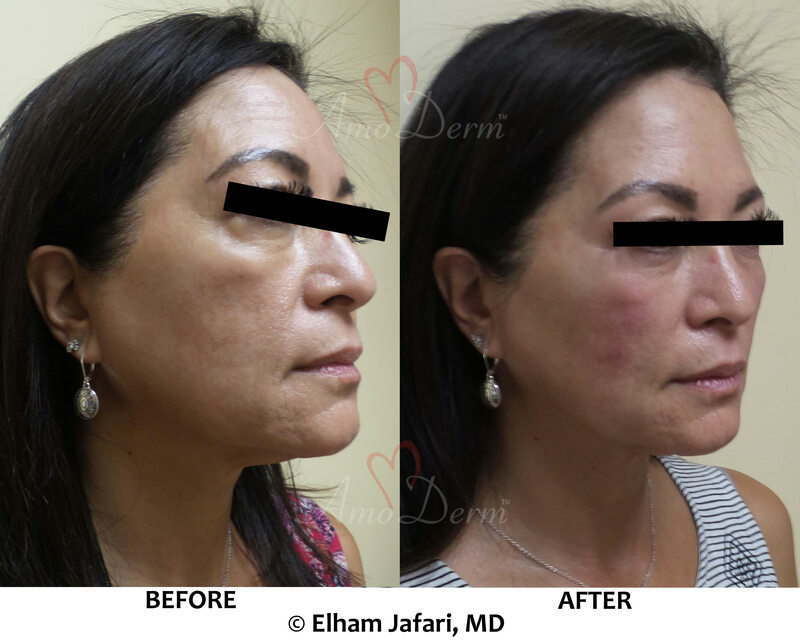 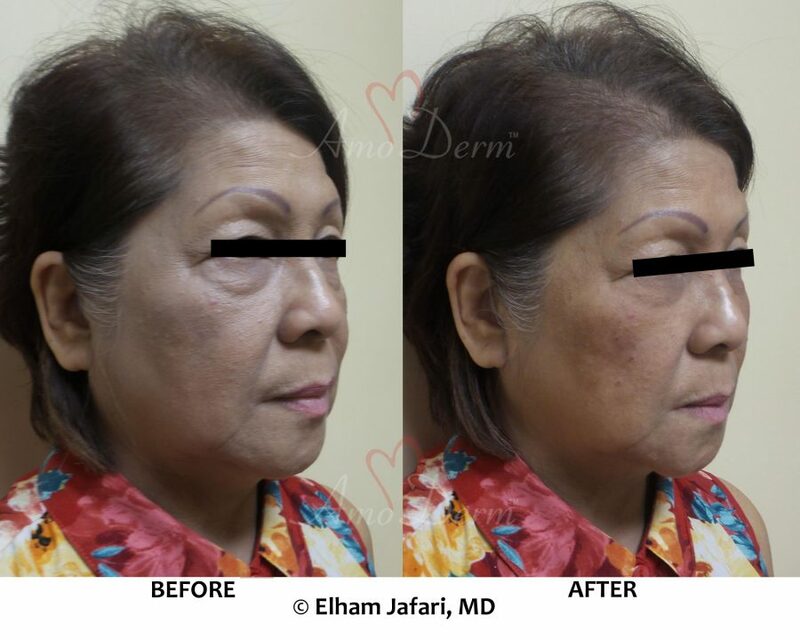 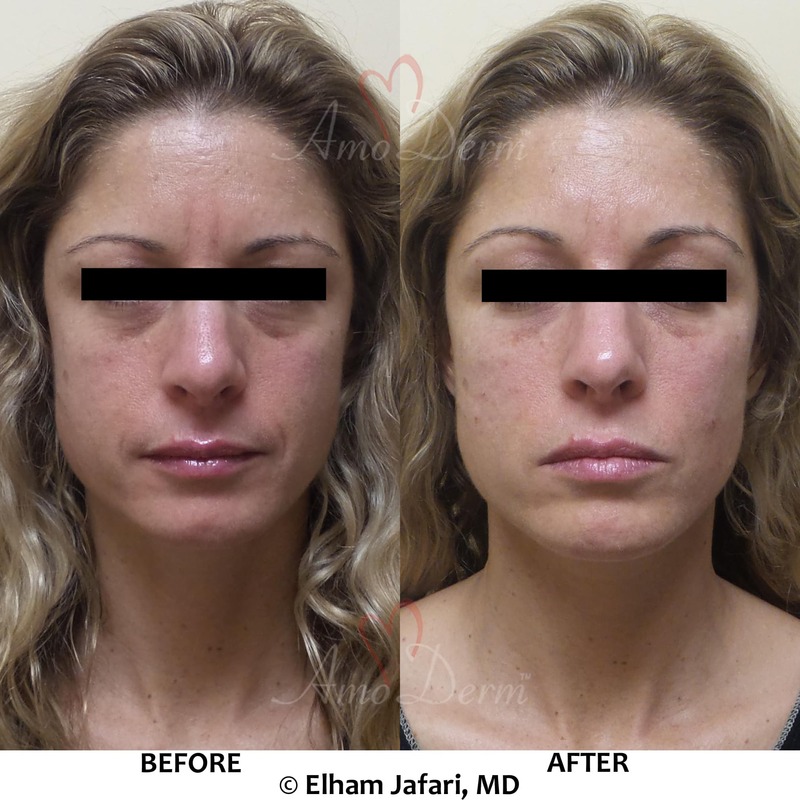 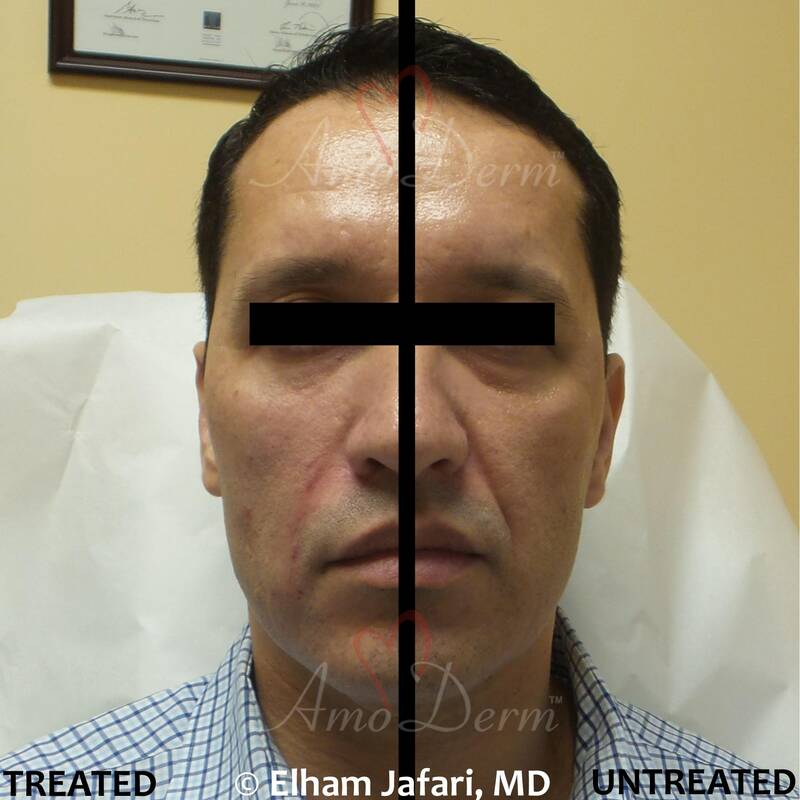 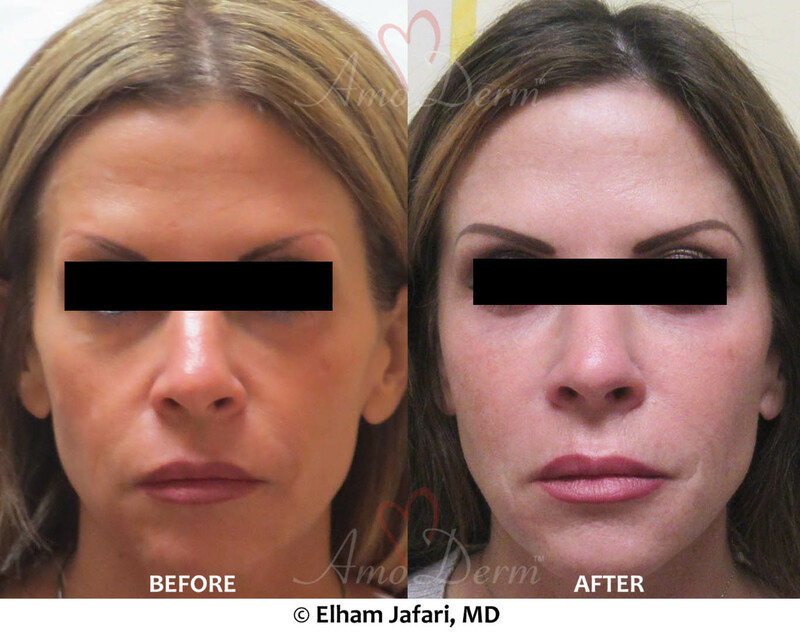 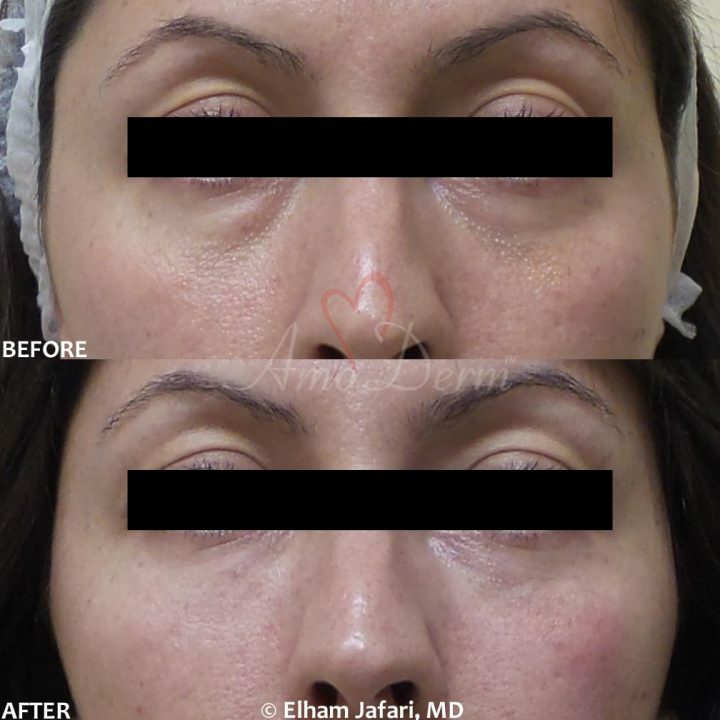 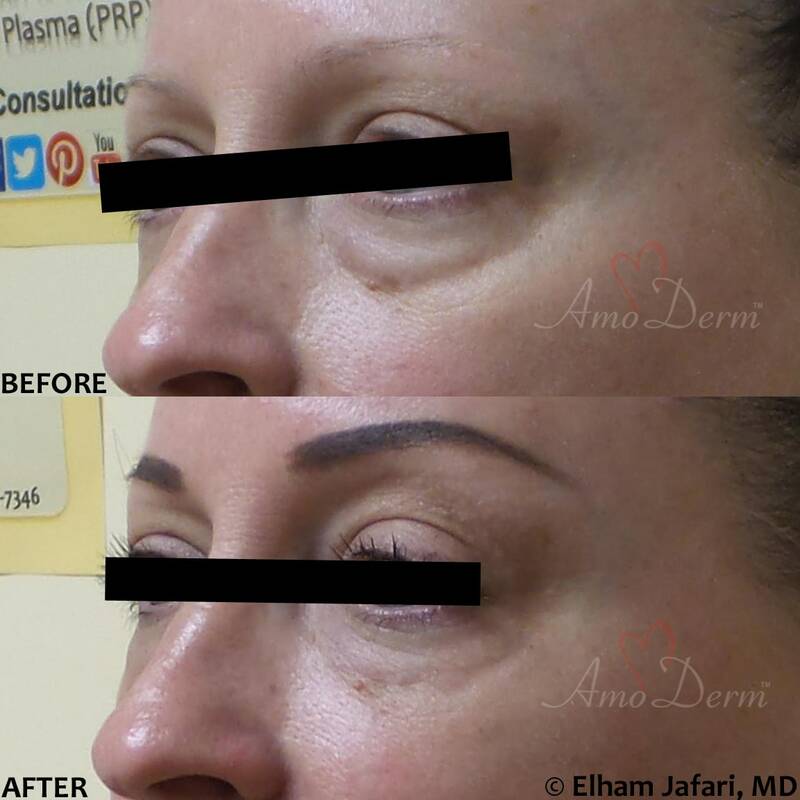 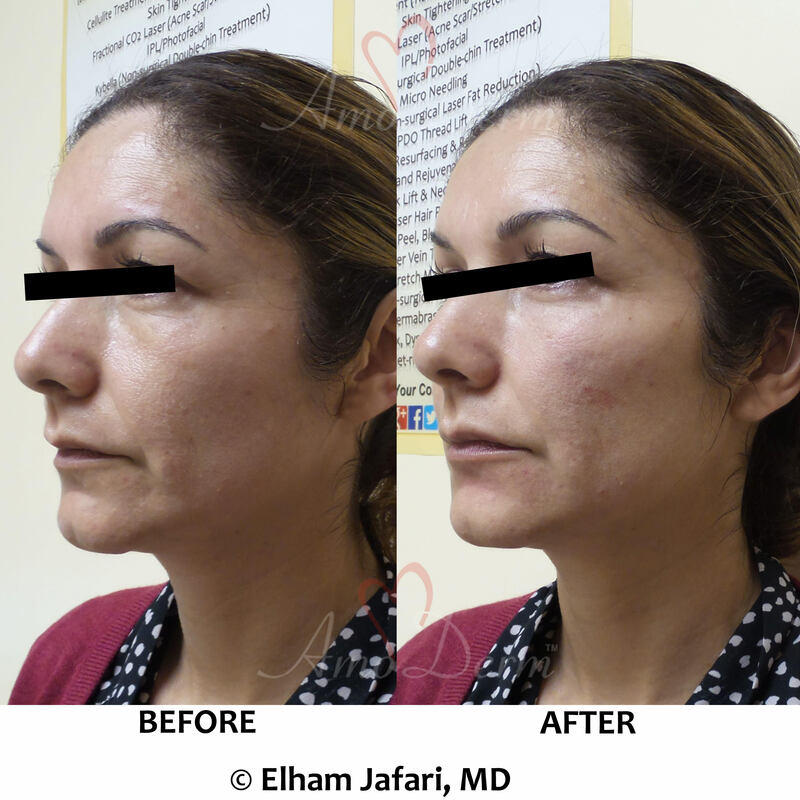 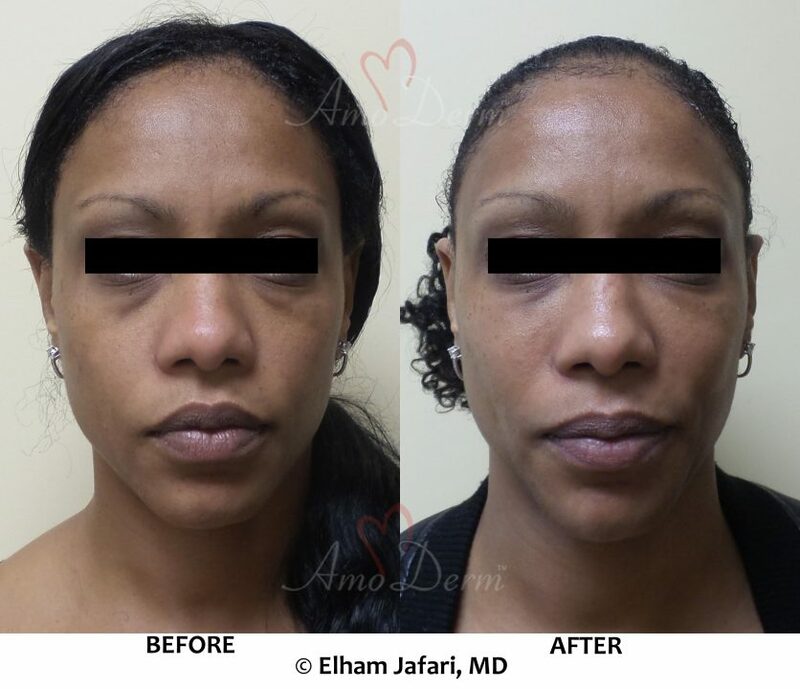 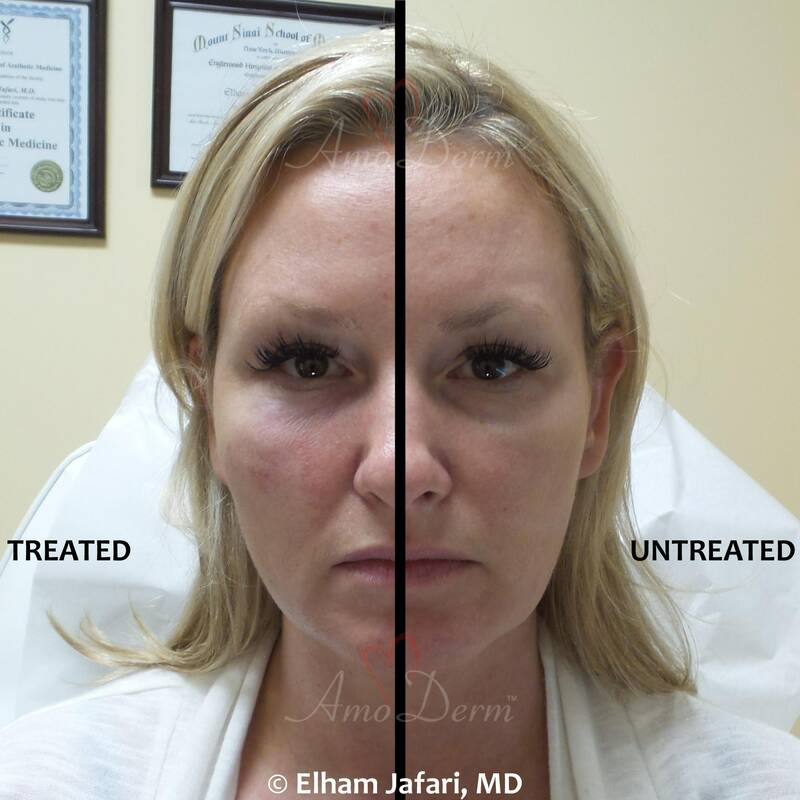 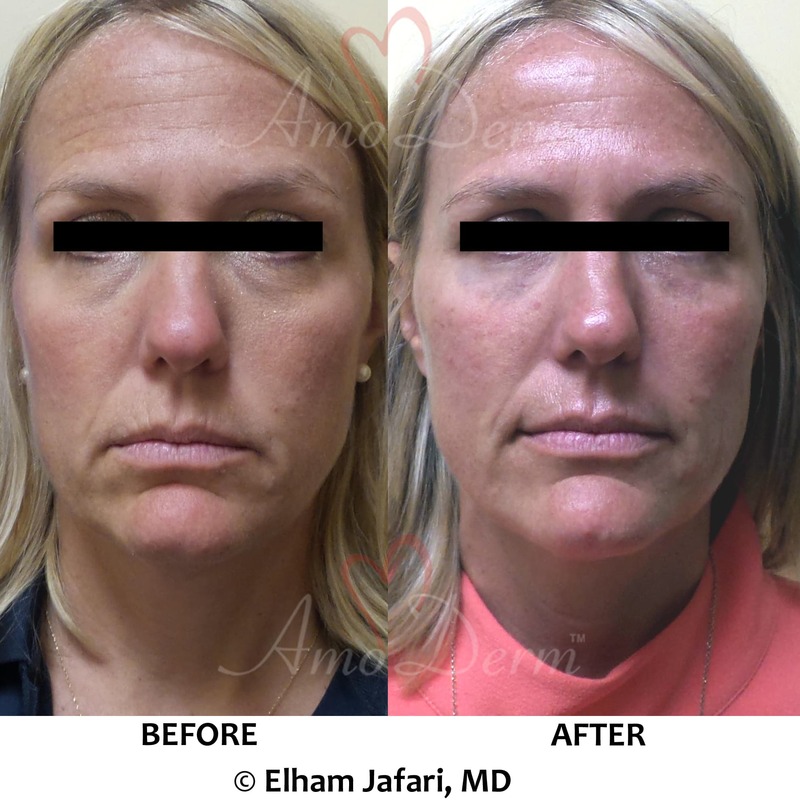 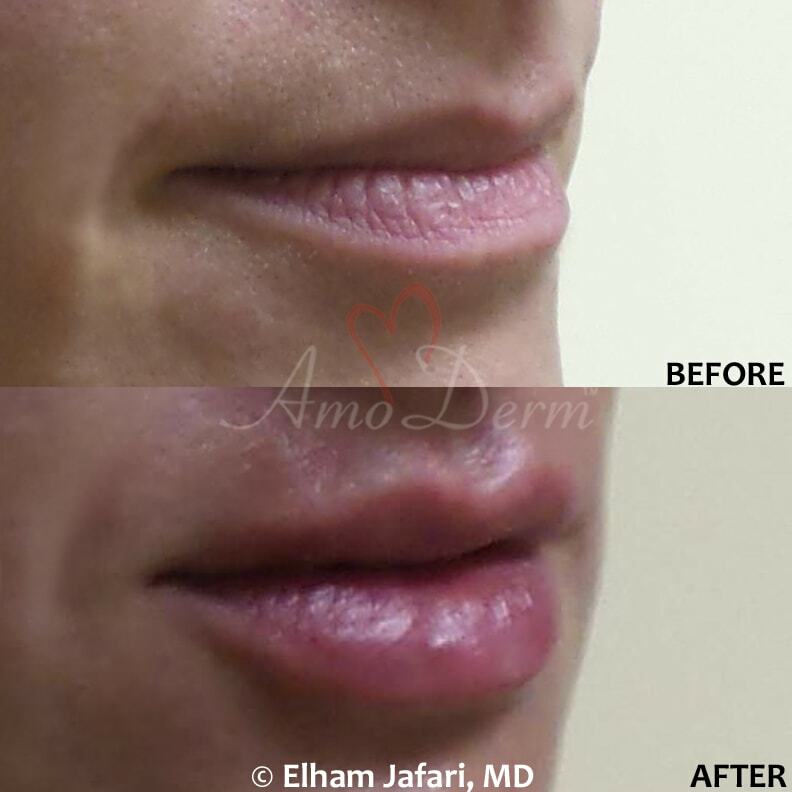 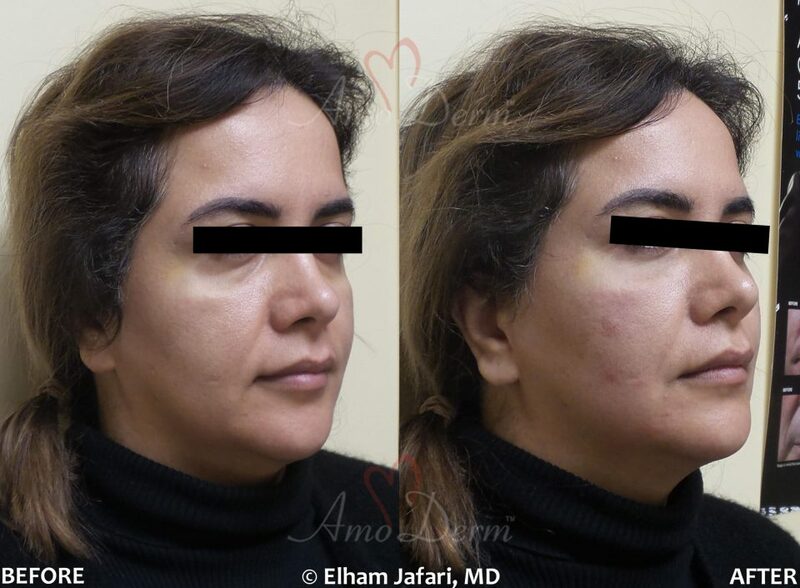 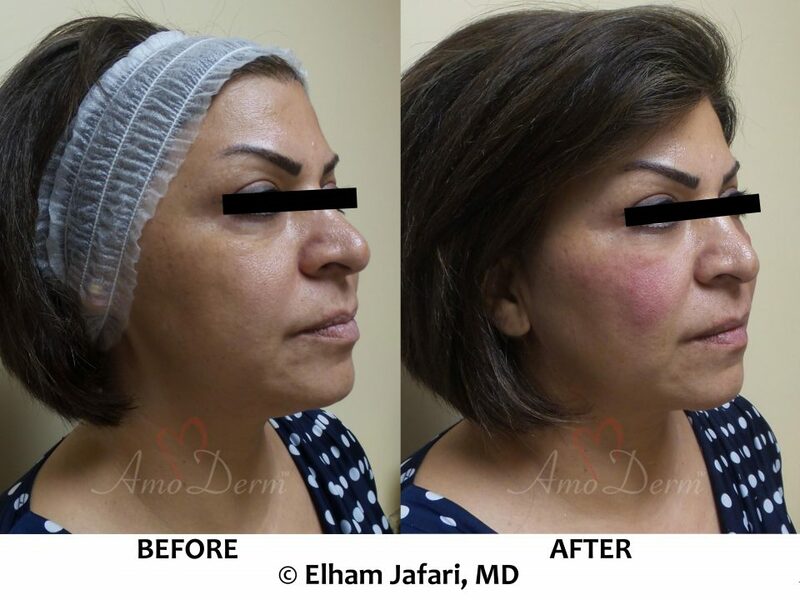 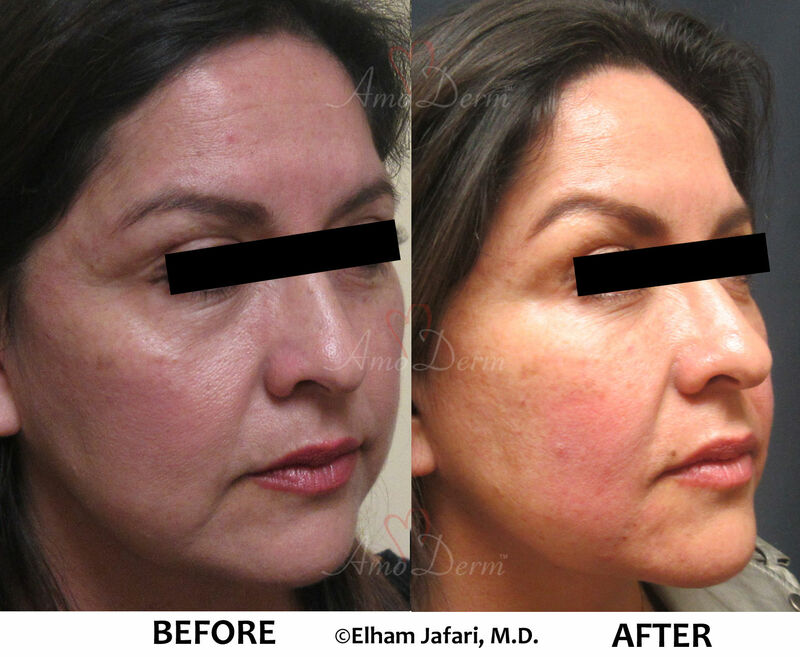 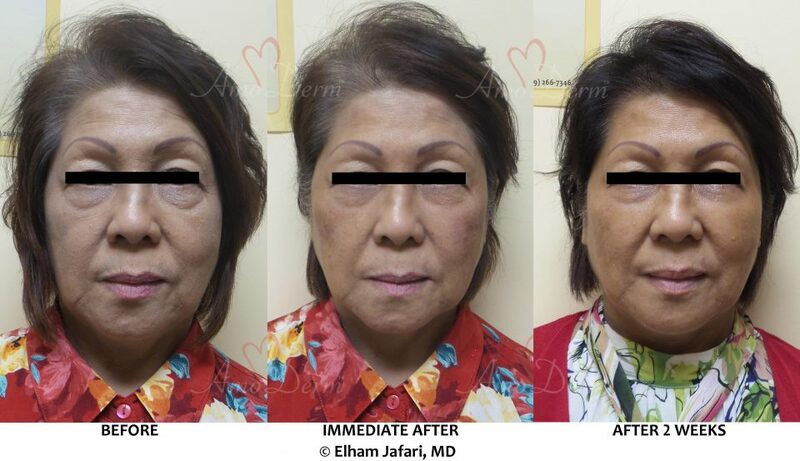 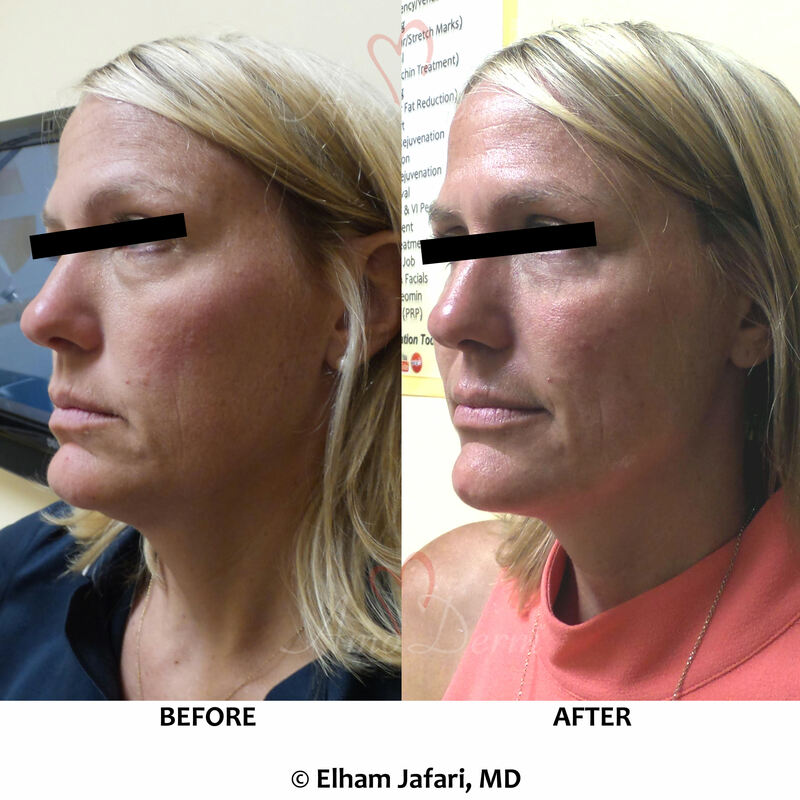 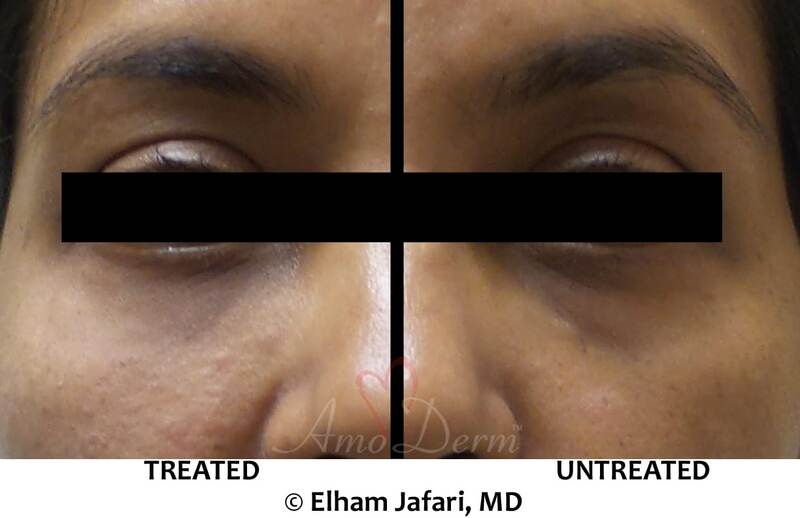 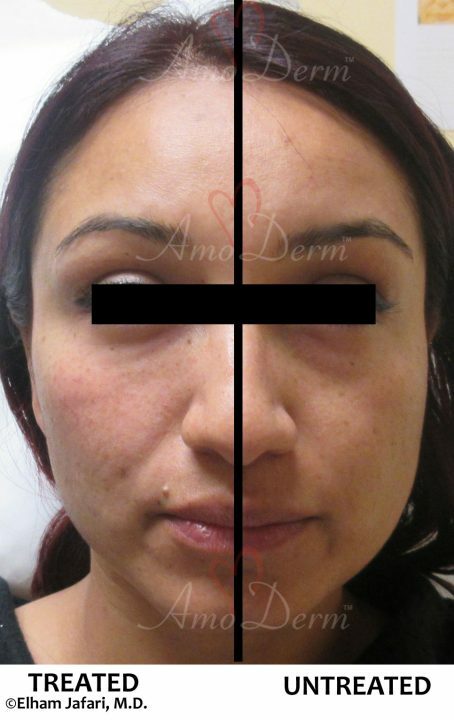 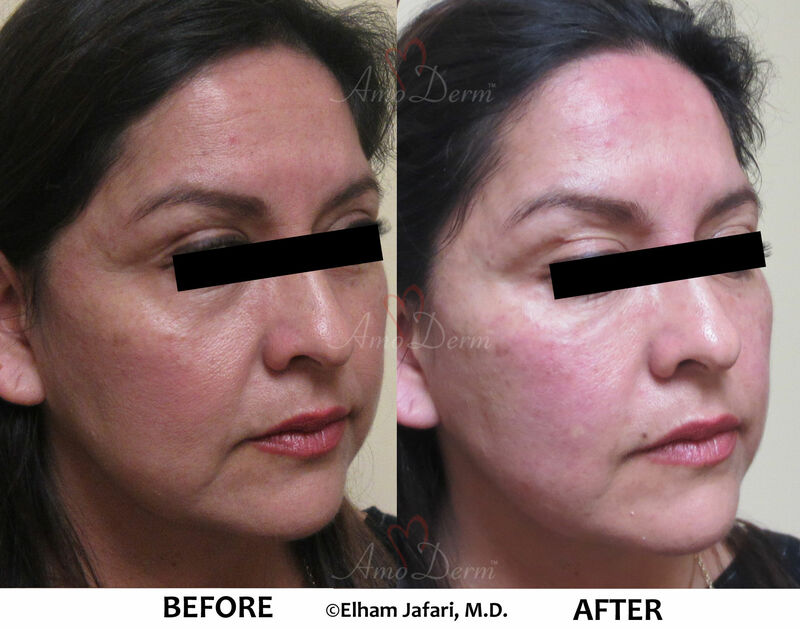 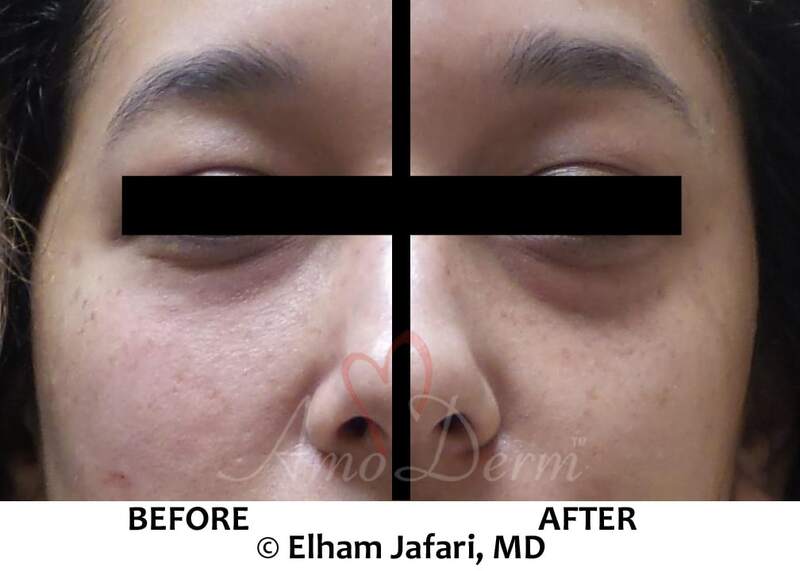 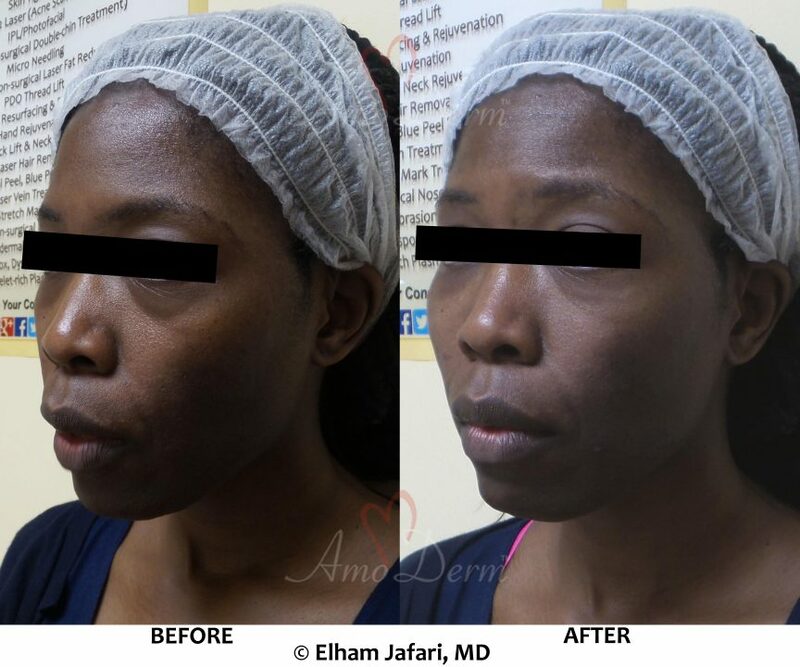 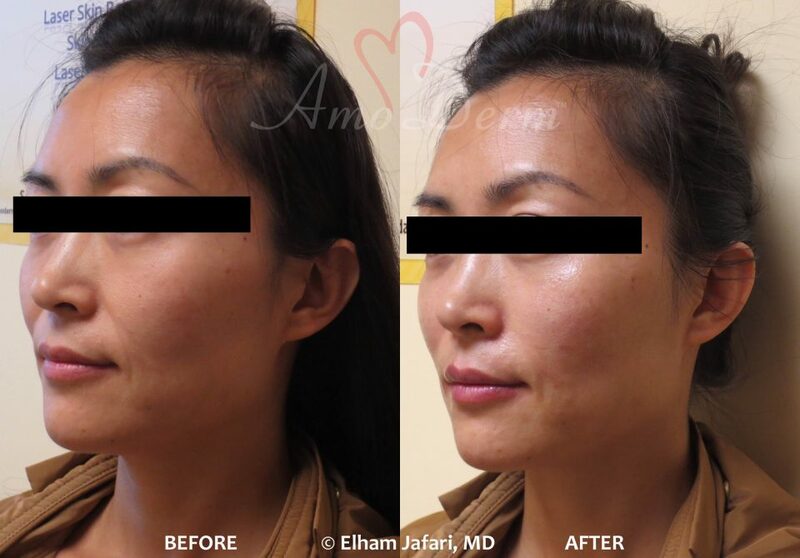 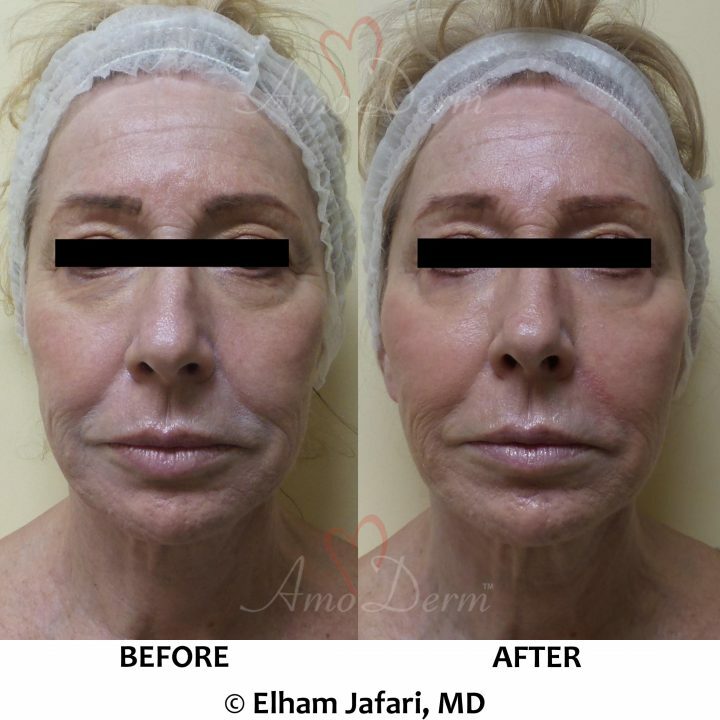 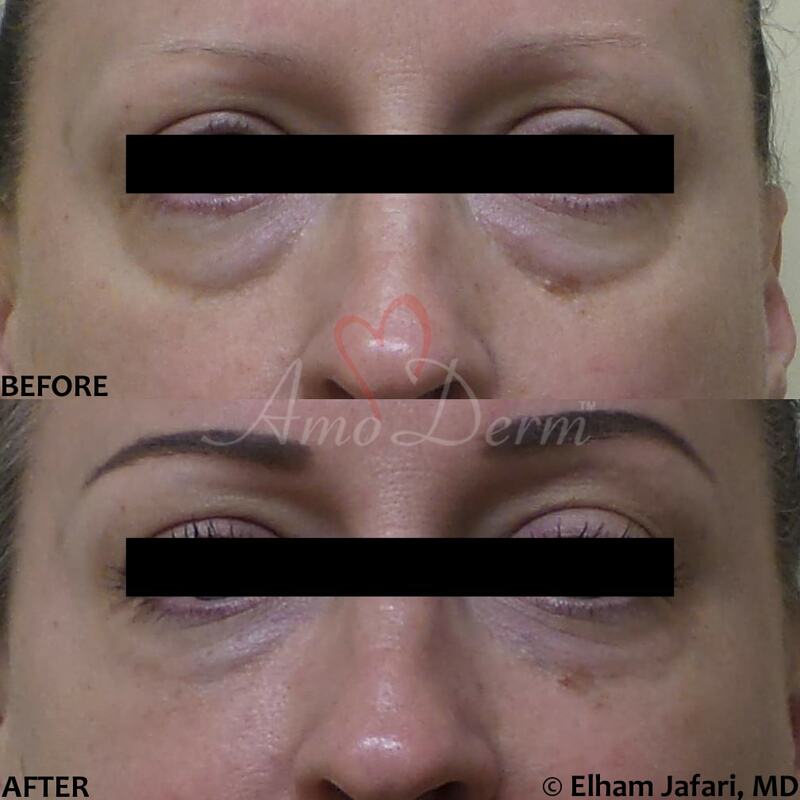 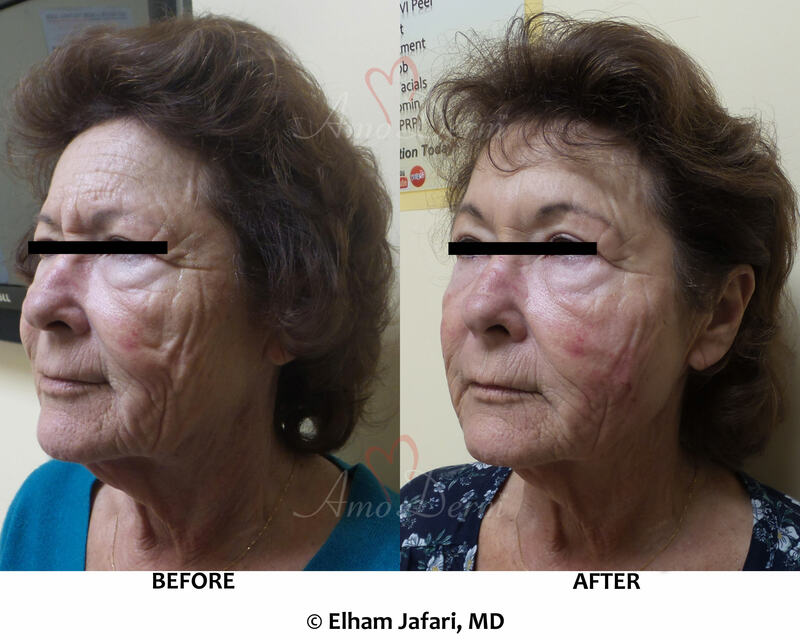 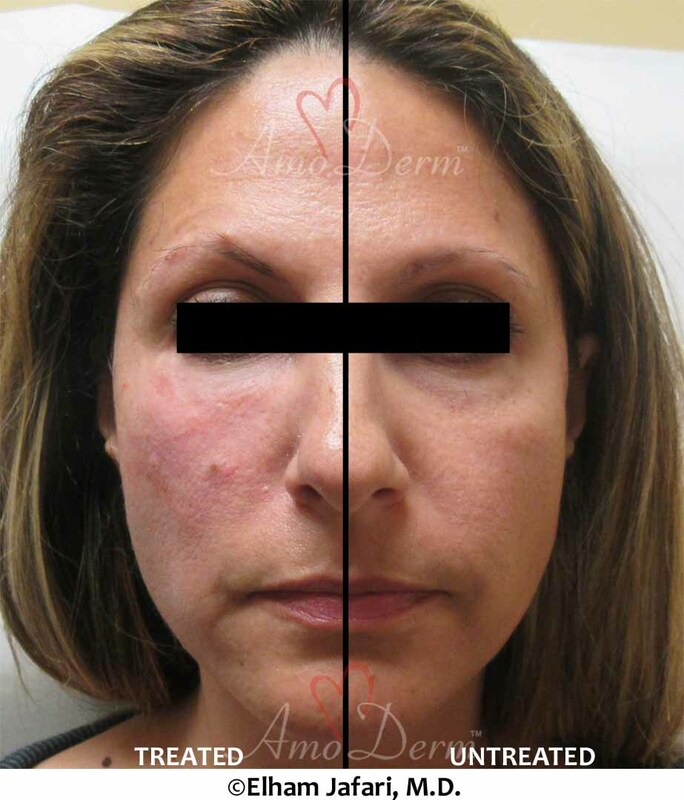 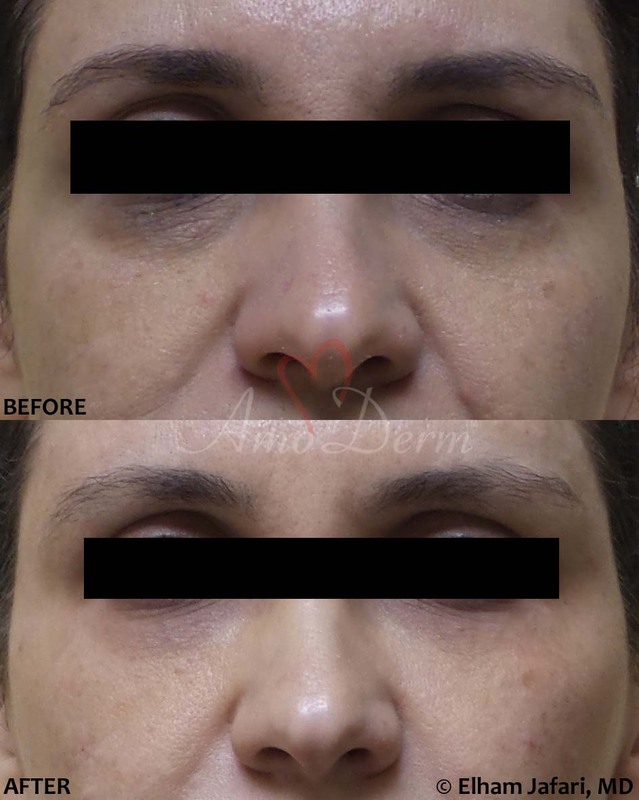 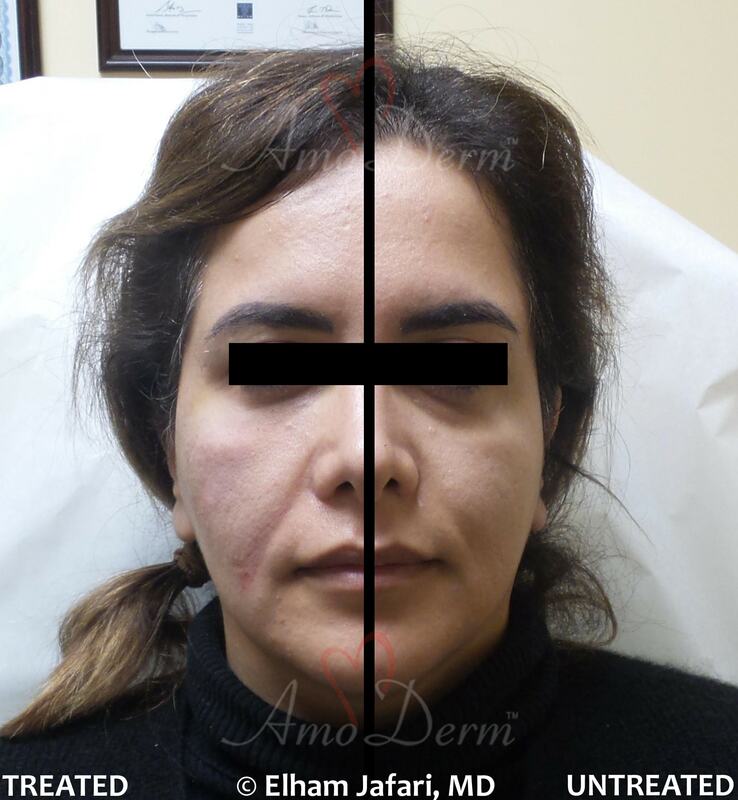 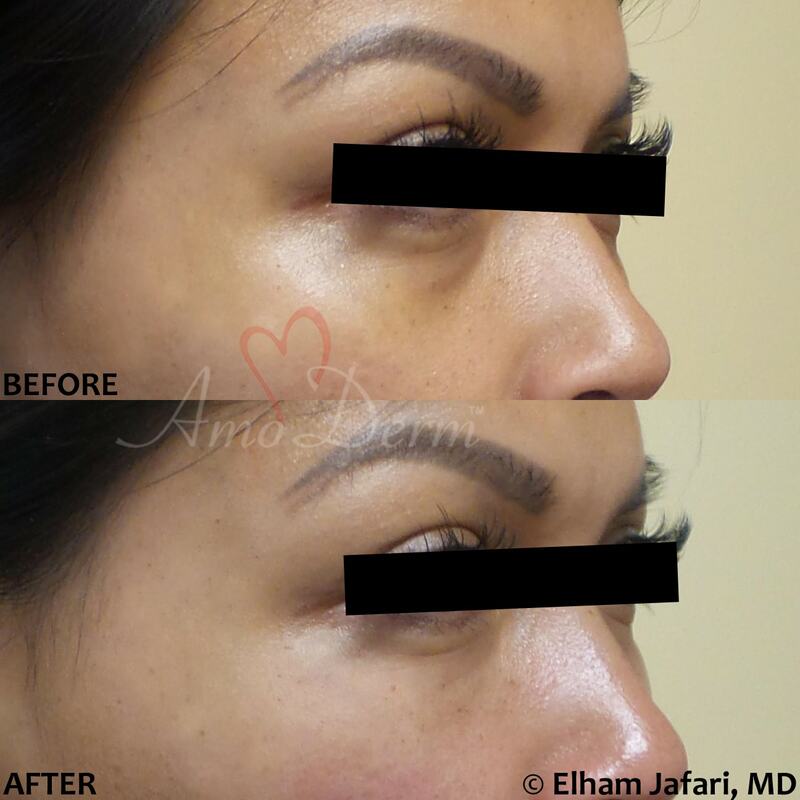 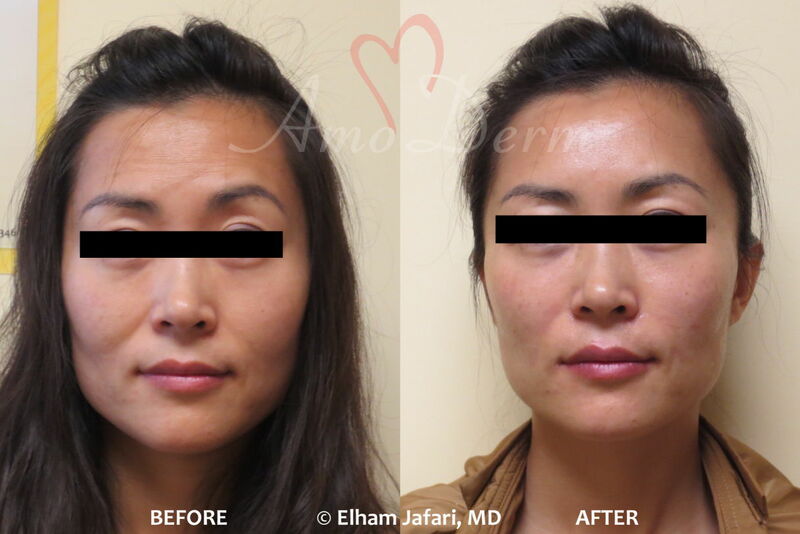 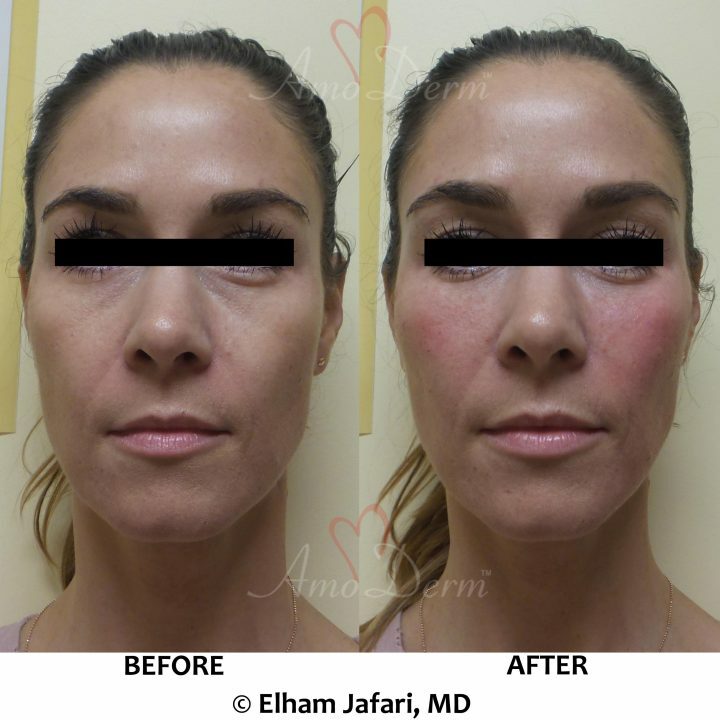 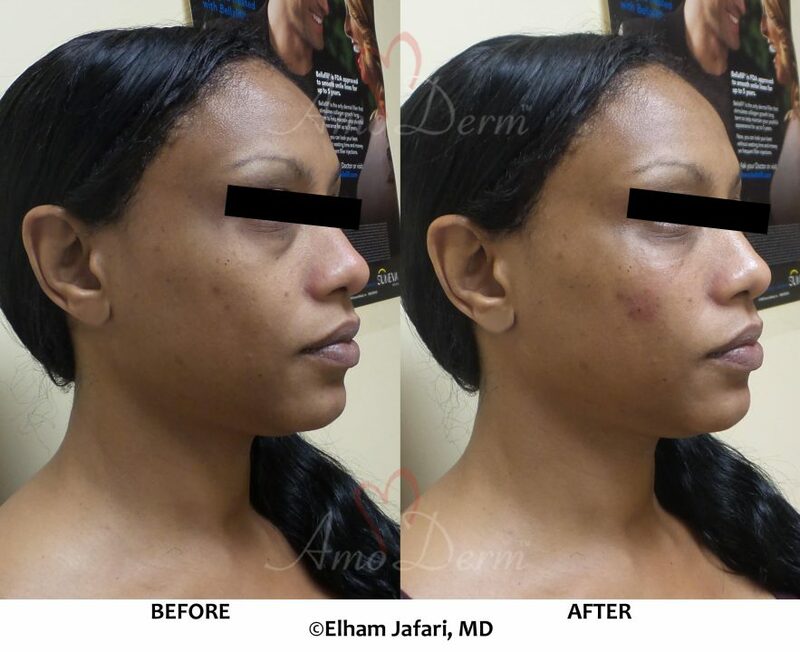 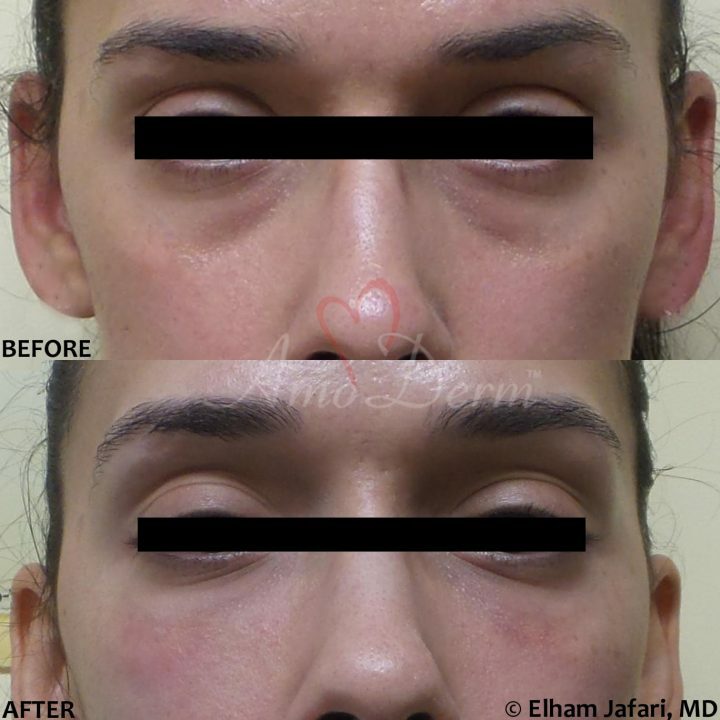 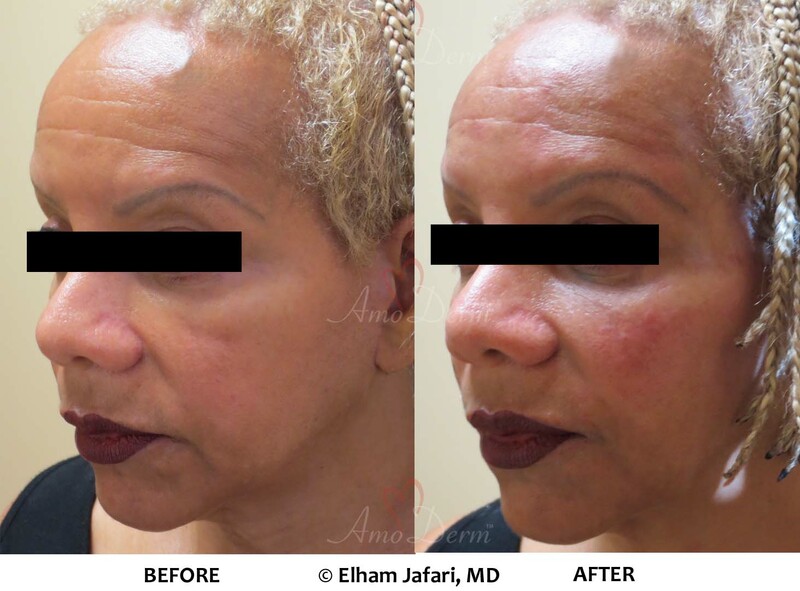 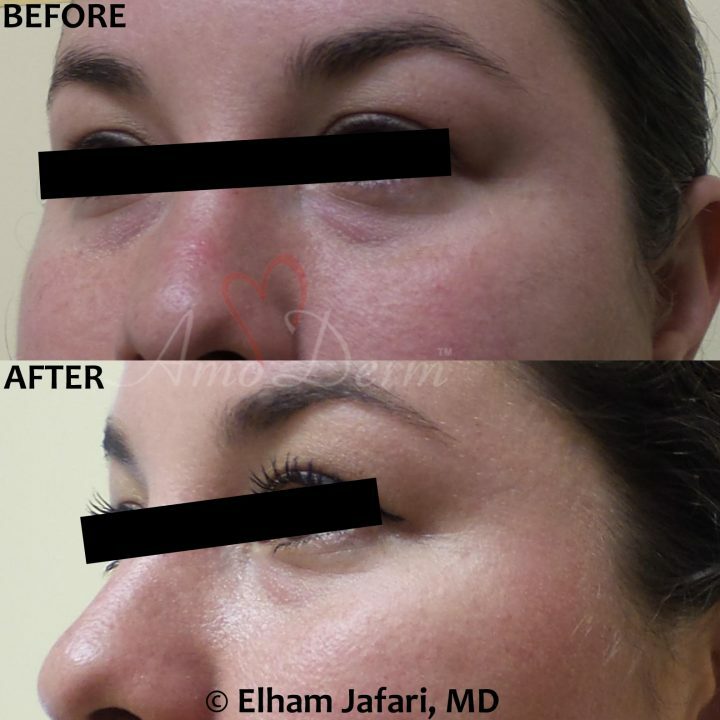 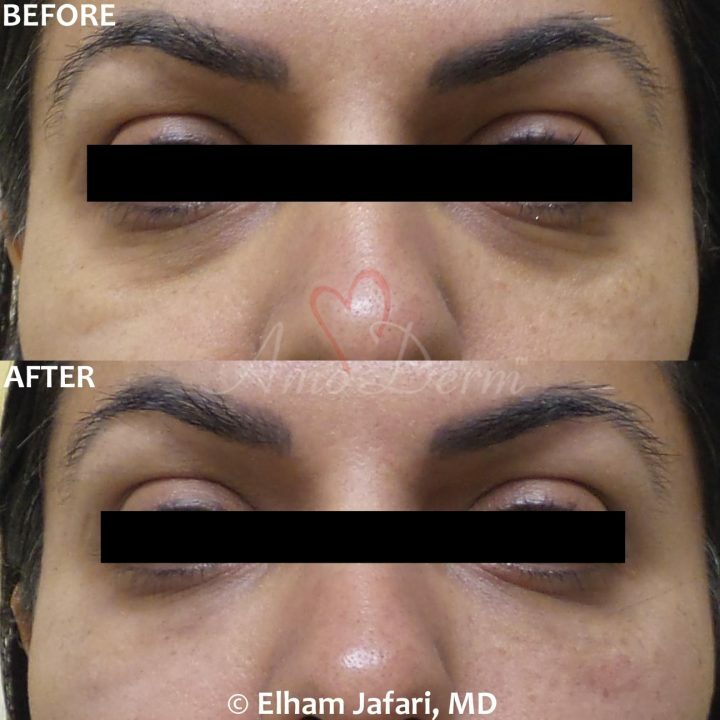 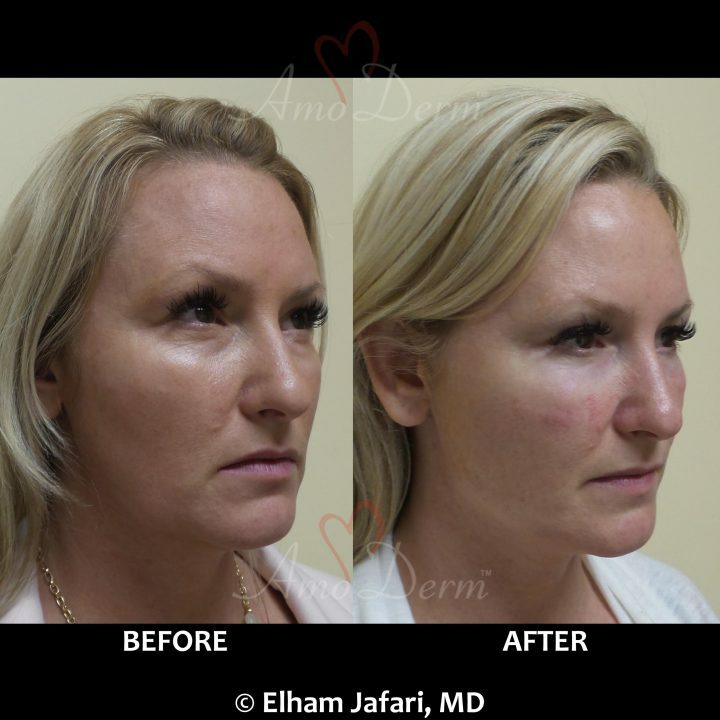 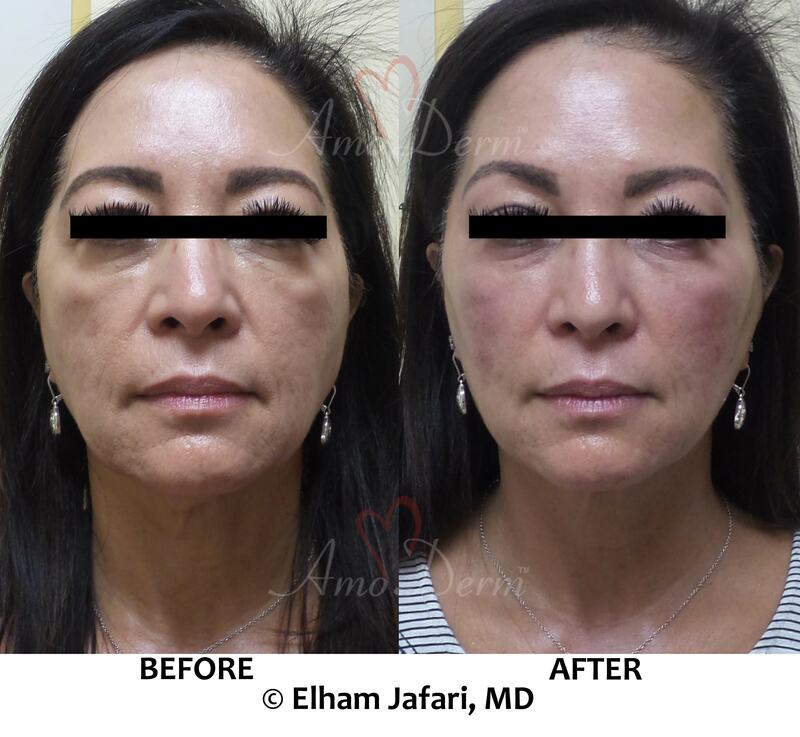 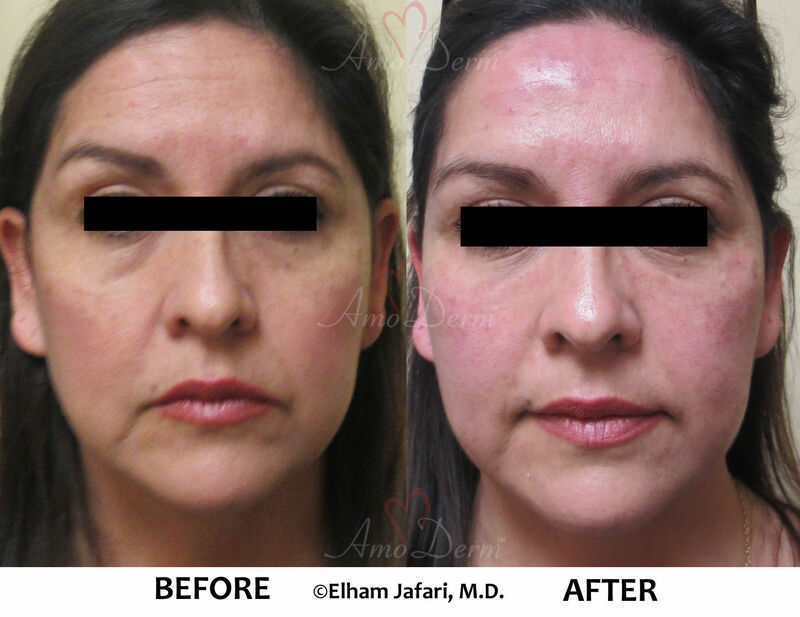 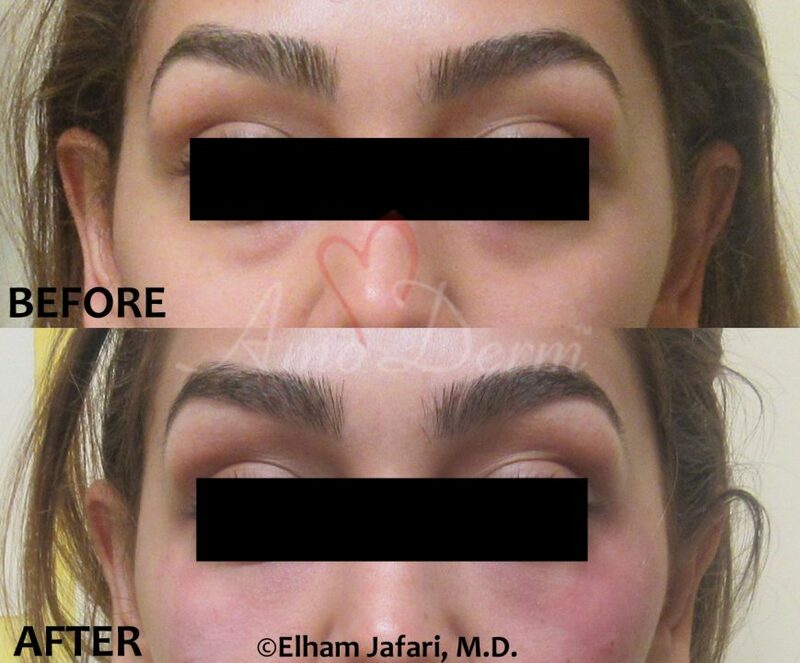 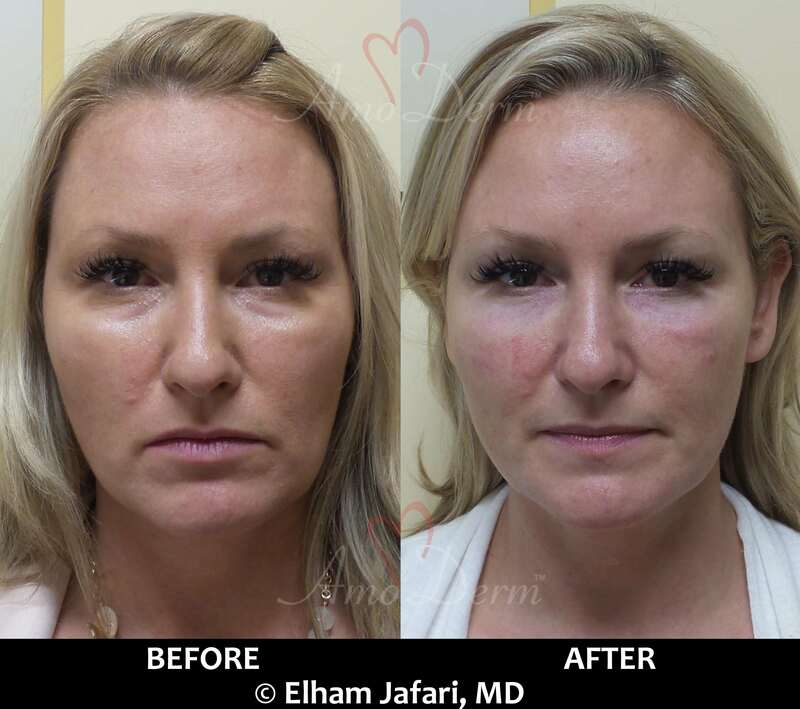 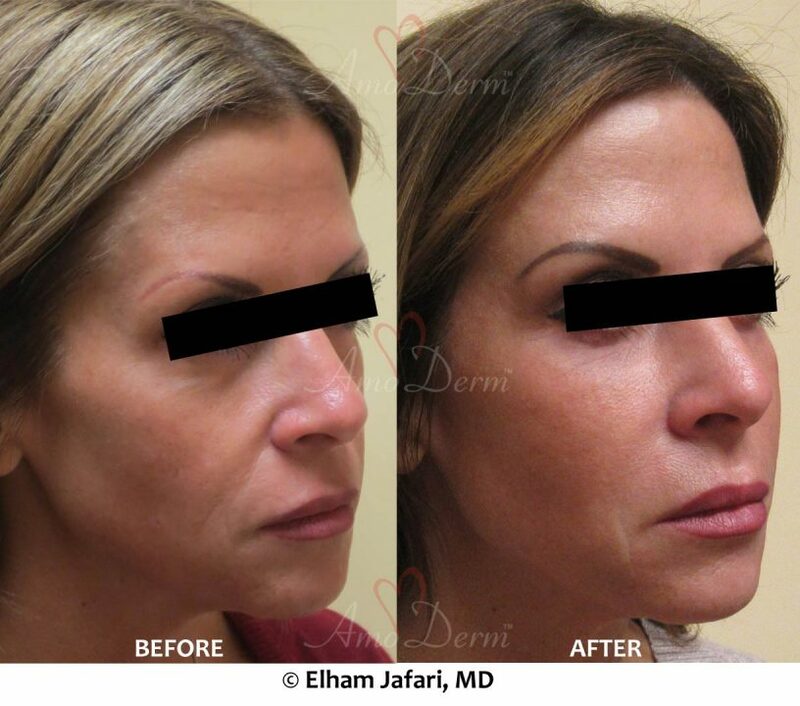 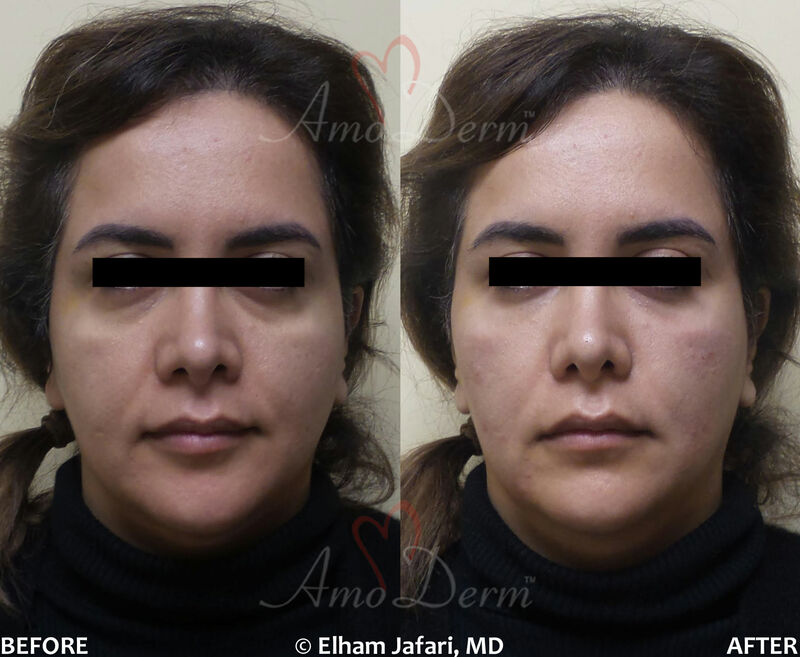 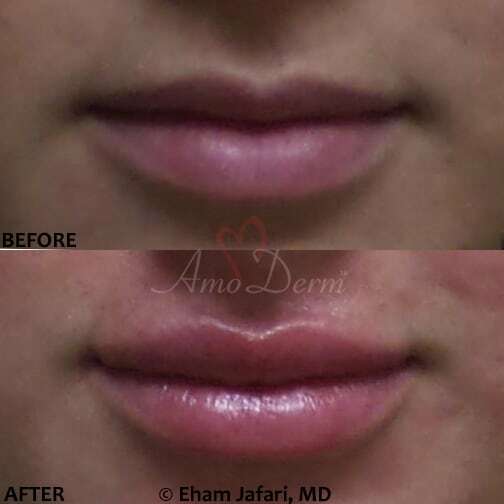 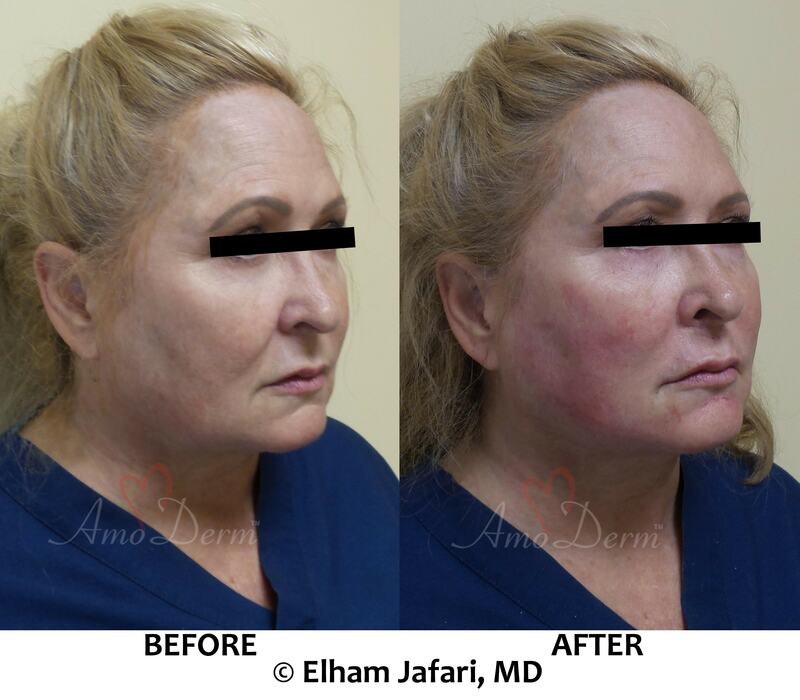 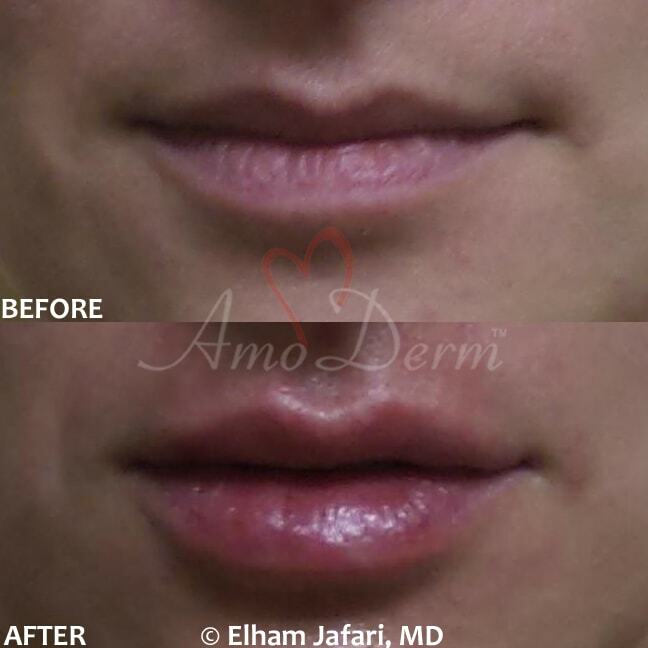 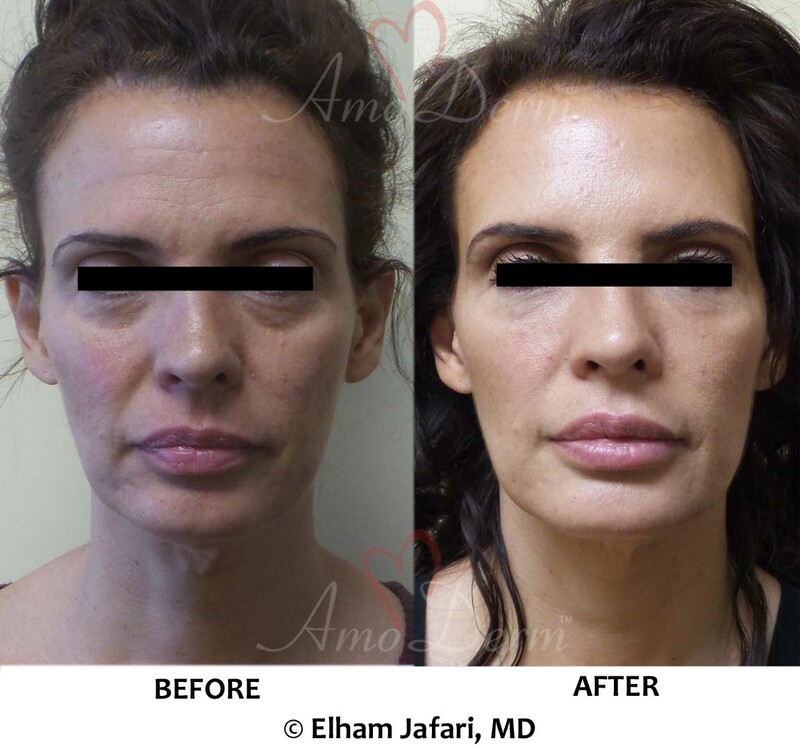 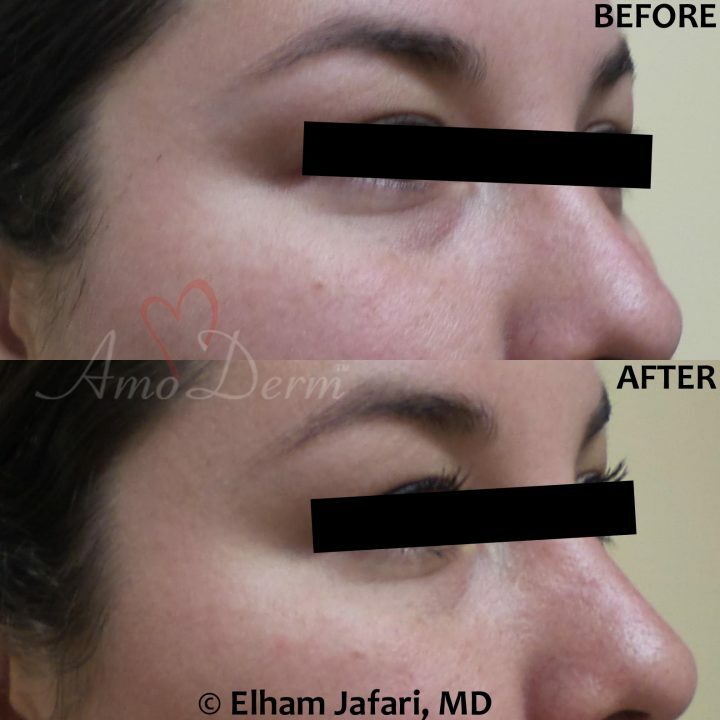 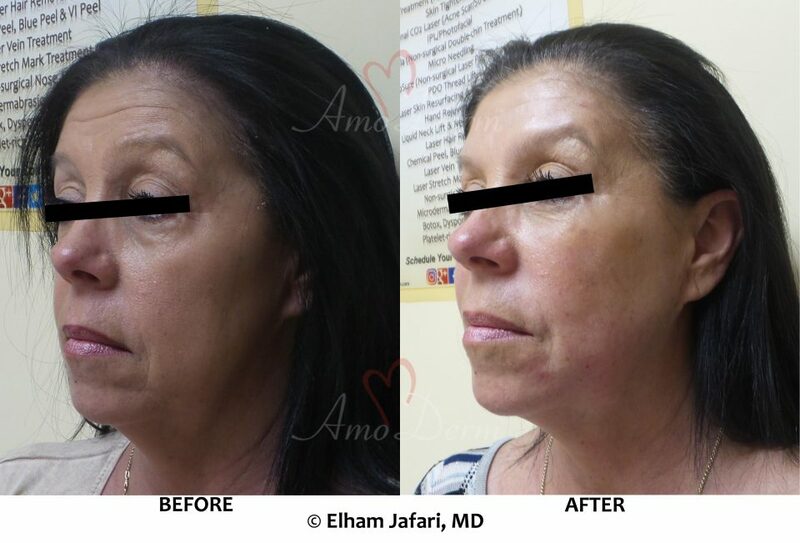 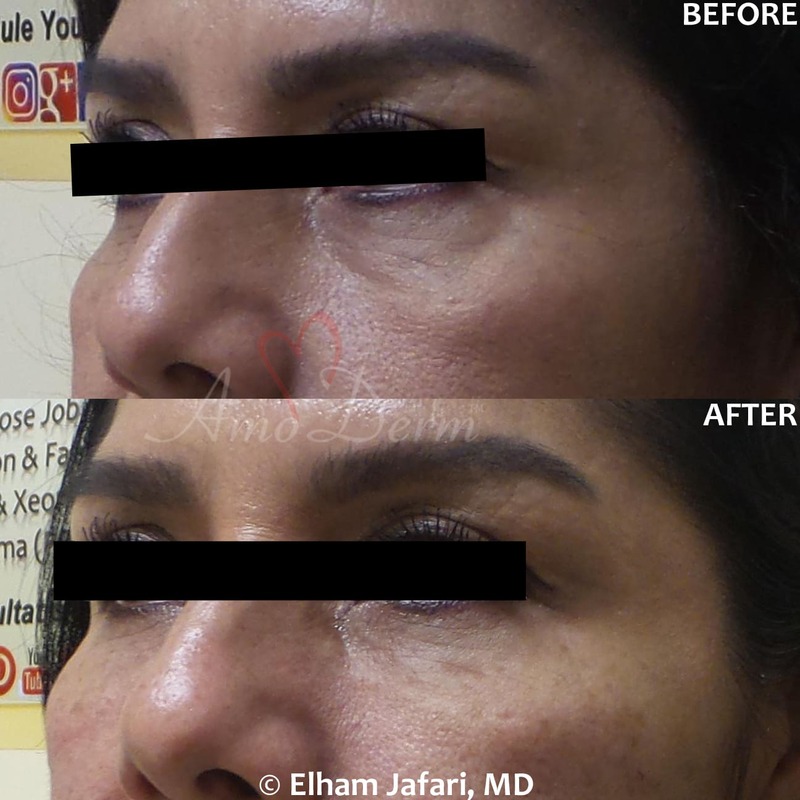 At Amoderm, Dr. Jafari performs cheek filler injections with various fillers including Juvederm Voluma, Radiesse, Restylane Lyft, Bellafill and Sculptra and whenever indicated, the injection is done with flexible micro-cannula for better results. 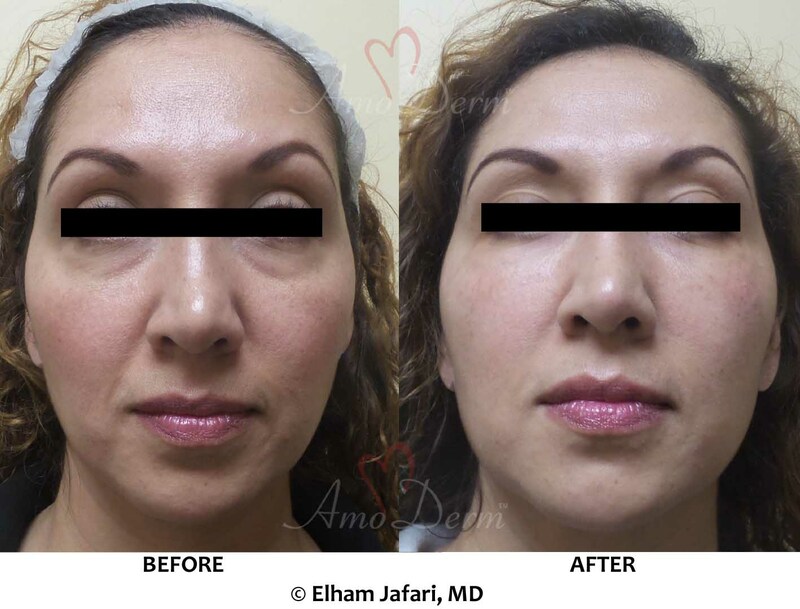 Some patients might also be candidate for PDO Thread Lift procedure to aid in lifting the cheeks and correcting sunken and collapsed cheeks. 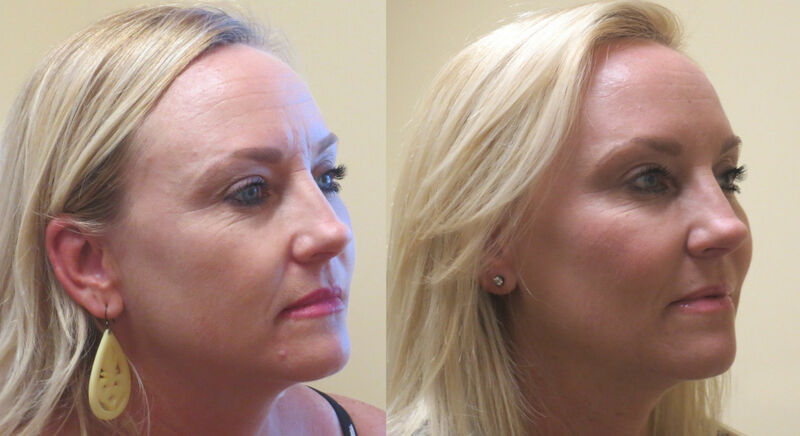 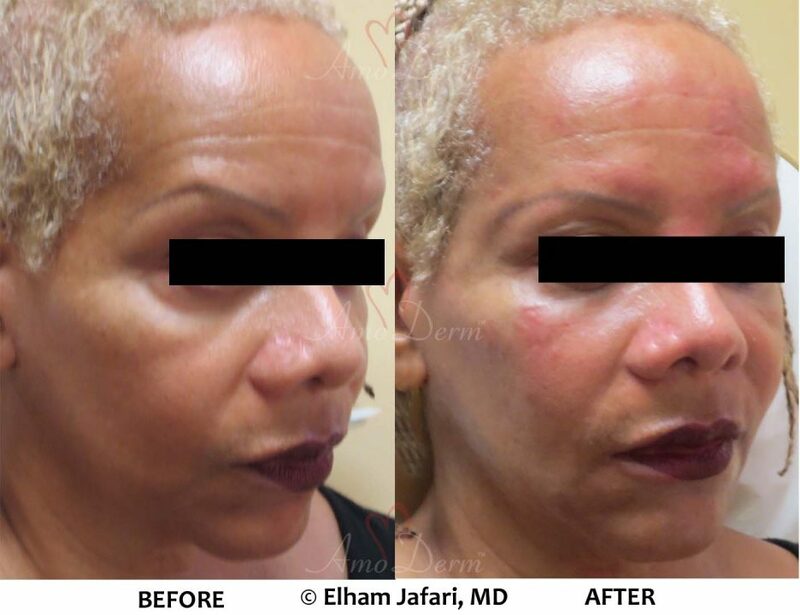 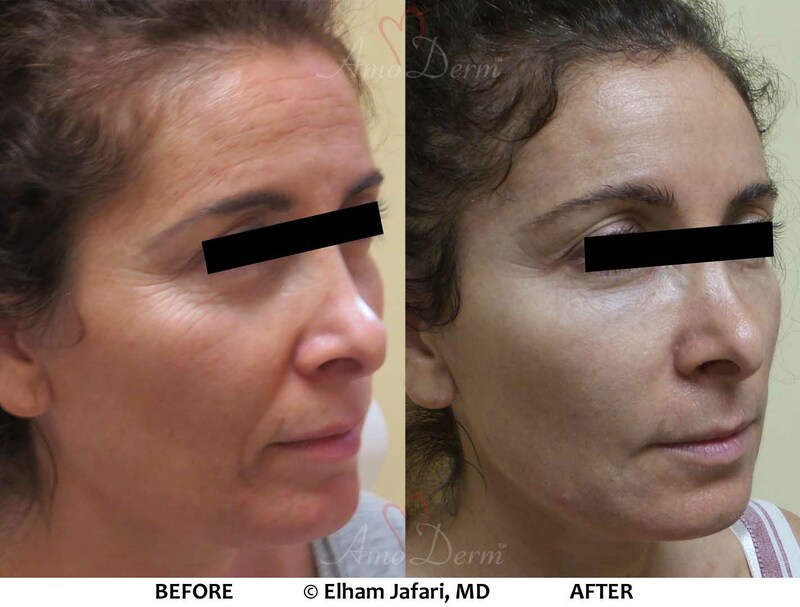 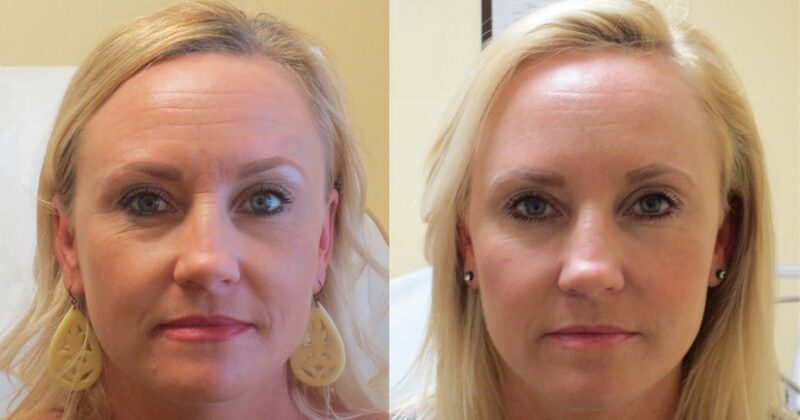 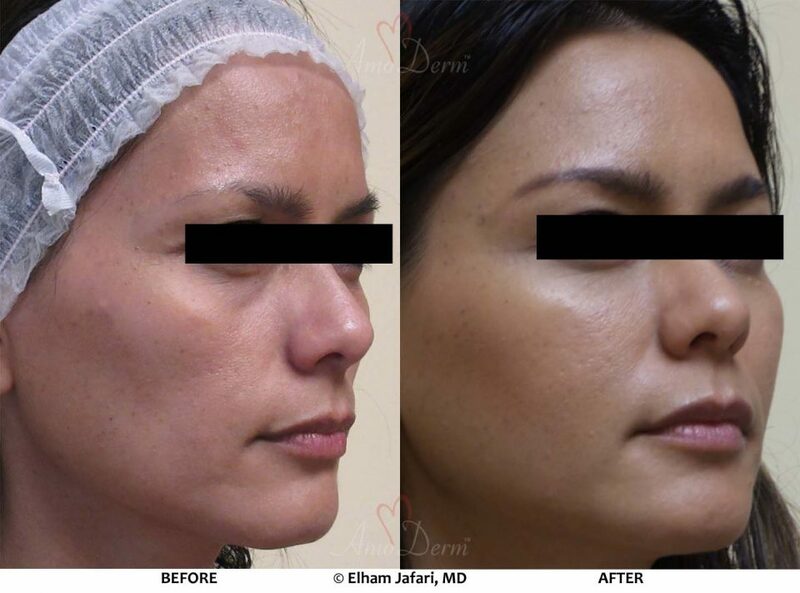 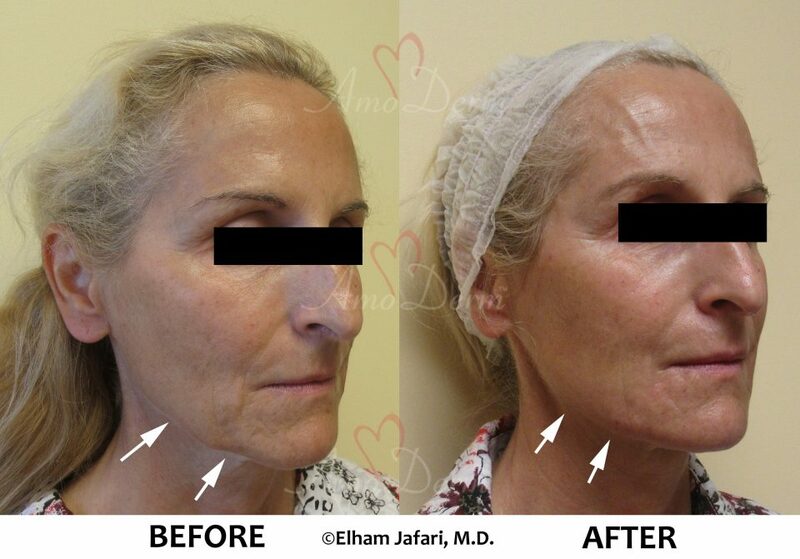 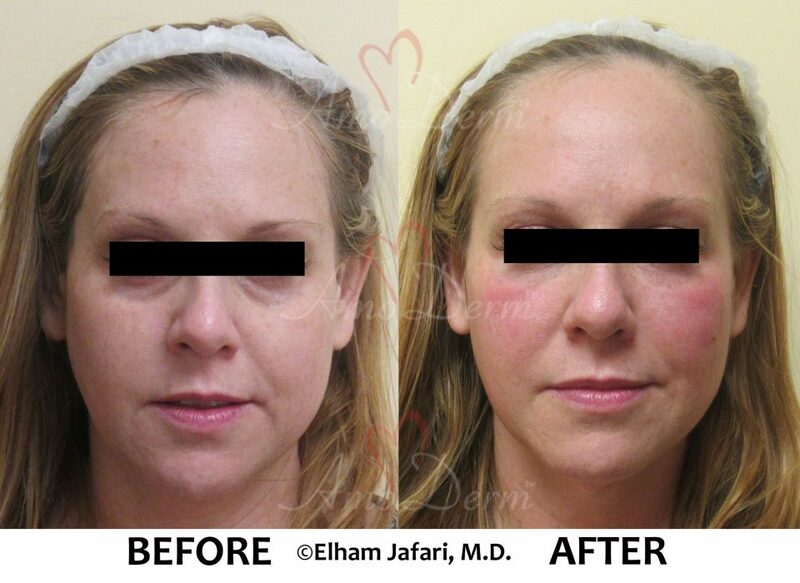 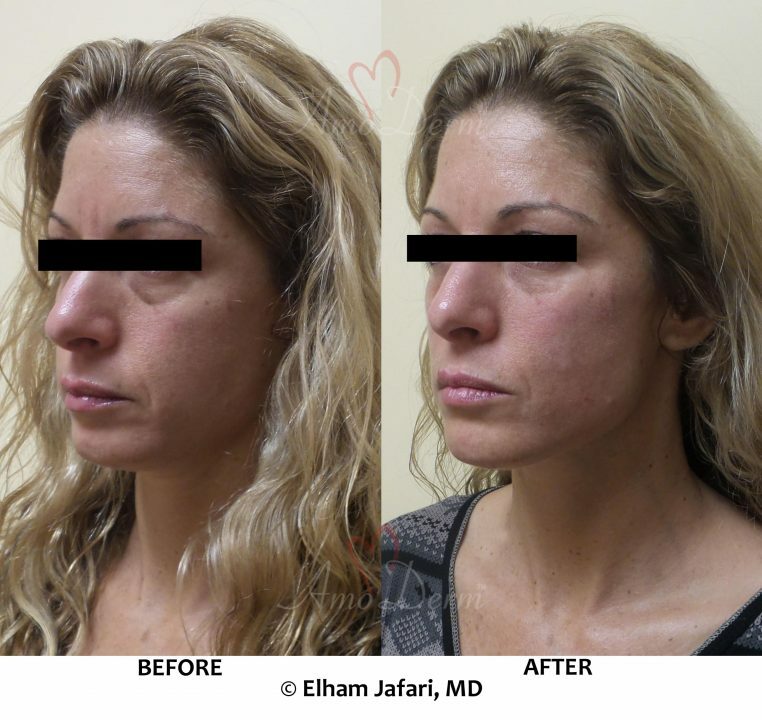 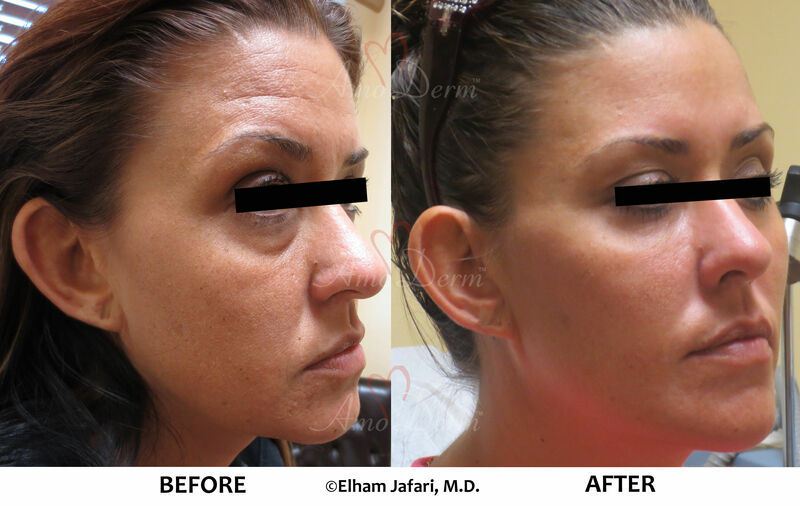 Contact us today to schedule your complimentary consultation for Cheek Enhancement in Orange County!